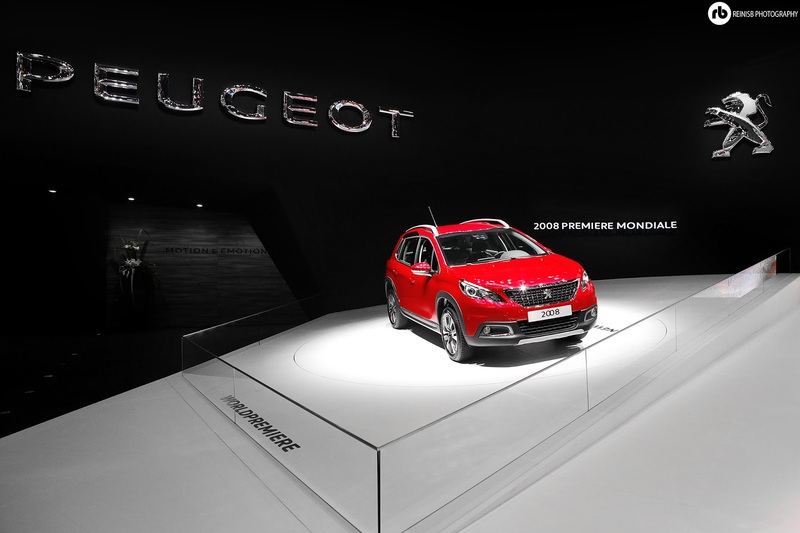 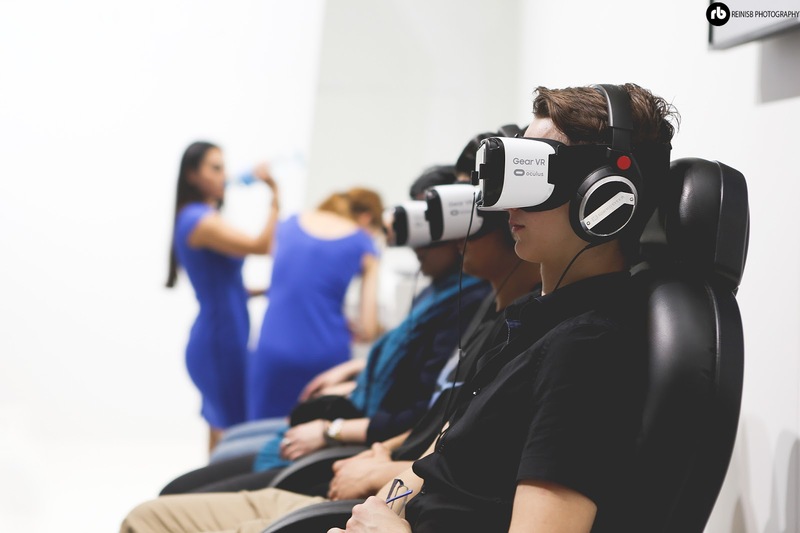 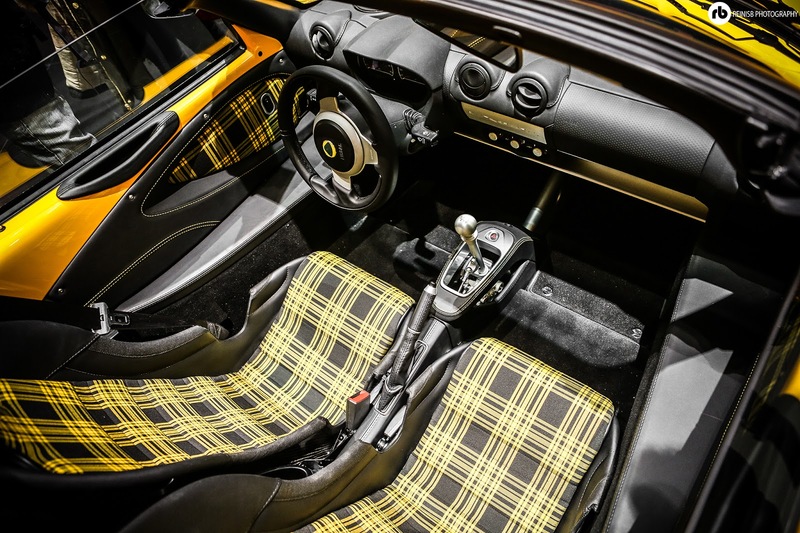 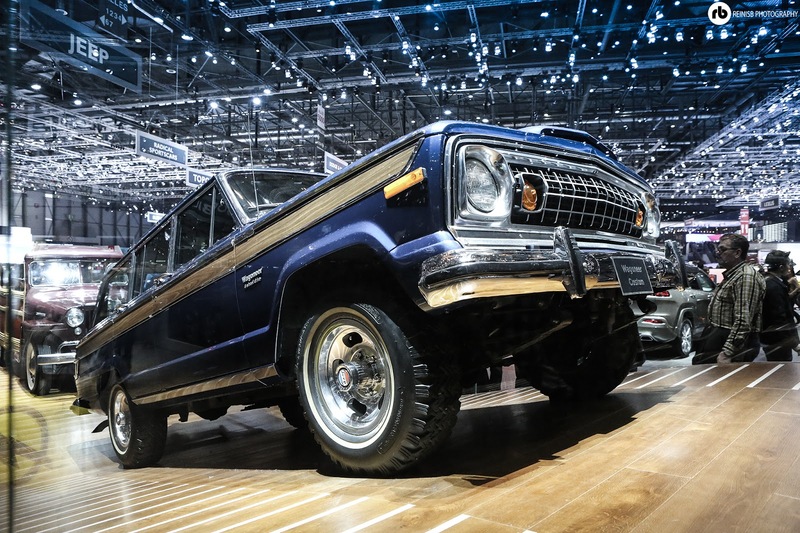 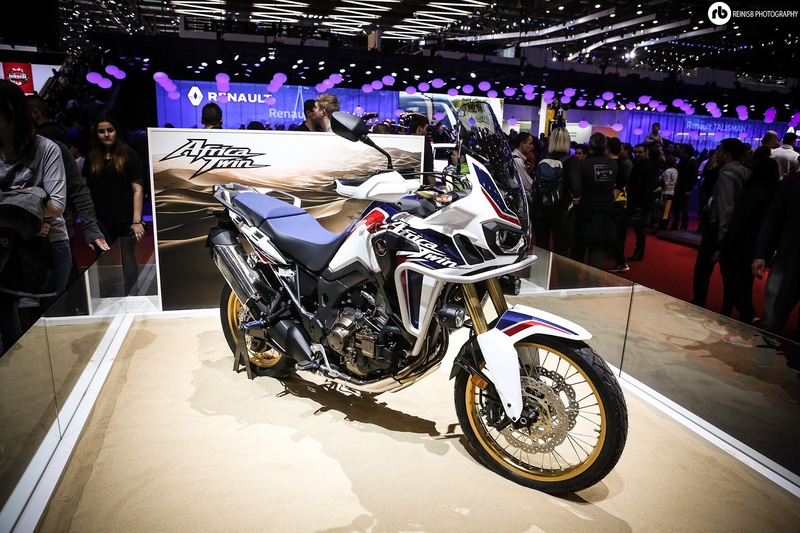 Switzerland is known for the Alps, Swiss knives, chocolate and great banks; and yes…the world’s greatest motor show – “Salon international de l'auto”. 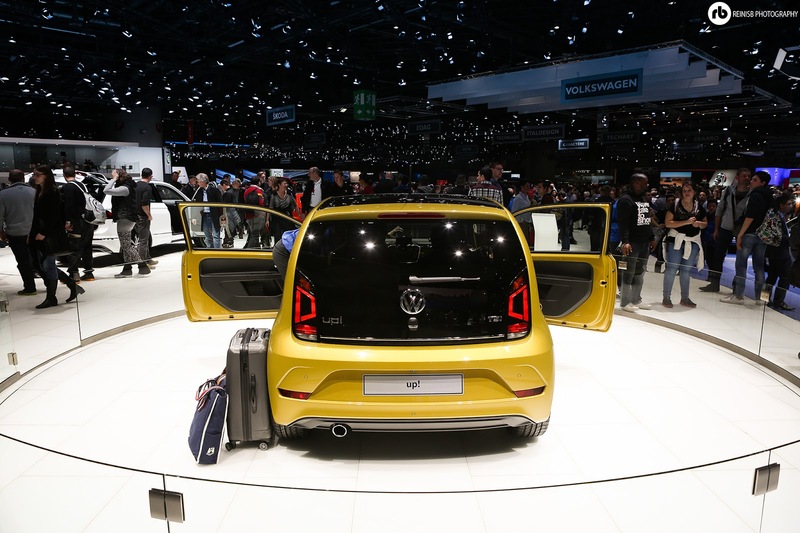 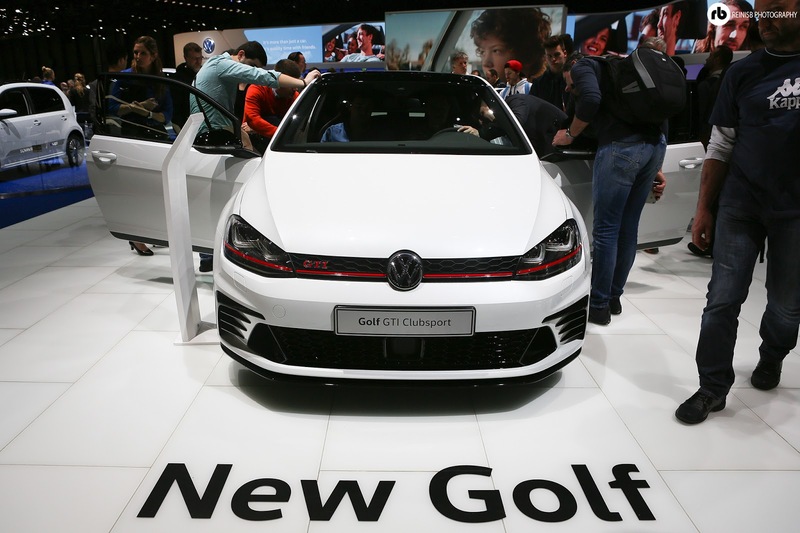 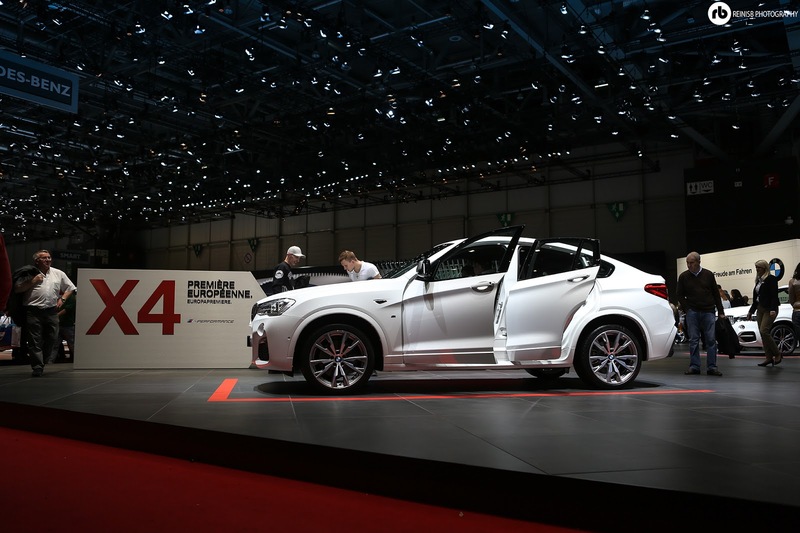 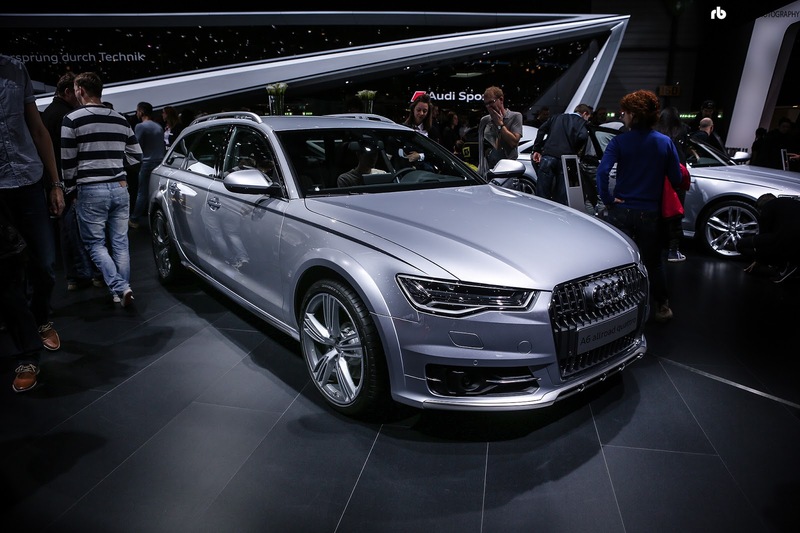 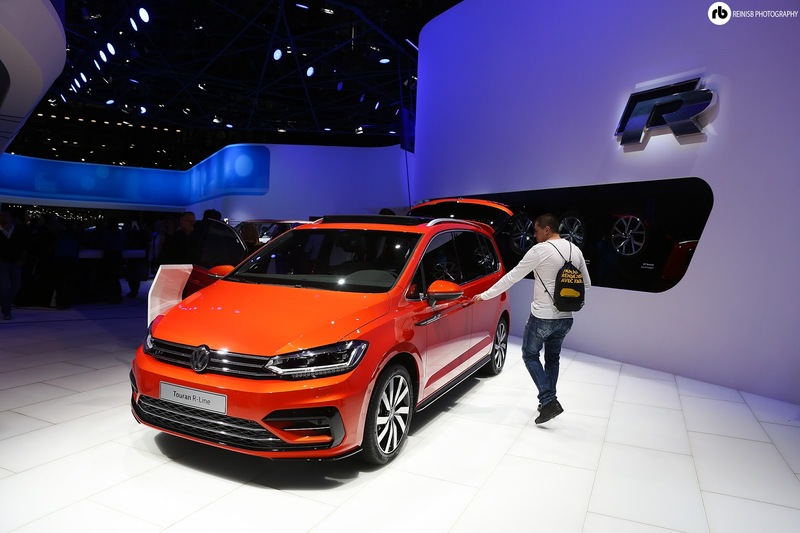 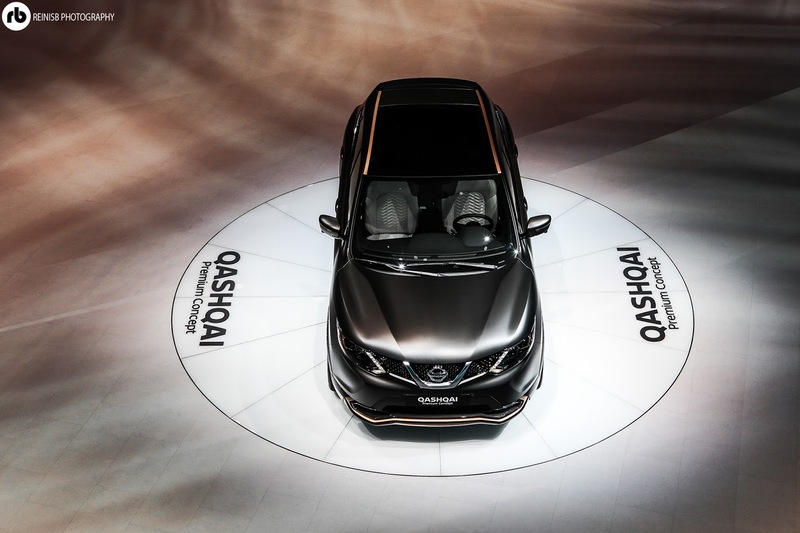 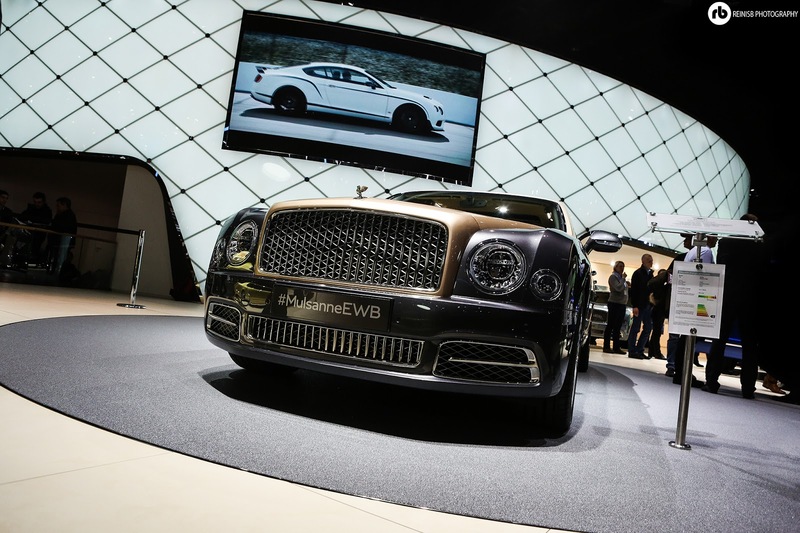 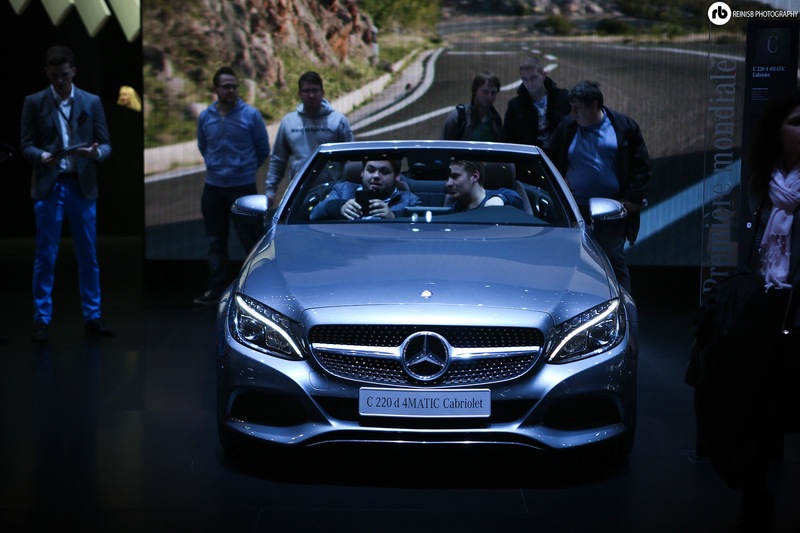 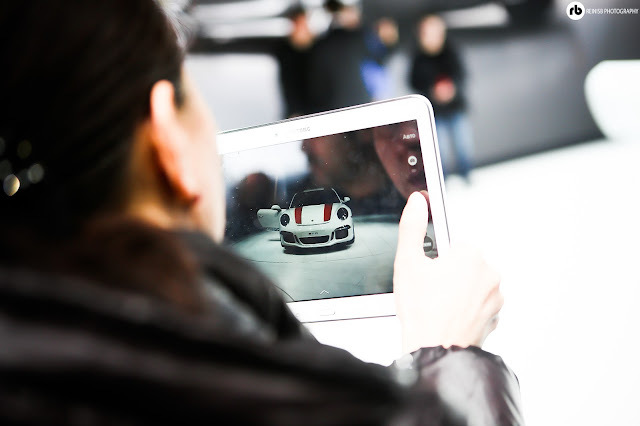 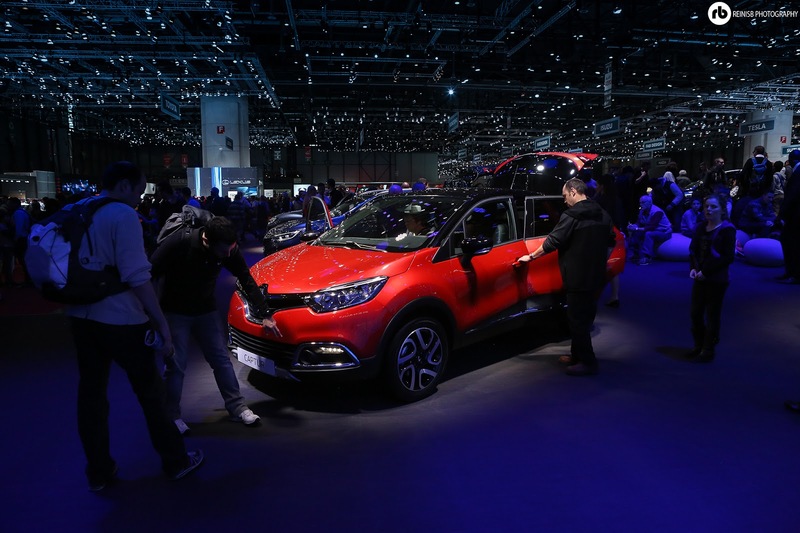 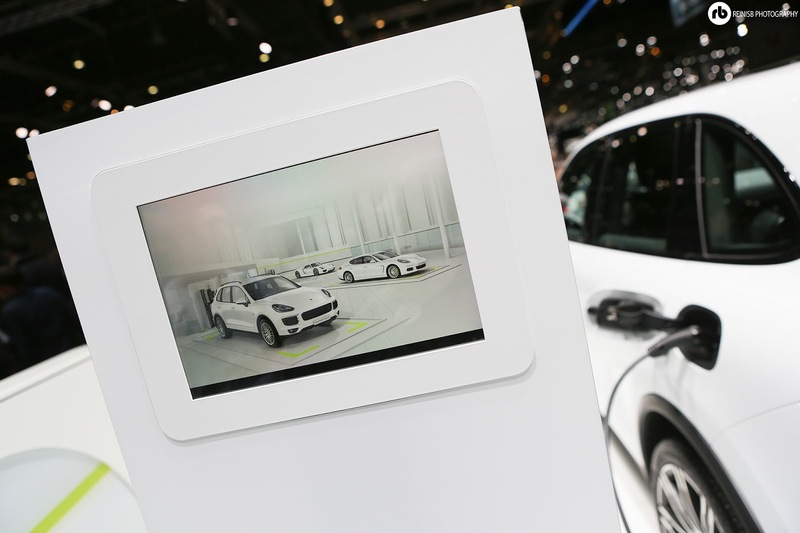 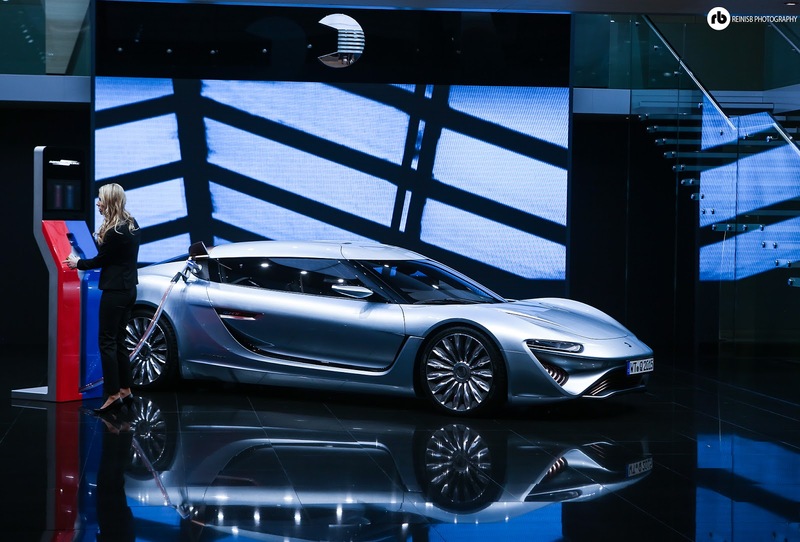 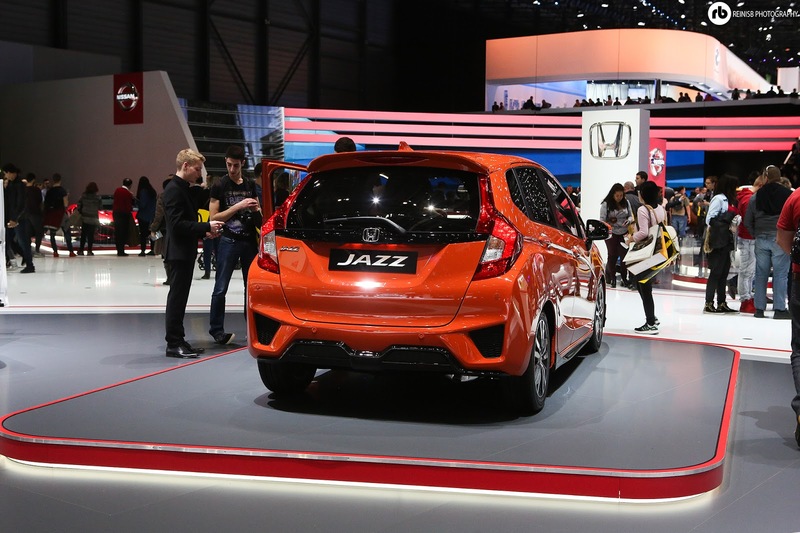 The annual motor show held from March 3-13 was hosted at the Geneva Palexpo exhibition centre next to the Cointrin International Airport. 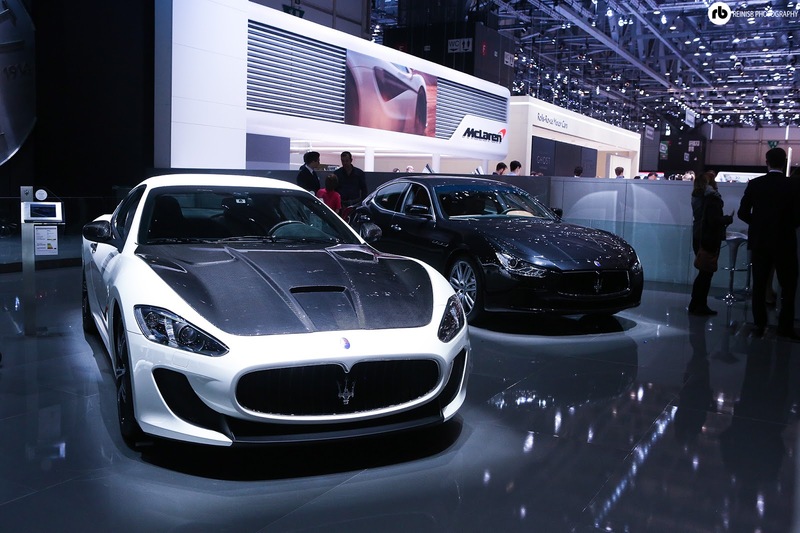 Geneva International Motor show, organised by the Organisation Internationale des Constructeurs d’Automobiles is one the highest ranking motor shows in the World where both auto makers and aftermarket tuning companies are trying to impress their customers with their latest automotive engineering masterpieces. 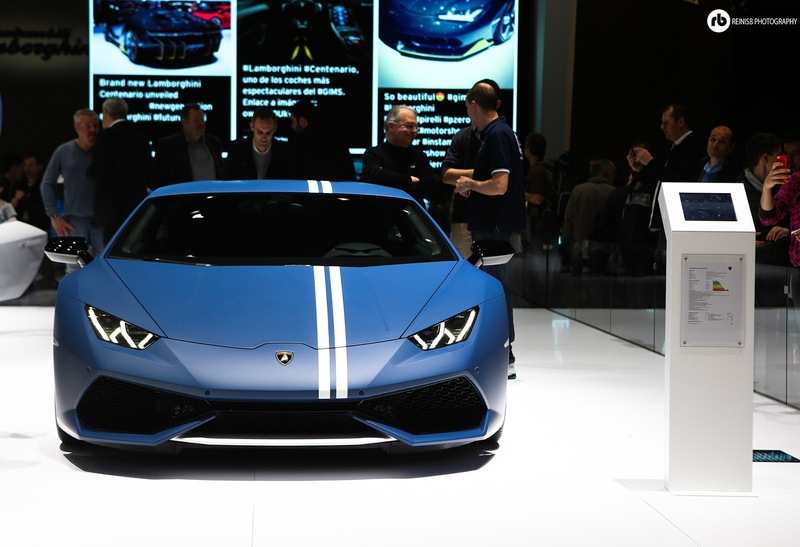 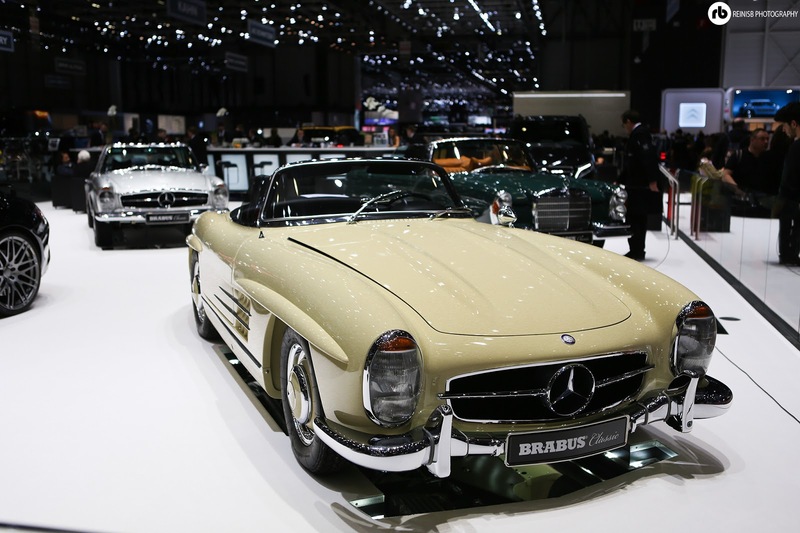 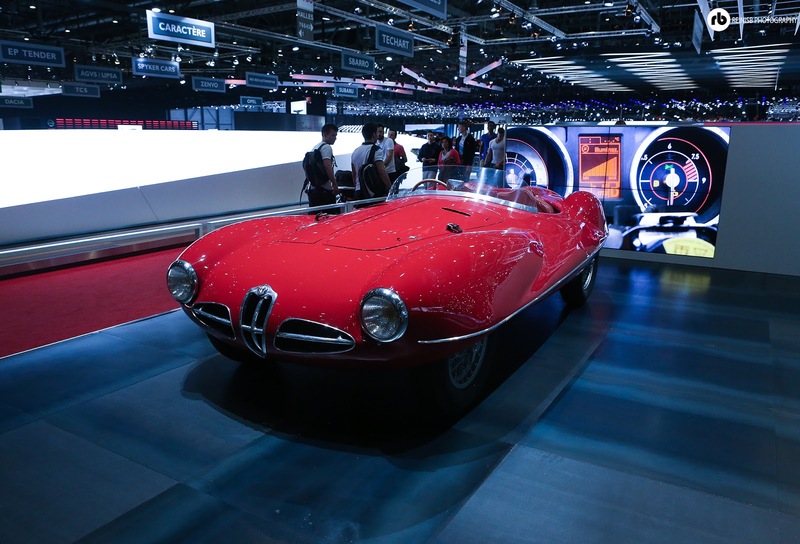 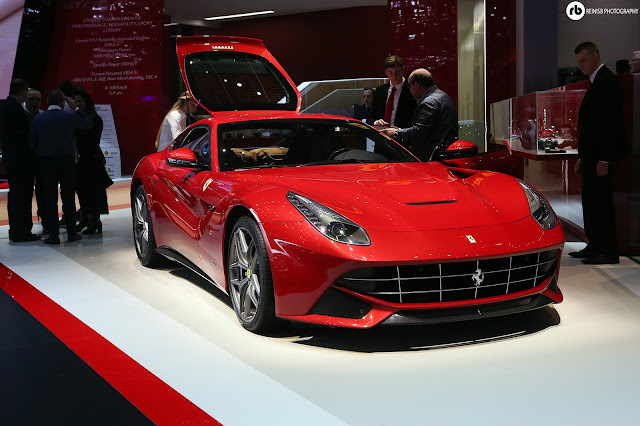 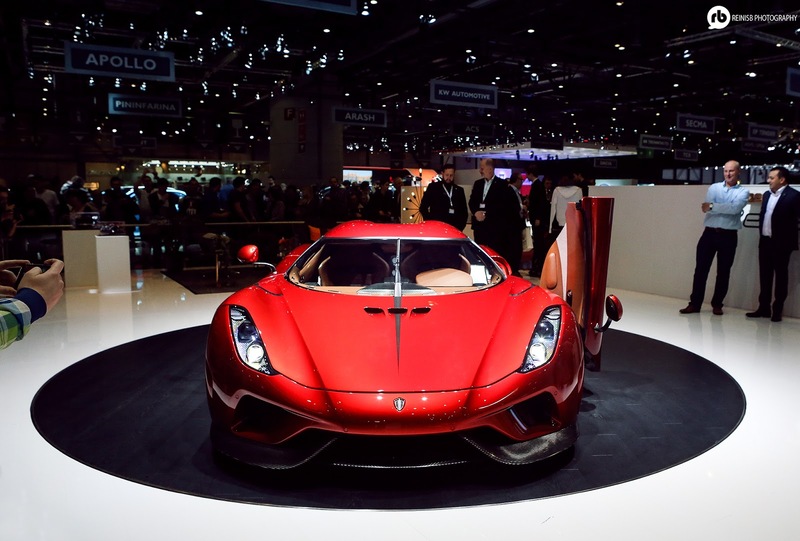 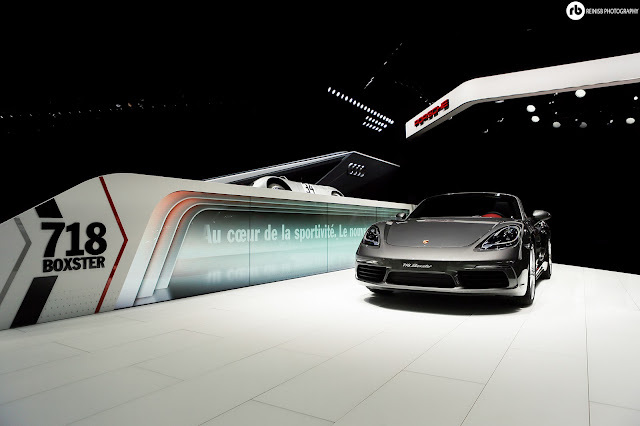 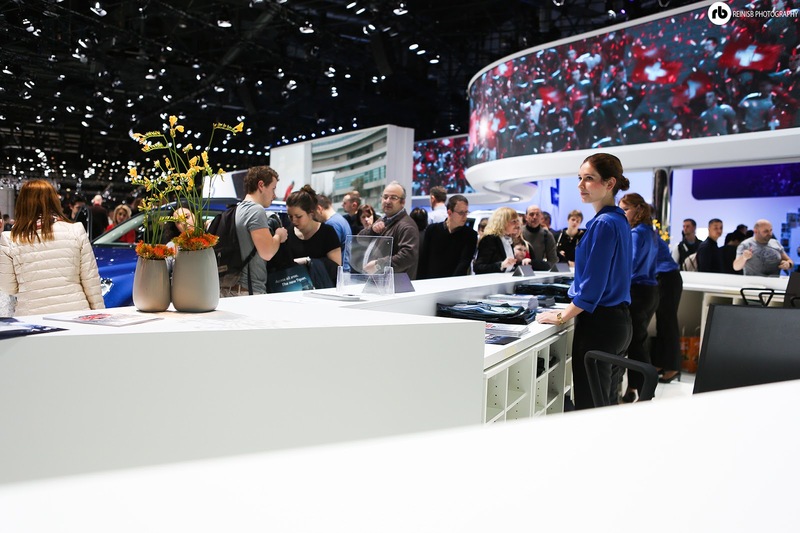 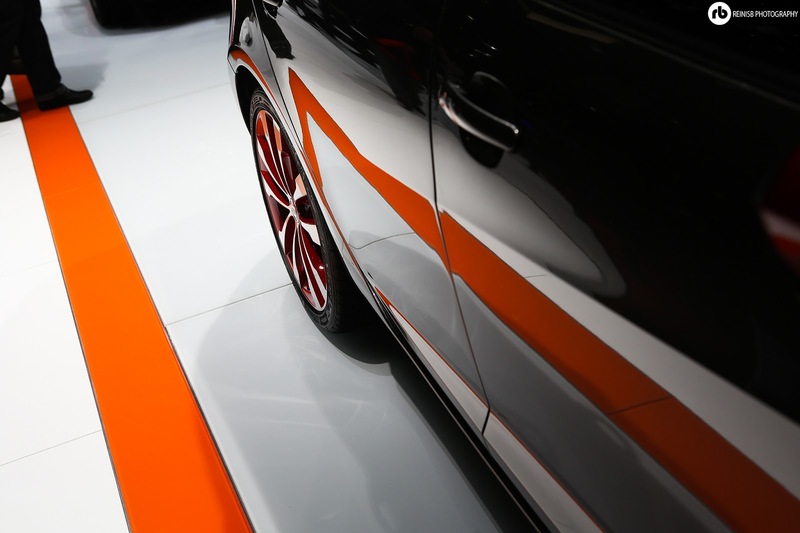 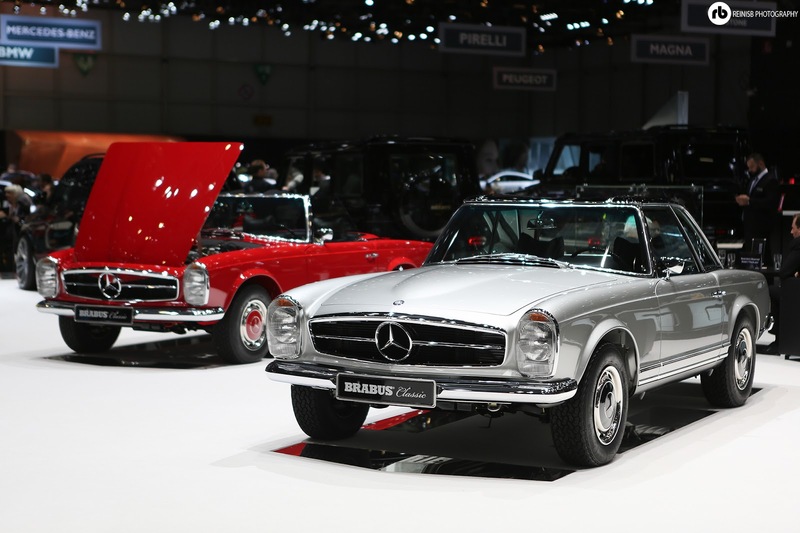 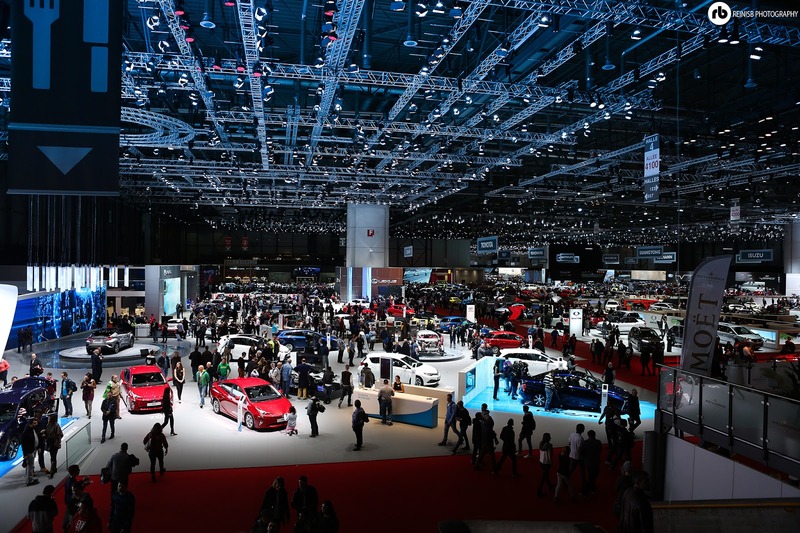 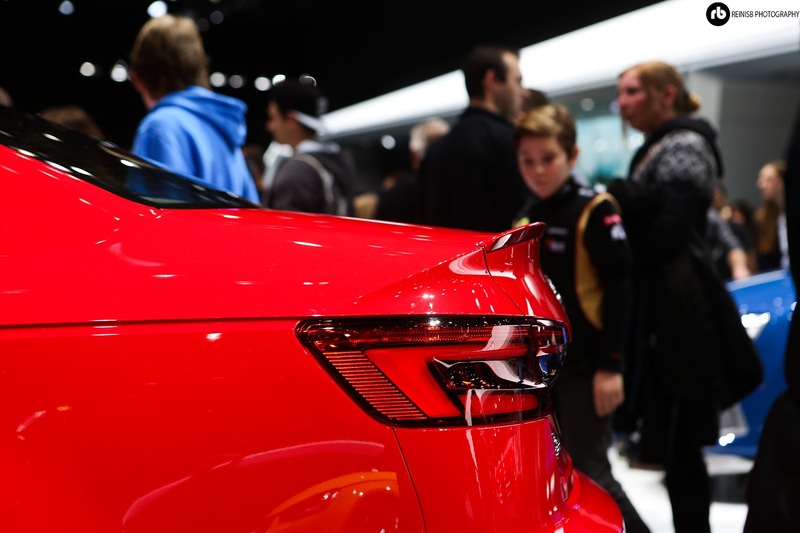 The first Geneva Motor Show was held in 1905 and year 2016 marked its 86th anniversary. 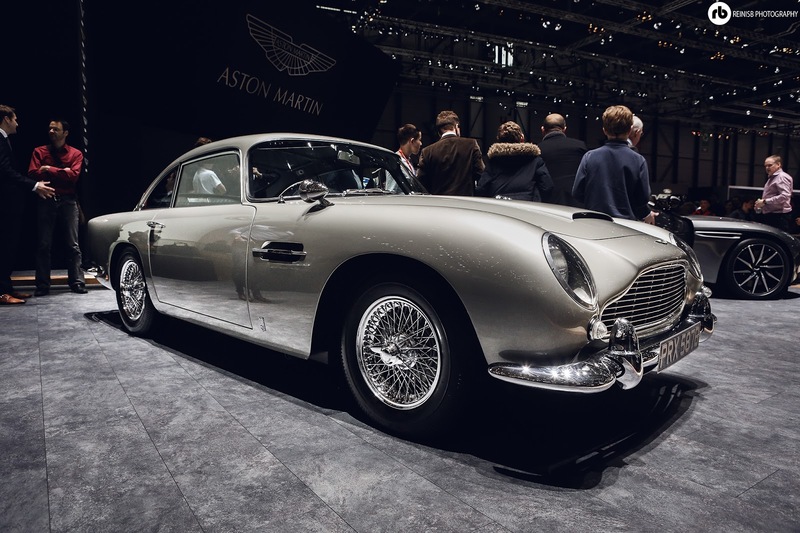 Nearly every car of the 20th century has been revealed or displayed here at some stage; close to a million visitors visit the show annually. 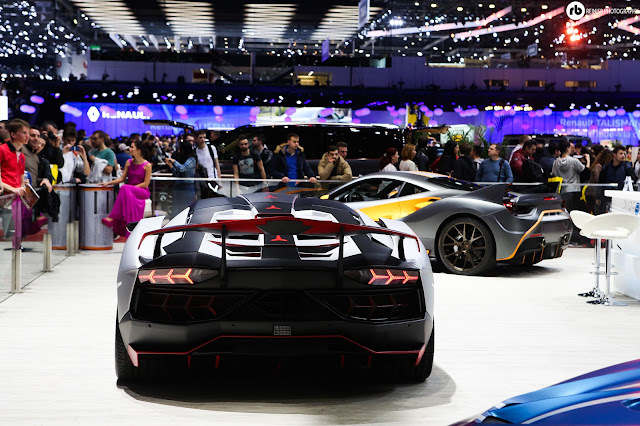 The show features motor vehicles, electric, hybrid and alternative powered cars, sports cars, tuners, products related to automotive and engineering, servicing industry and various other attractions. 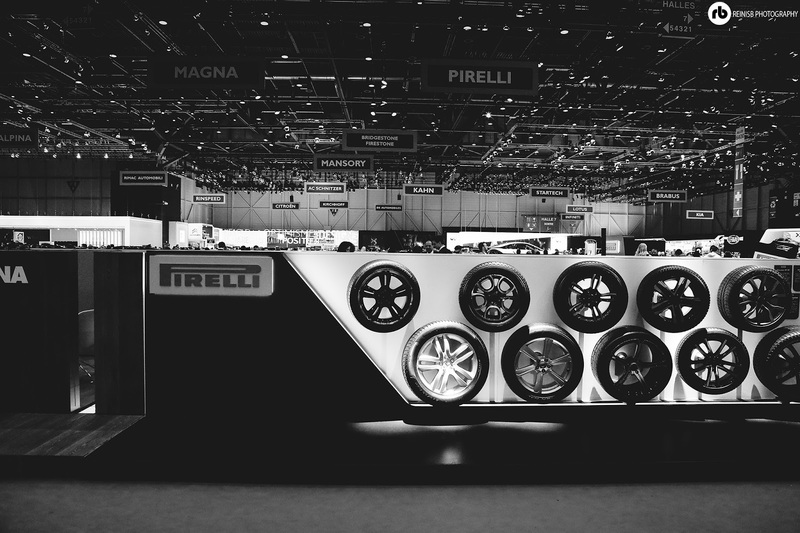 Countless lighting engineers who set up the halls of the Palexpo in Geneva make each manufacturer area and new car stand out under its own natural beauty. 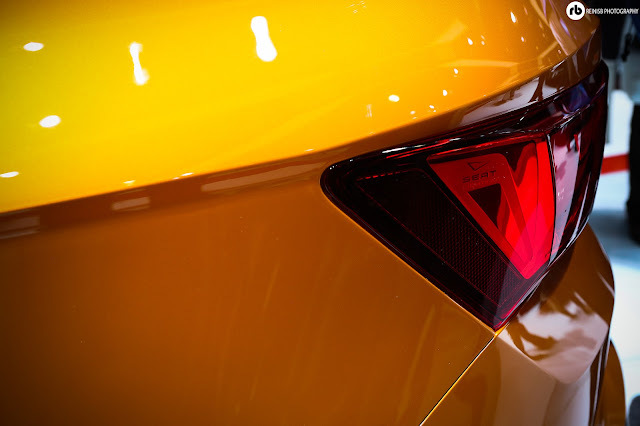 Think of it as the world’s biggest automotive photographic studio that makes all cars stand out in their best glory. 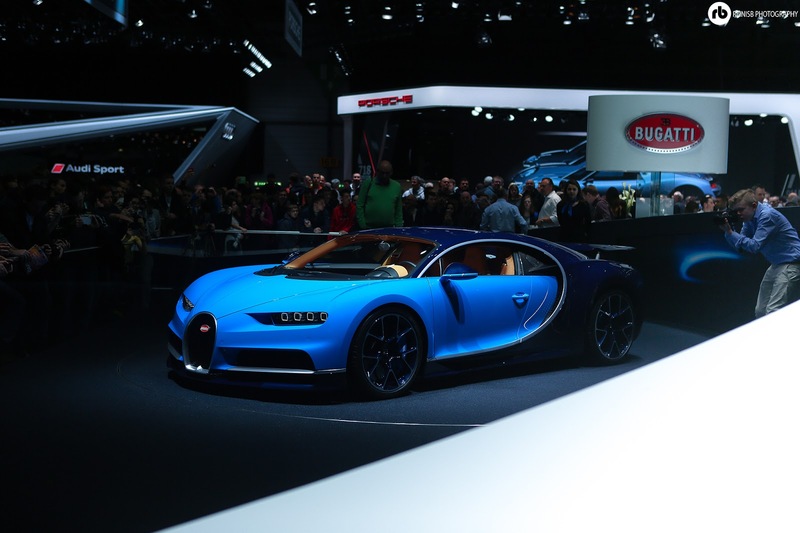 Bugatti’s new Chiron is the latest hypercar from the French stable which had spectators queueing in earnest just to get a sight at the machine. Some of the styling features may look familiar since they would have been initially debuted with the release of the Bugatti “Grand Turisimo” concept some months ago, such as the centre line down the middle of the car and the “C”style line which is further incorporated into the interior! 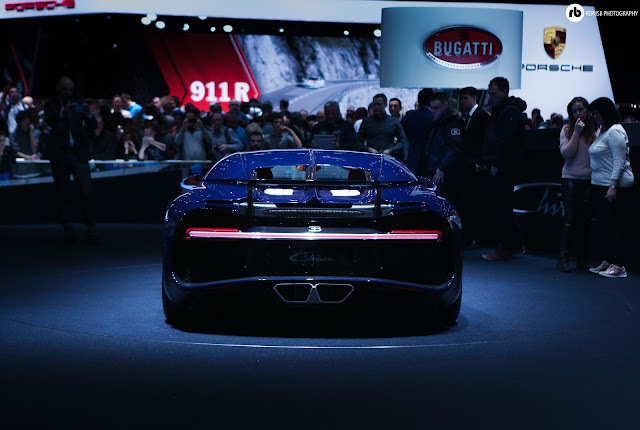 Rather than align with the rest of the current hyper-car brigade, the Chiron does not use any electrically derived power in getting the frankly ridiculous power figure of 1500bhp. 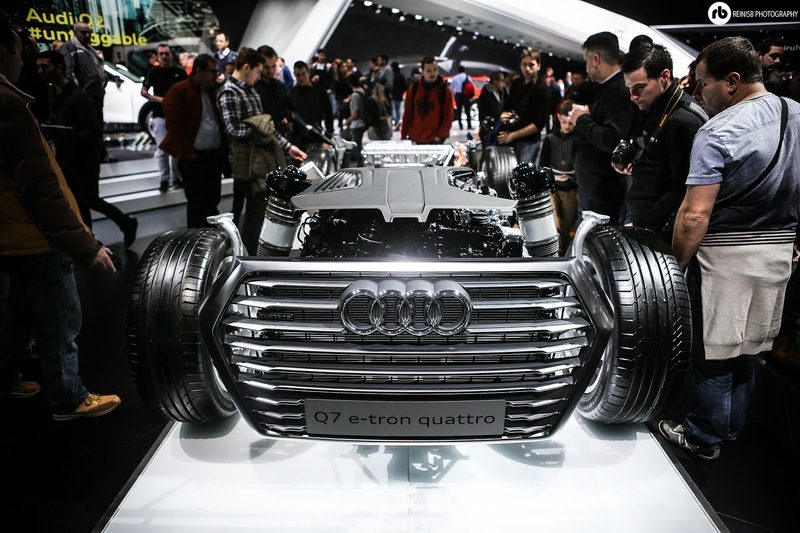 Instead the behemoth W16 engine has been refined and honed to extract as much power as possible. 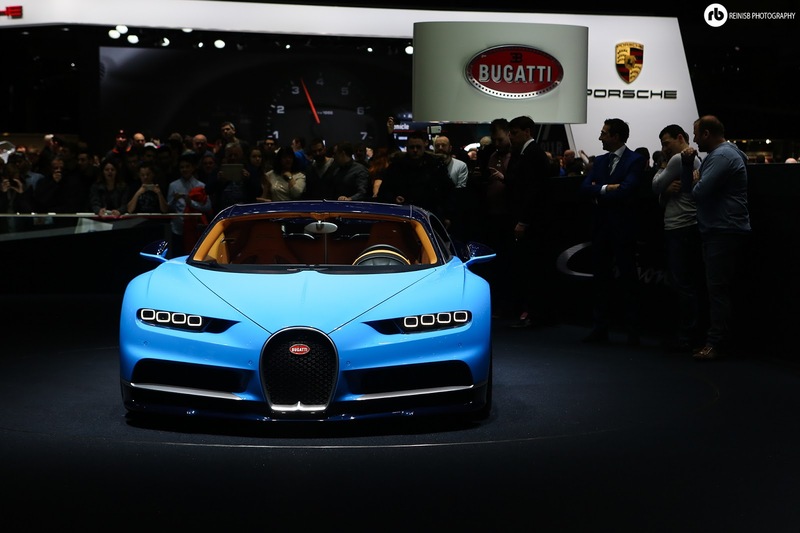 The biggest challenge as with the previous models was the heat management, so the Chiron uses a beefier cooling system to ensure that it can reach speeds up to 261mph…...which is a limited top speed! Word on the ground is that the calibration on the various drive settings will make this feel much more manageable and “agile” (relative to the Veyron at least) for those gazillionaires who choose to take their Chiron for a blast along the Cote d’Azur! The last time Lamborghini manufactured a limited run ludicrously expensive hypercar was with the release of the Veneo. Now, to celebrate 100 years since the birth of Ferrucio Lamborghini, the company released this limited run model to celebrate the company founder. 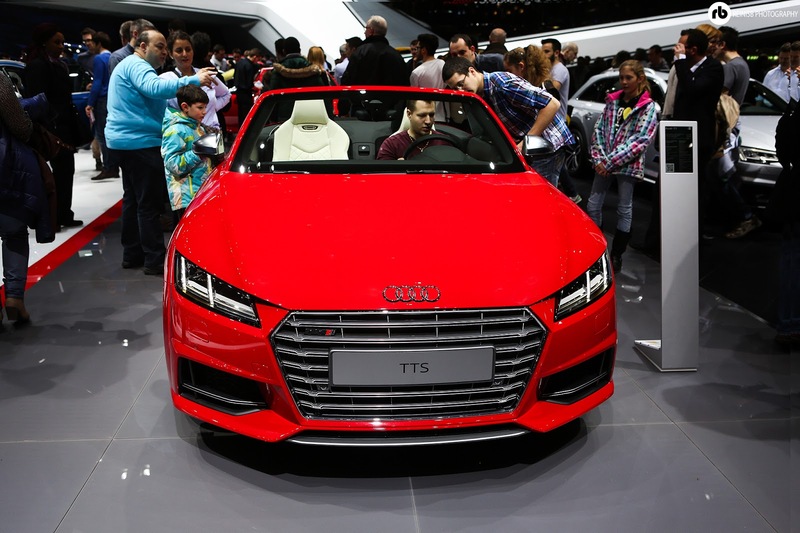 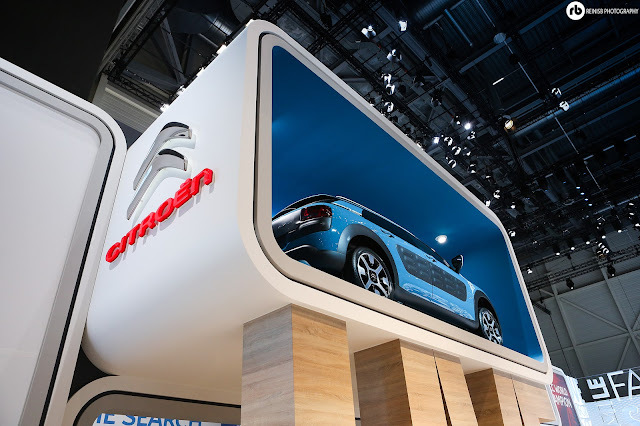 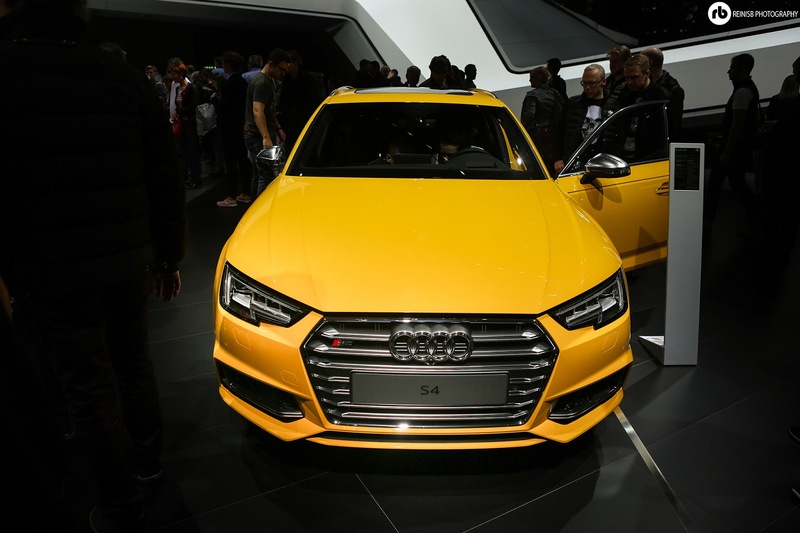 With the departure of Stephan Winkleman to Audi later in the year, some might argue that the car is a swansong for the man who turned the fortunes of the company around during his tenure. 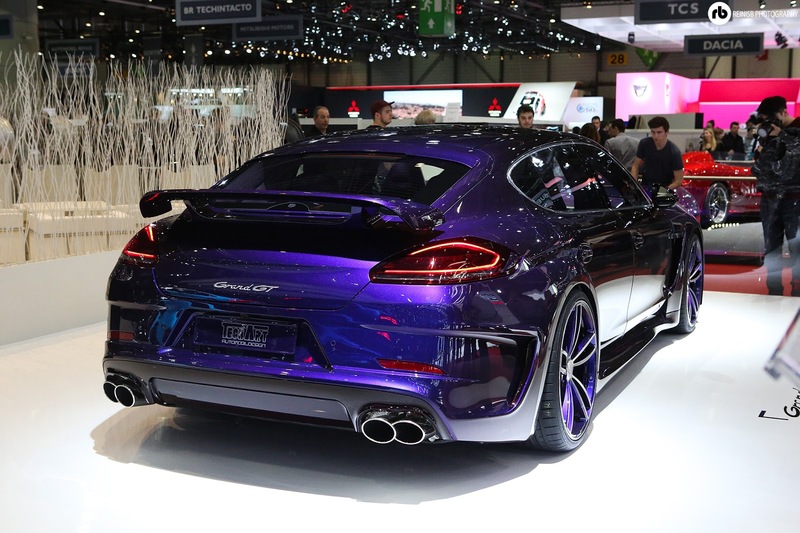 If you’re currently looking into your bank account to see if you could mortgage one, don’t bother, all of the production models have already been sold out. 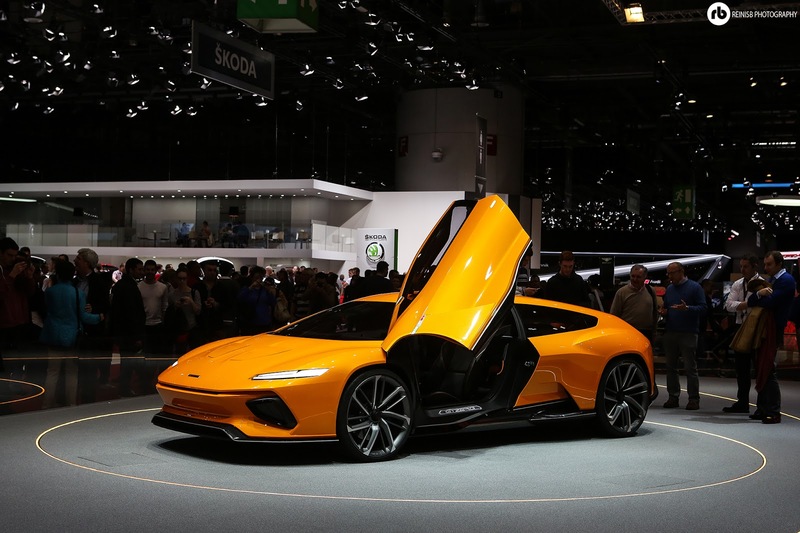 As with all the Lamborghini models, this car resembles a spaceship on wheels – with extravagant lines, sharp edges, enormous wheels, carbon body it is a true poster car. 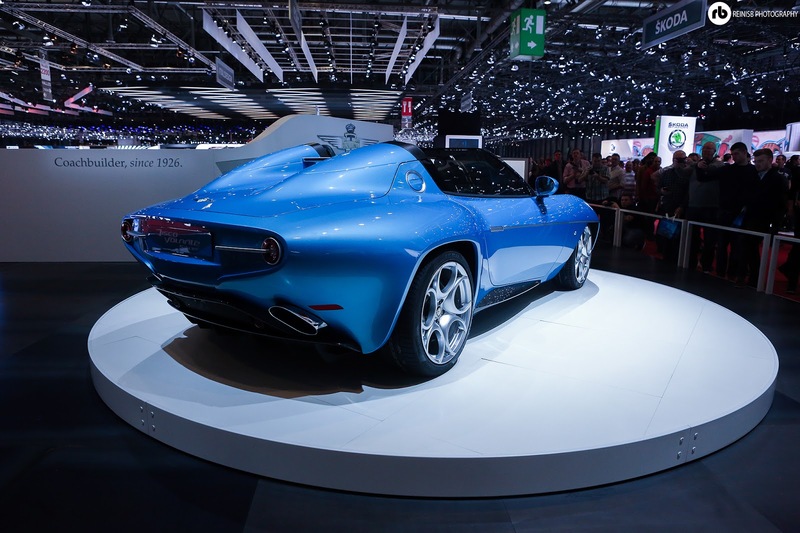 Although only a concept at the current stage, the Opel’s GT raised a few eyebrows with its striking design of the futuristic speedster. 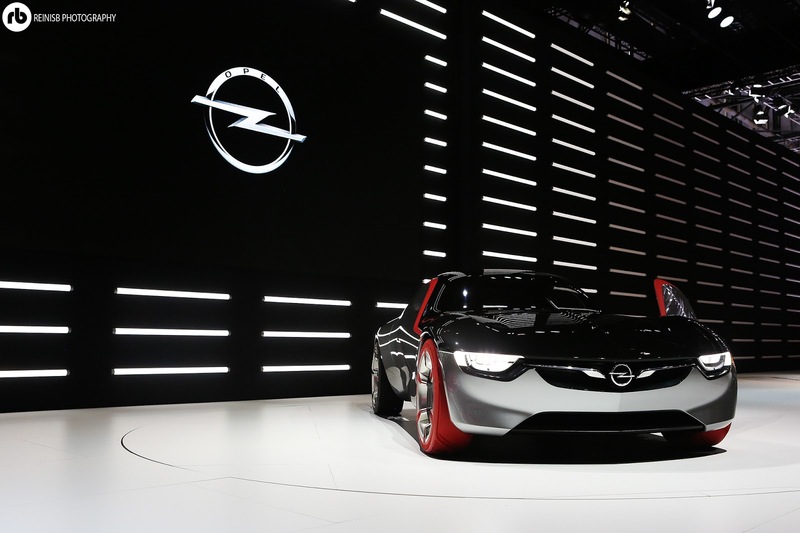 With this model Opel hinted at the direction the brand will go for sport roadsters in the near future. 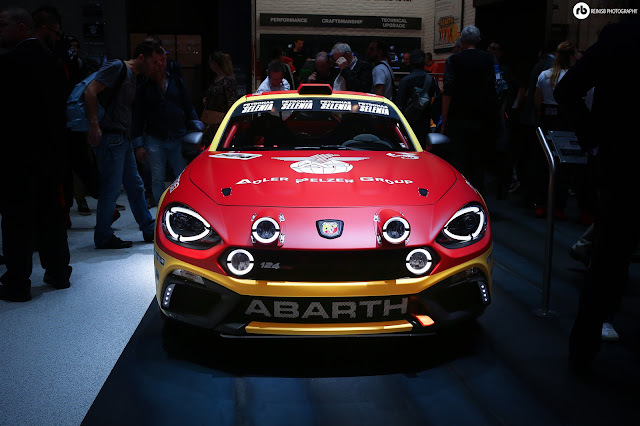 Maybe it’s taking the lead from the light and fun cars like the MX5 and GT86, since the concept is a relatively measly 145bhp engine wrapped in a light frame weighing in at less than a tonne! 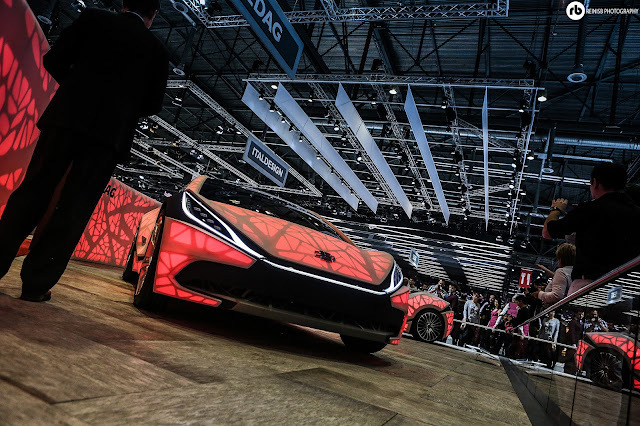 If this can be an indication of the design language to come from Opel/Vauxhall in the future, we can easily say we shall keep a close eye for it, it is bloody cool! Ohh…if only Mazda would go through with this! 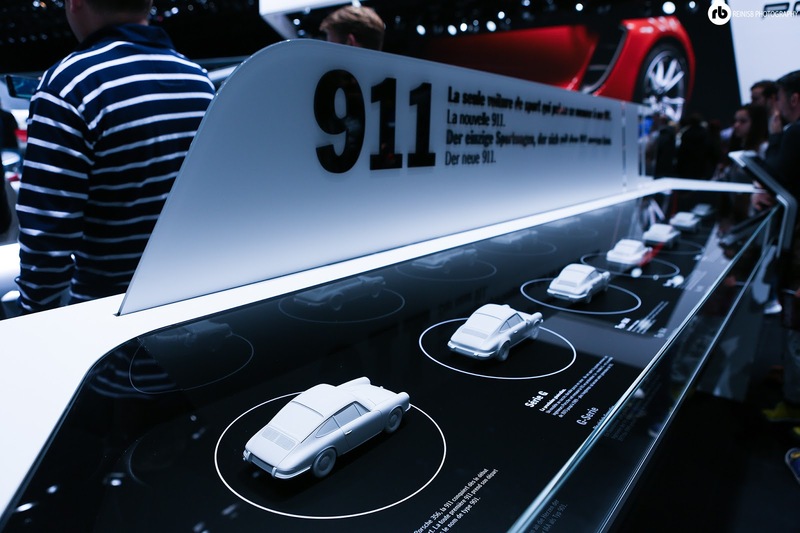 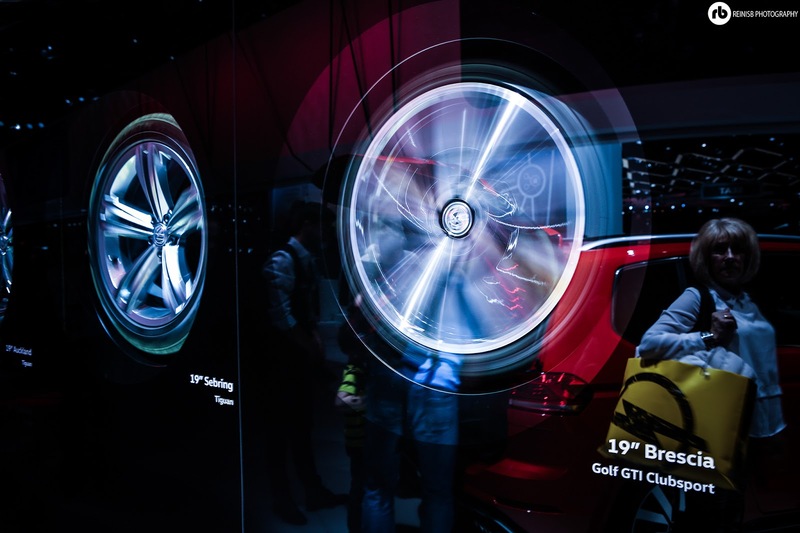 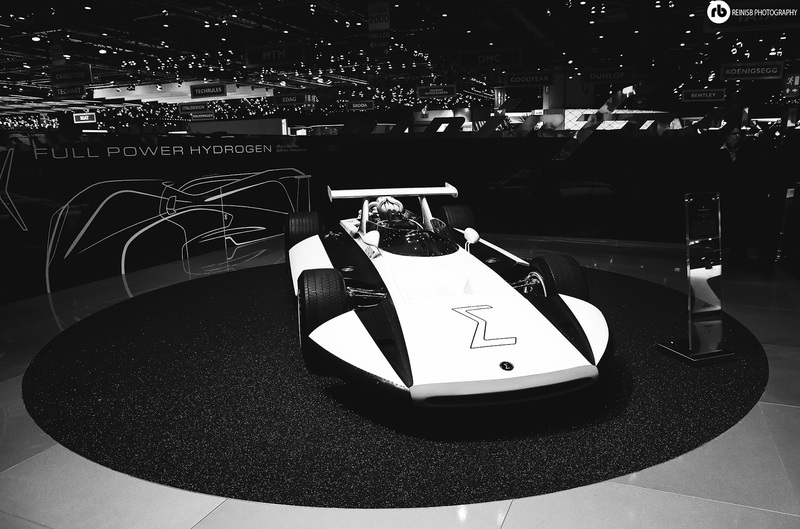 The concept vehicle located at the centre of the Mazda’s stand was their vision of the futuristic iteration of the iconic RX7 rotary powered sports car. 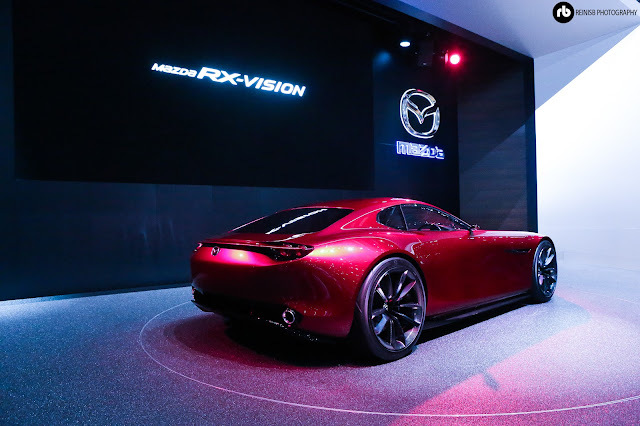 Whereas most of the manufacturers are slowly but surely moving into the world of hybrid and electric power, it would seem that Mazda plan to stay true to their origins and retain the rotary engine; but since the concept is a long way off a production version, we wouldn’t be holding our breath! 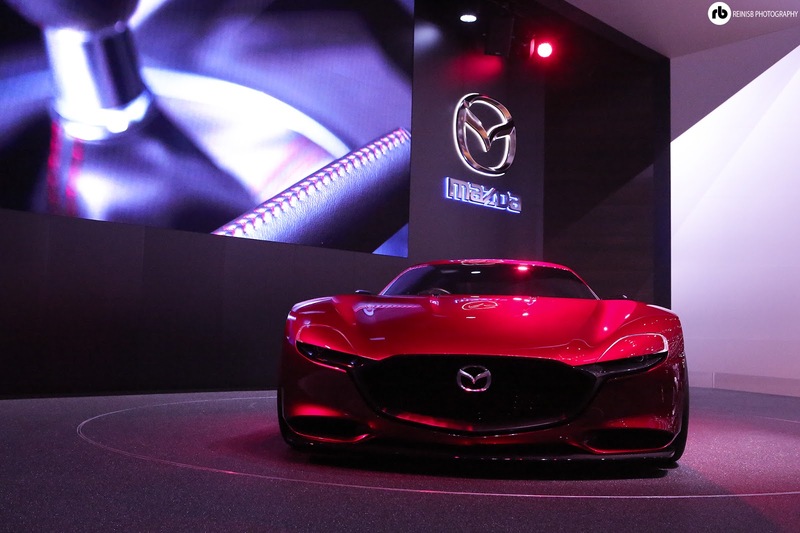 Nevertheless the concept design was beautiful and hopefully we can see some of those lines translated into some of the Mazdas sportier models in the near future. 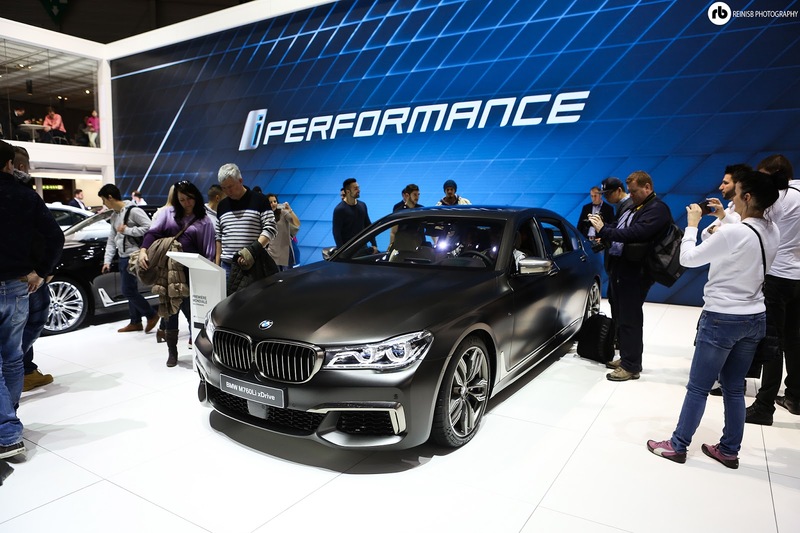 The new naming convention at BMW hasn’t gone as smoothly as the BMW would have hoped for, but on the plus side the BMW’s M division have a few more models to play with. 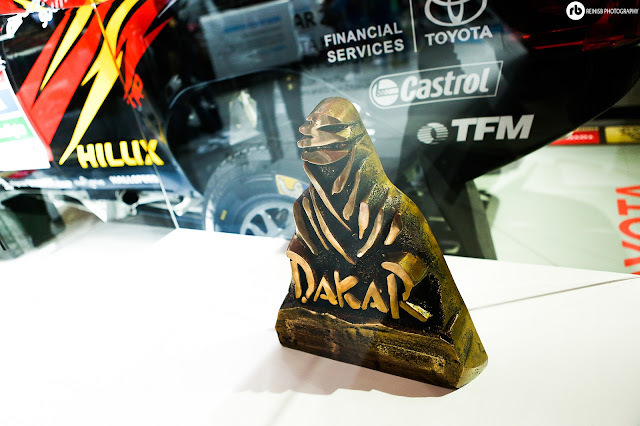 Given the price (and weight!) 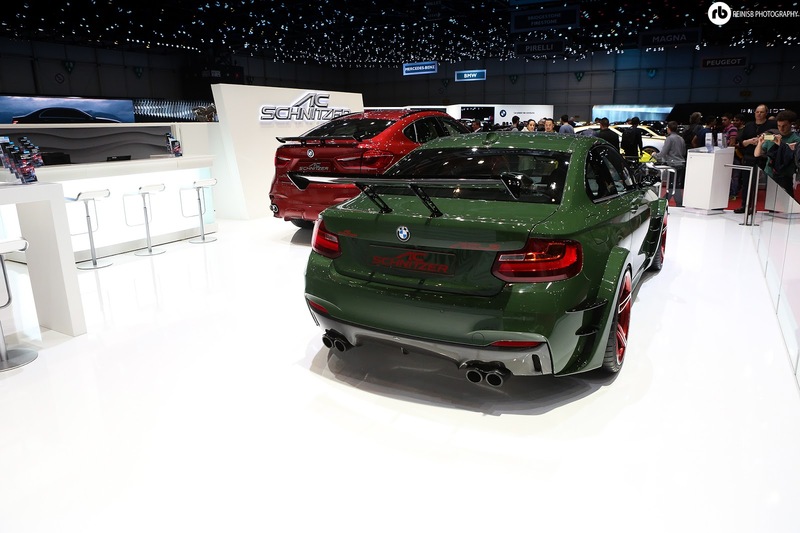 increase of the flagship M3 and M4 models, the M2 has filled a niche, where drivers demanded a focused performance car that could hold its own on a track, yet still be relatively small and tight packaged everyday vehicle. 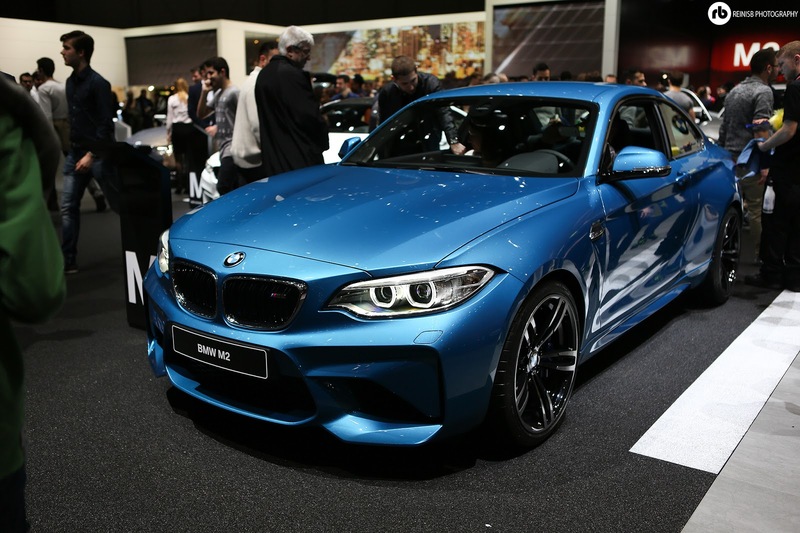 The M2 delivers this perfectly, and with the new performance pack upgrades, you can be sure that the M2 will be a track day regular in the years to come. 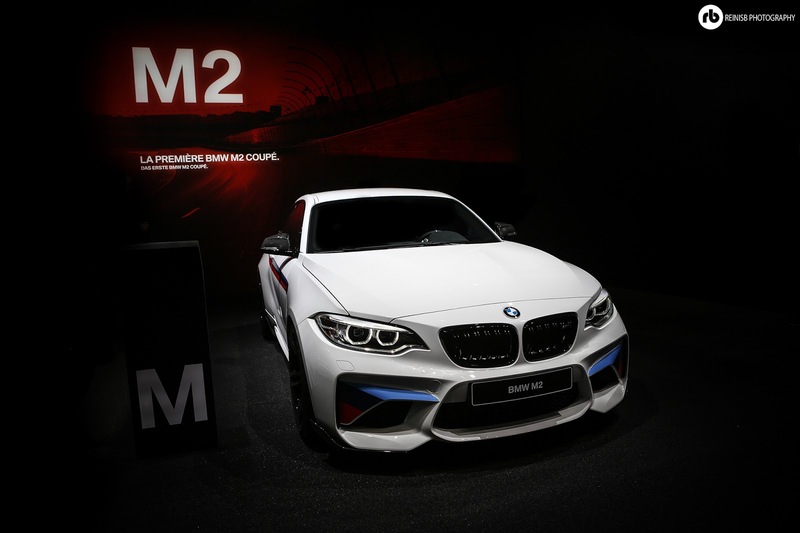 What’s even better about the M2 is that it won’t be a limited production run like its older “1M” brother! 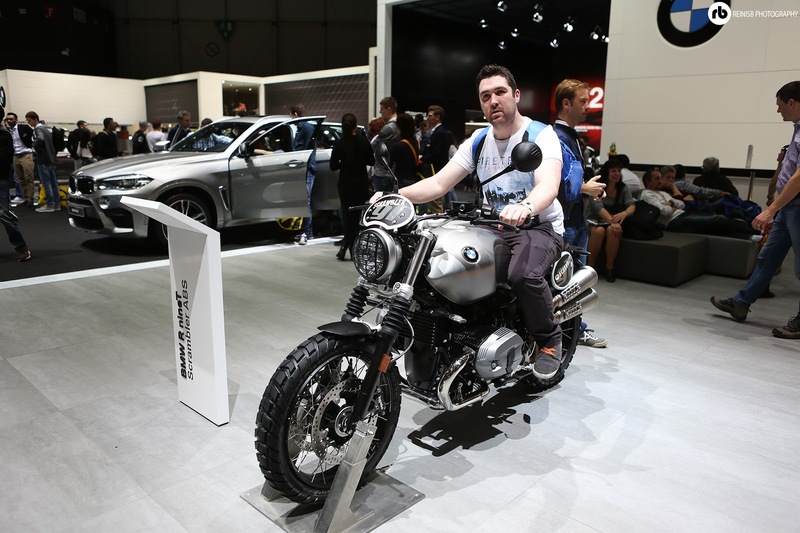 So plenty of M”’s to go around for those who are lucky enough to order one! 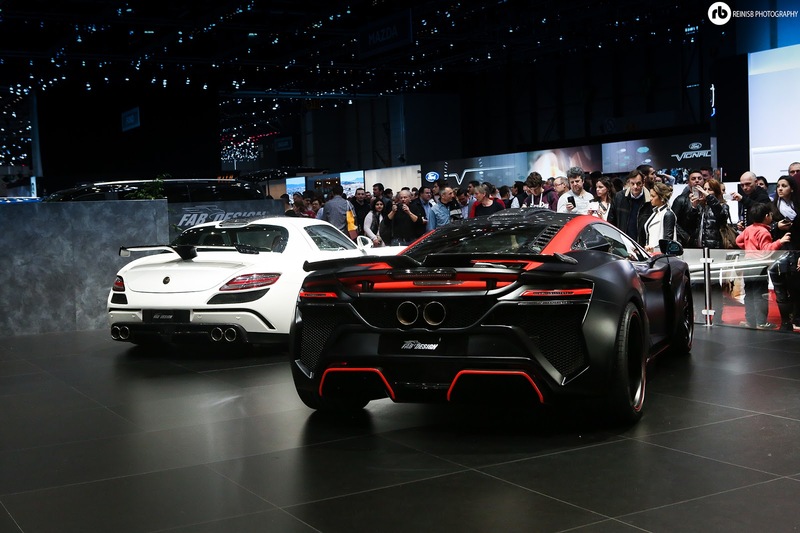 One thing about Geneva International Motor Show is that the more “every day” cars can easily get lost in the scramble to see the mega bucks hypercars once the satin sheets have been removed. 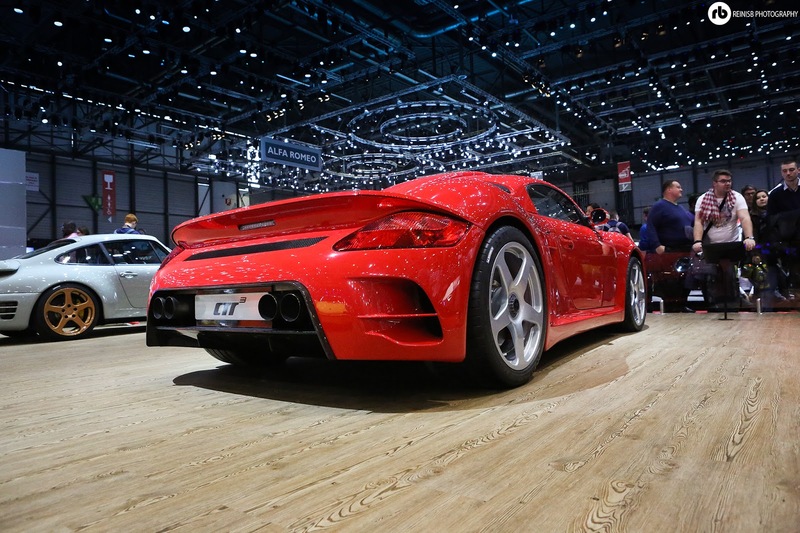 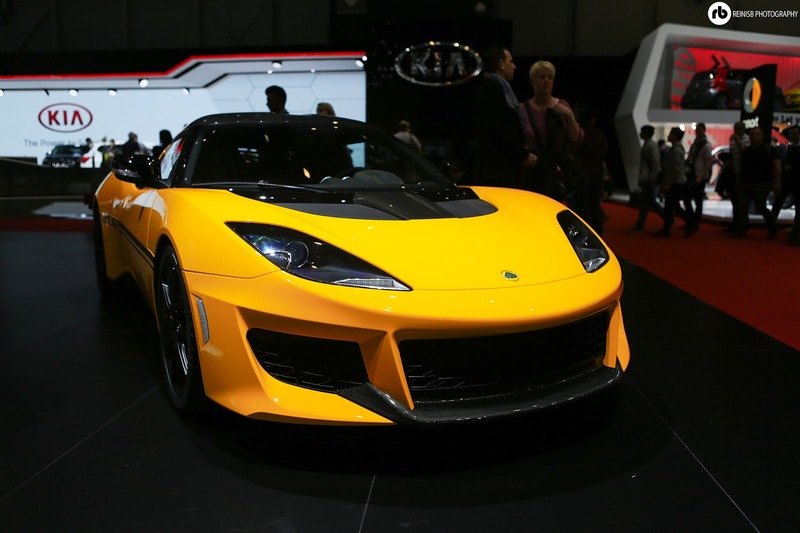 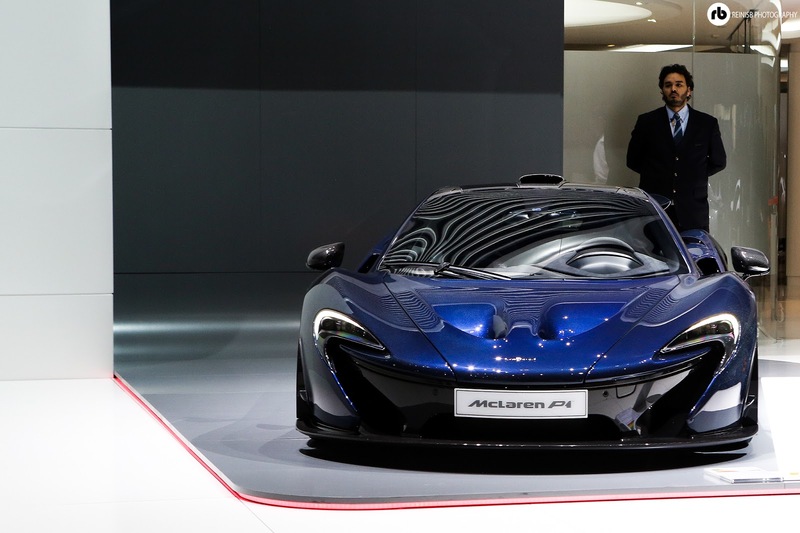 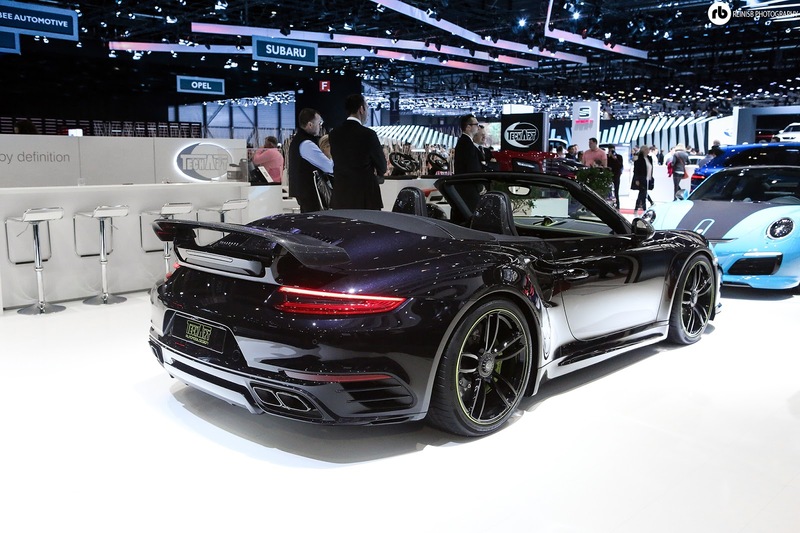 However Geneva is aimed at any market, any manufacturer and tuner, so it is full of unbelievable cars. 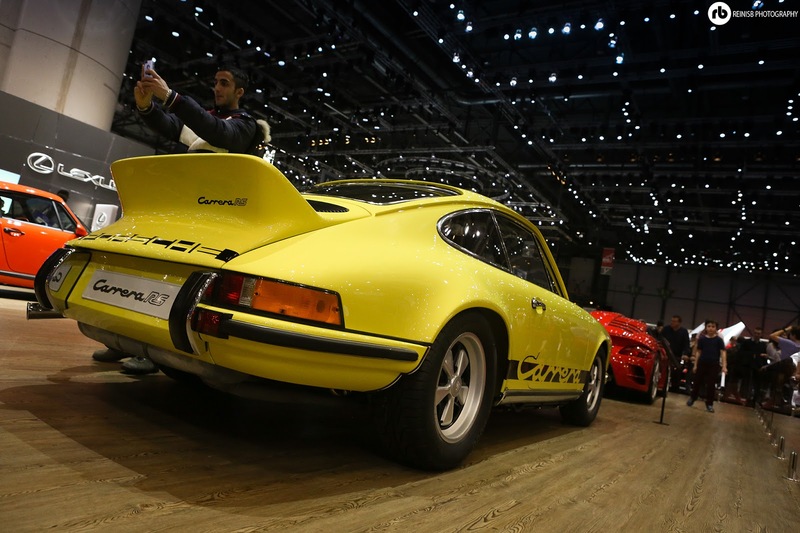 There are two ways you can look at the 911R: on one hand, it is yet another model in the already vast and ever expanding 911 model range; whereas on the other hand Porsche was showing that it really listens to the fans and purists of the brand. 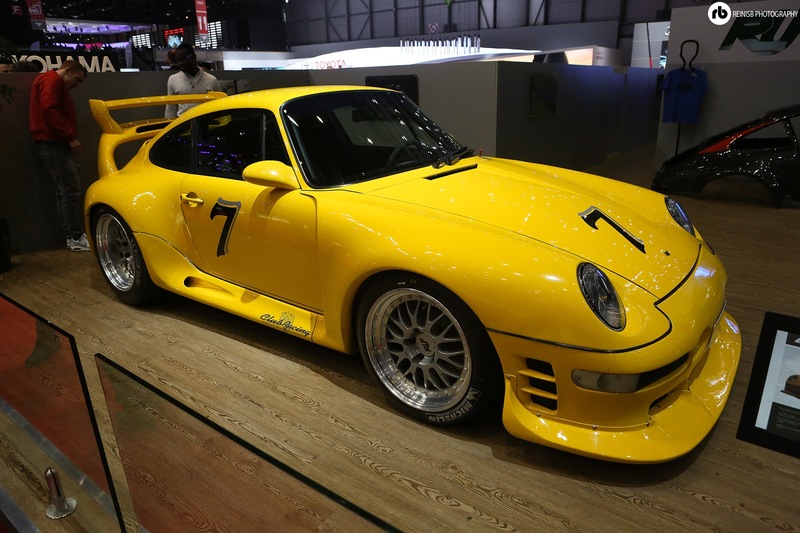 The R is essentially a paired back and lightened Porsche GT3 which harks back to the original 911 R, that the very rich Porsche enthusiasts ordered back in the day when they wanted a road legal race car. 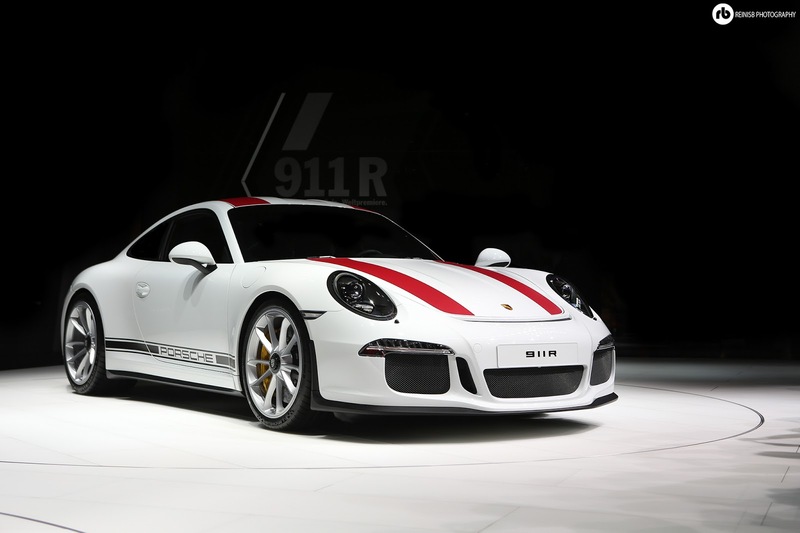 Of course Porsche being a Porsche released the 991 R in limited numbers, and...that’s right they are already sold out as well! 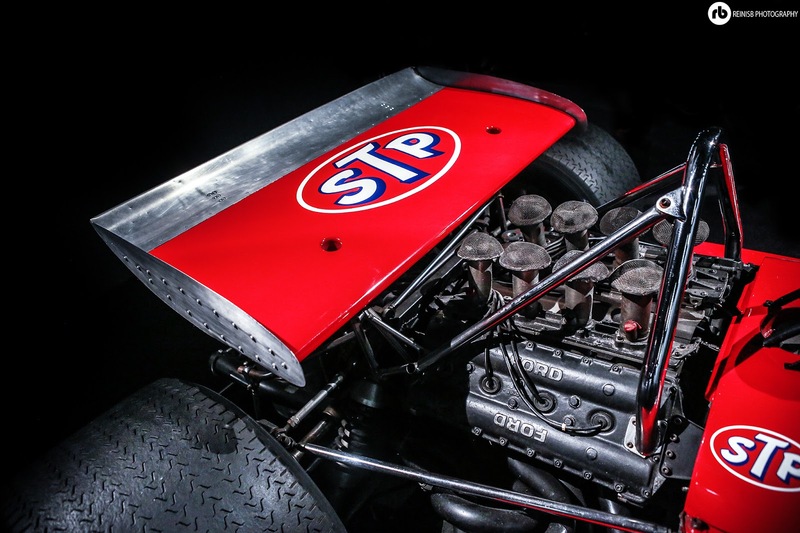 Expect this one to be an appreciating classic straight out of the box! 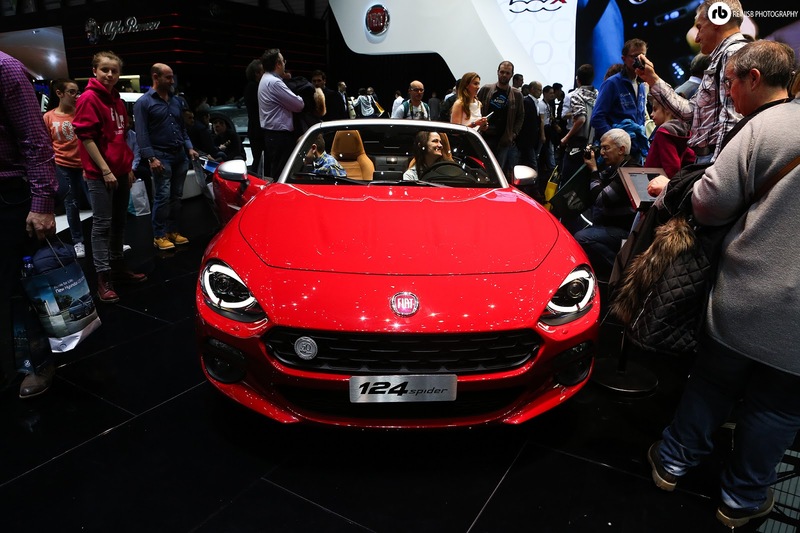 The Fiat’s 124 Spider received a sporty makeover with upgraded looks, improved chassis and performance from the Abarth Department and made its world debut at the Geneva. 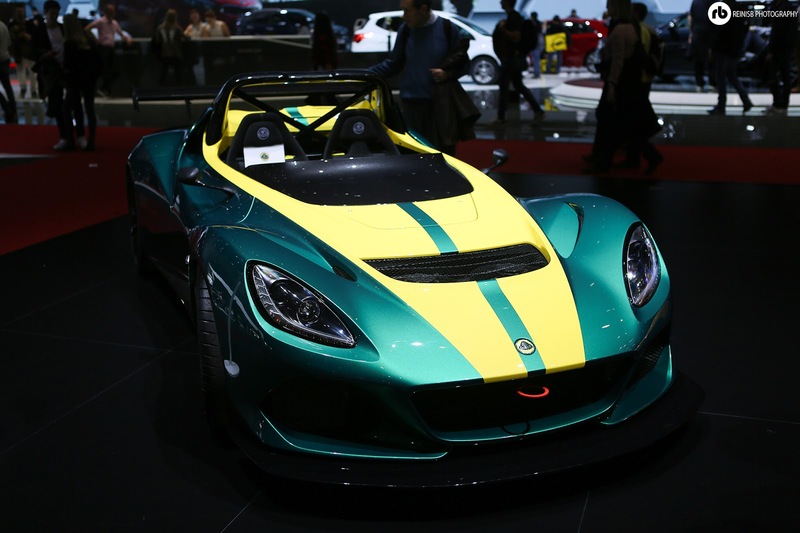 With performance figures of 168hp, 0-62 in 6.8 seconds, weight of 1060kg and top speeds of 143mph it outperforms the direct competitor Mazda MX-5; however, it comes at a heavier price tag of £29,565. Abarth also announced a return to rallying with an Abarth 124 Rally edition putting out 300hp. 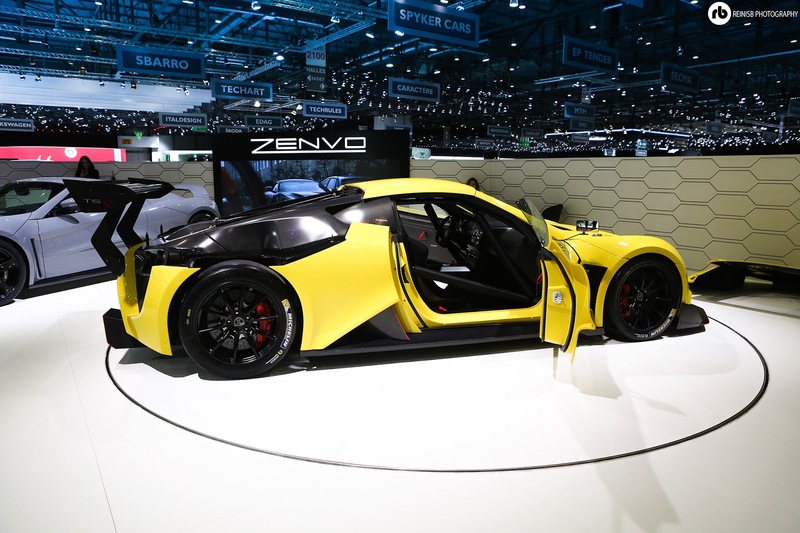 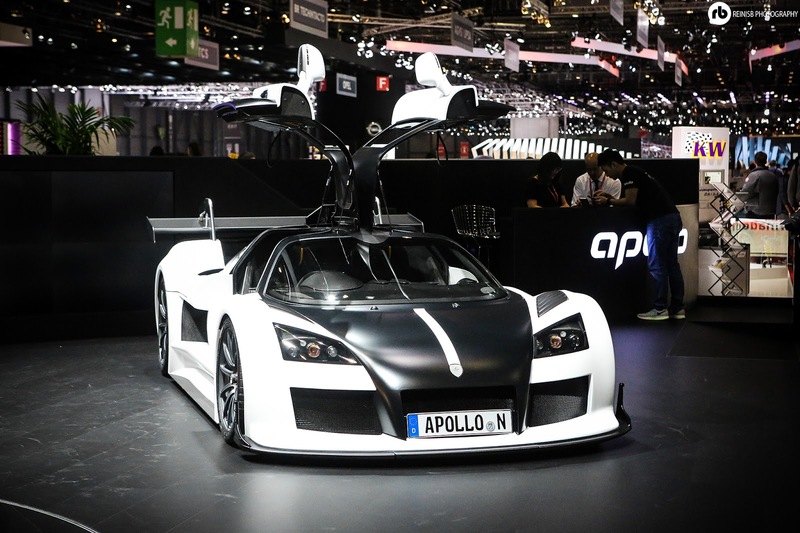 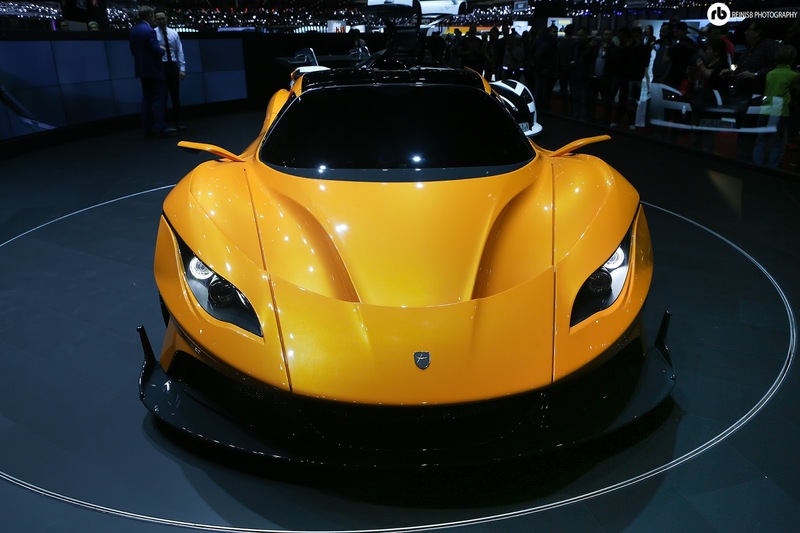 Apollo, or previously known as Gumpert, was renamed under the ownership and returns with a prototype called Apollo Arrow. 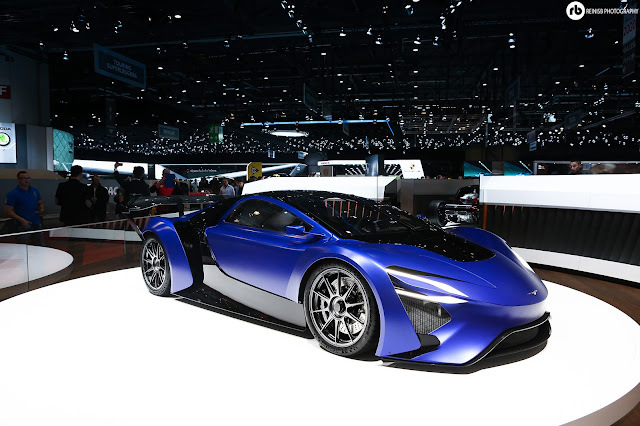 The company founder Roland Gumpert is still involved in the Arrow project promising an everyday hypercar with aircon, sat nav and all the extras, whilst offering a hyper car performance. With a predicted maximum speed of 224mph, 0-62 time of 2.9 seconds and 986hp from the Audi’s V8 it certainly promises to be a superb project, if it goes ahead that is. 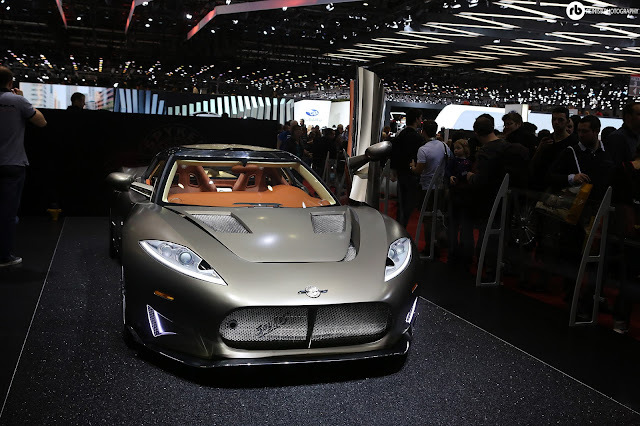 The replacement for the DB9 is here. 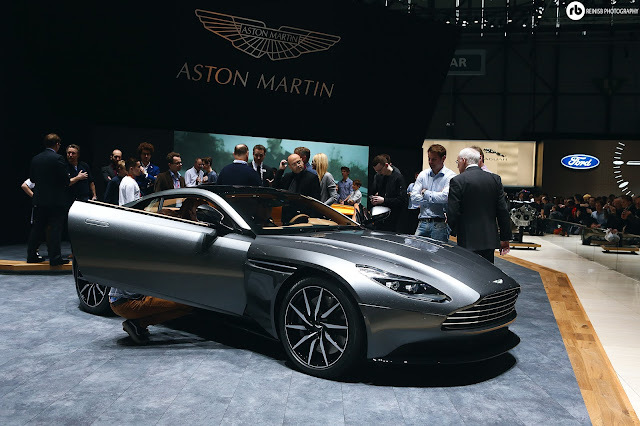 Aston Martin DB11 is the most powerful, efficient and dynamic of the Aston DB series vehicles ever built; it is available to order from prices starting at £154,900. 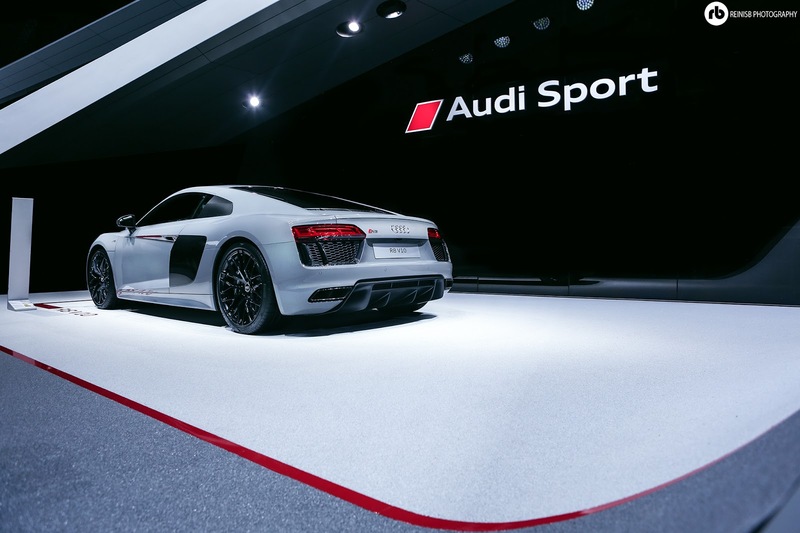 The N/A engine has been replaced by a twin turbo engine boasting 600hp and 700Nm of torque making it the most powerful DB ever built. The DB11 can reach 200mph and accelerate from 0-62 in 3.9 seconds. 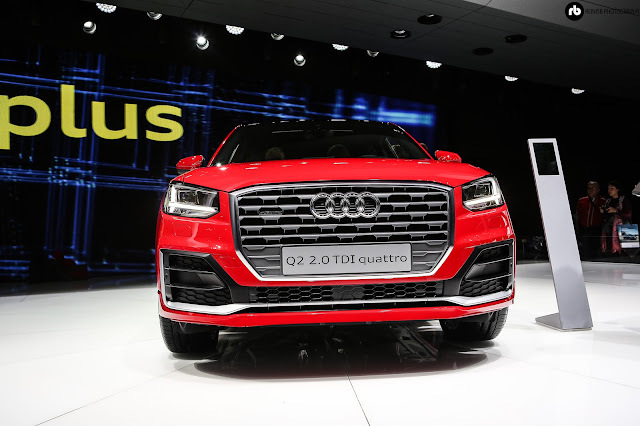 The fourth and smallest of the Q series - Audi Q2 is sized similar to an Audi A3 whilst retaining a lightweight body and powerful engine. 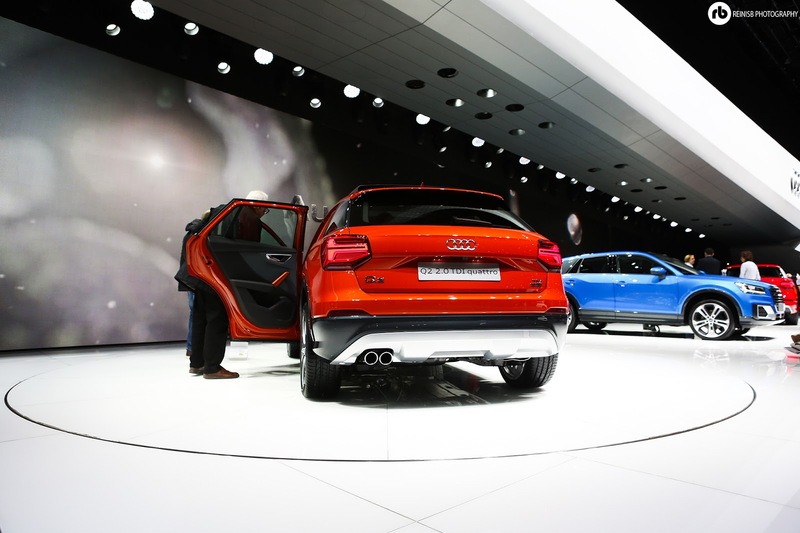 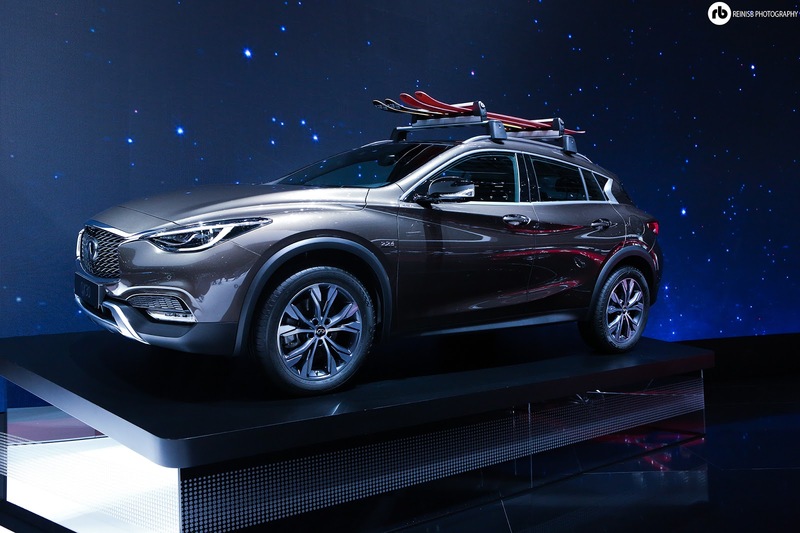 The Q2 is marketed against the BMW X2 model. 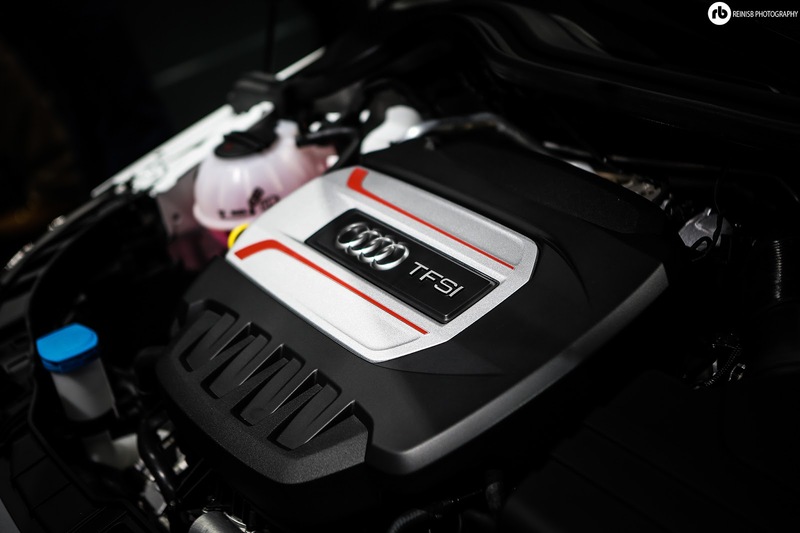 Engines will wary from the usual 1.4 up to a 2.0 248bhp 2.0-litre engine. 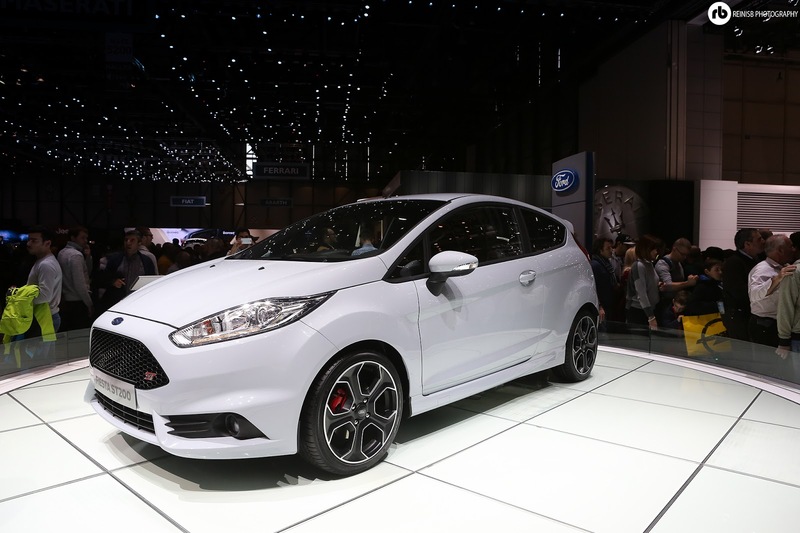 With starting prices of just £22.000 this can prove to be a very successful family car. Bentley's top limousine has just grown, the extended 250mm wheelbase was donated to the rear doors giving even more space for the luxury limo passengers to enjoy their ride. The Mulsane is equipped with anything a man or woman would ever need (or not need), including tables, blinds, angled sunroof and skype or any other app running through one of the millions of speakers inside. 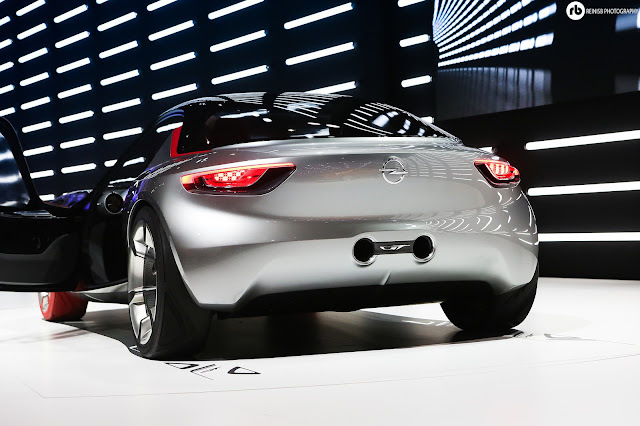 But the extra length and weight doesn't mean this car is a slouch, by no means sir. 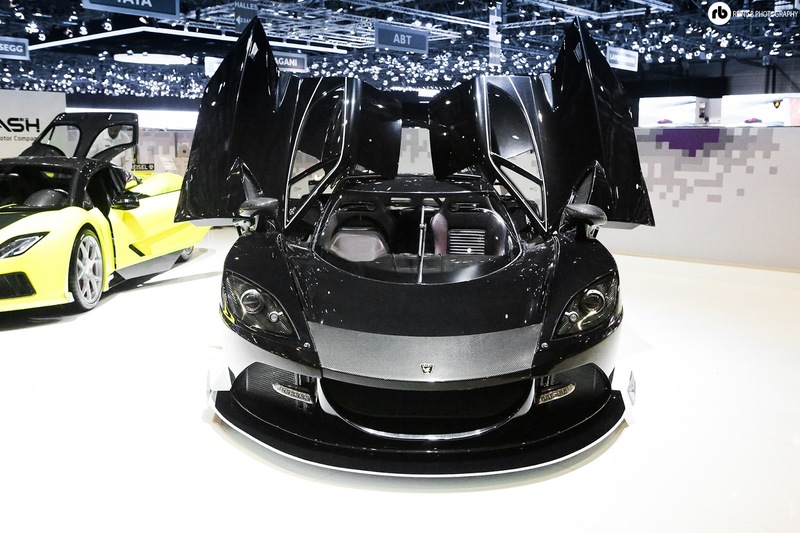 Mulsane is packing 530hp under it's hood and could accelerate from 0-60 in 4.8 seconds, that if the passengers would let you do so. 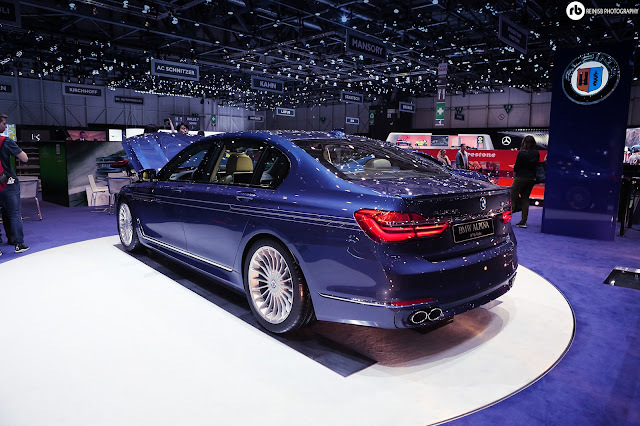 Alpina B7 is based on the BMW 750i; however, the 4.4 engine has been treated to new turbos, intercooler, pistons, suspension increasing the stock 480hp to 600; the B7 can reach 62mph from a standstill in just 3.6 seconds. The interior has been upgraded to the signature Alpina blue and green colours. 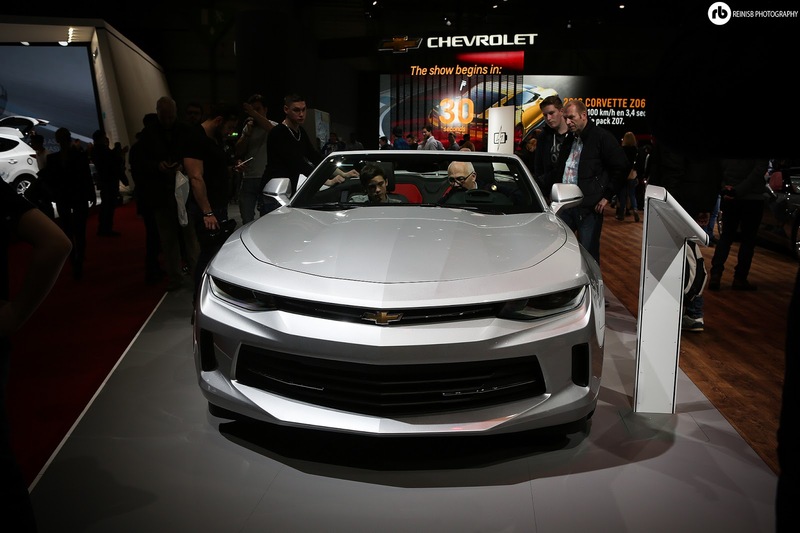 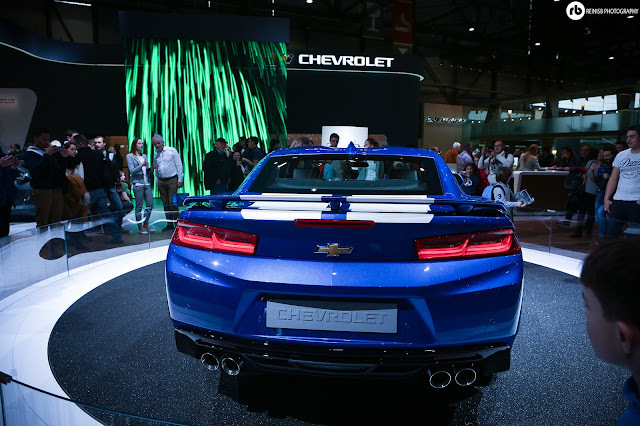 The Chevrolet Camaro sixth generation did the European debut at the Geneva Motor show and it looked very impressive. The 6 speed 6.2L engine is producing 455 hp and looks very stylish. 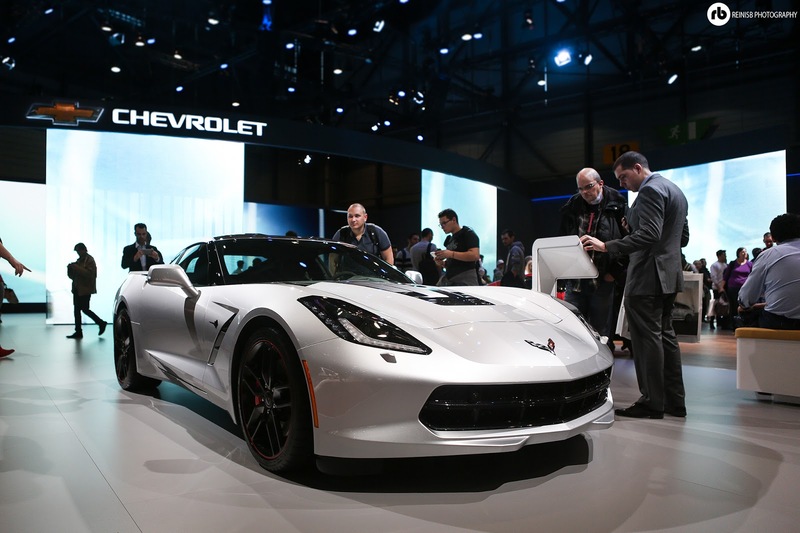 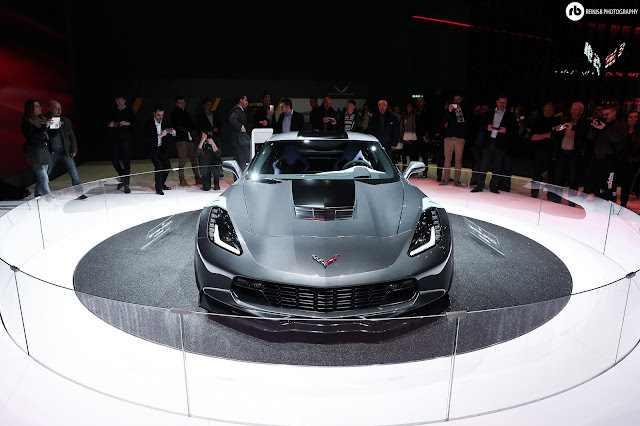 “We didn’t hold back with the new Grand Sport,” said Tadge Juechter, Corvette chief engineer. 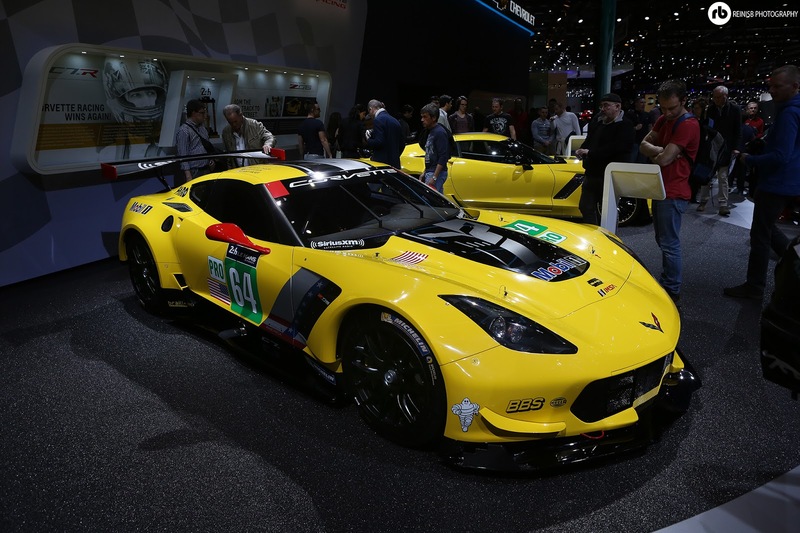 “ - the latest Corvette is all about track performance. 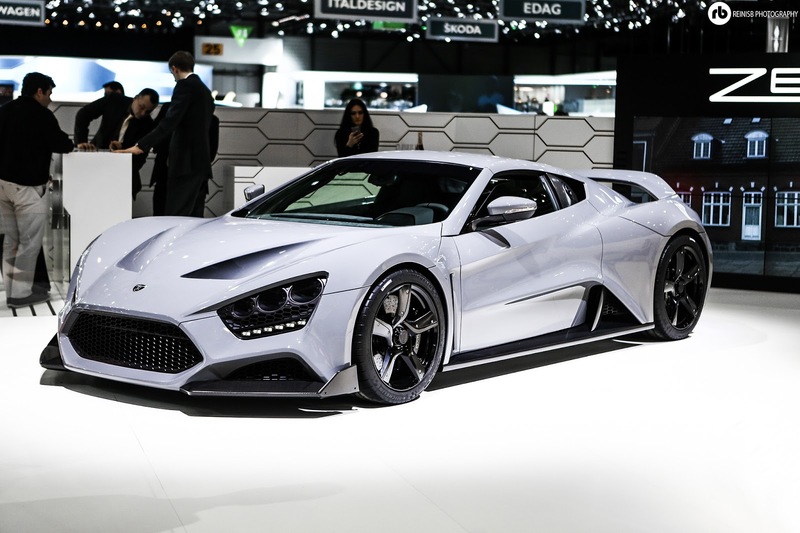 The Grand sport comes equipped with massive Brembo 6 pot brakes and Michelin Pilot Super Sports, the v8 engine has an output of 460hp. 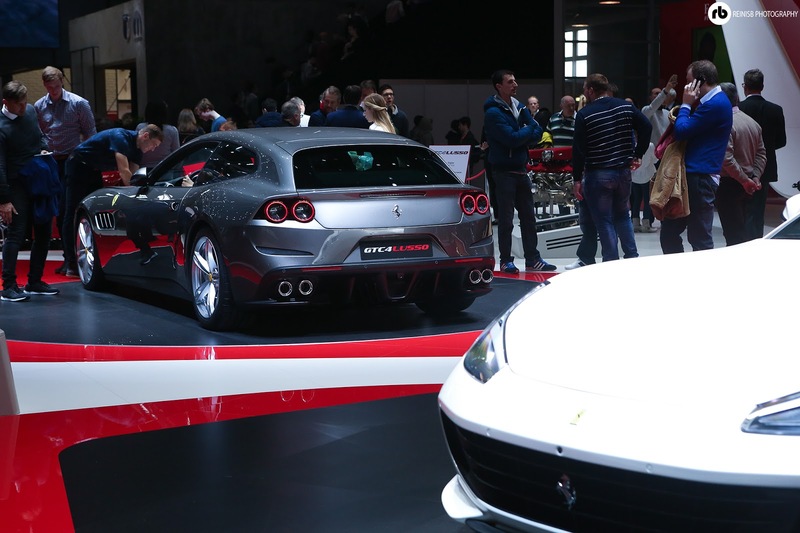 The family friendly Ferrari FF has been renamed to GTC4 Lusso, meaning it still has a 4wd system, 4 seats, smaller steering wheel and a bigger centre display. 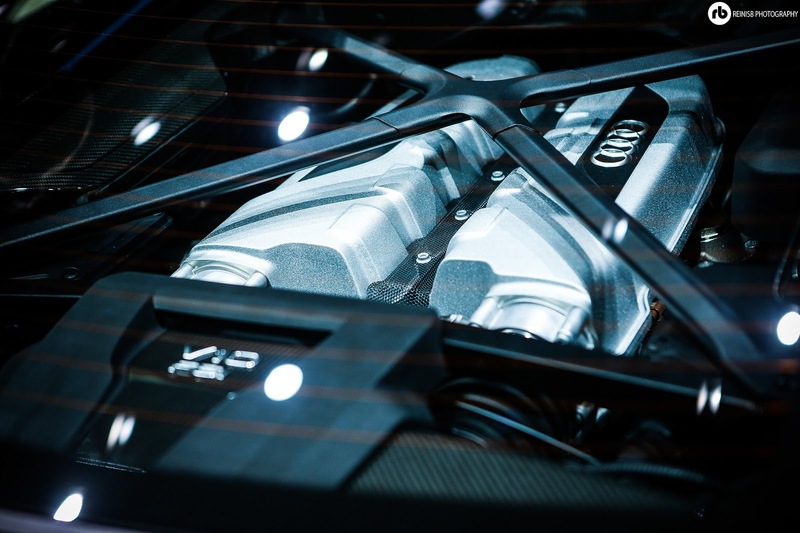 The 6.3-litre V12's output has been boosted from 651bhp to 680bhp. 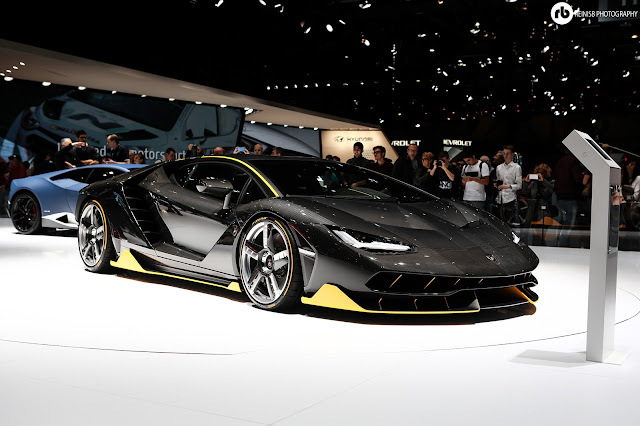 The price is rumored around the £226.000 region. 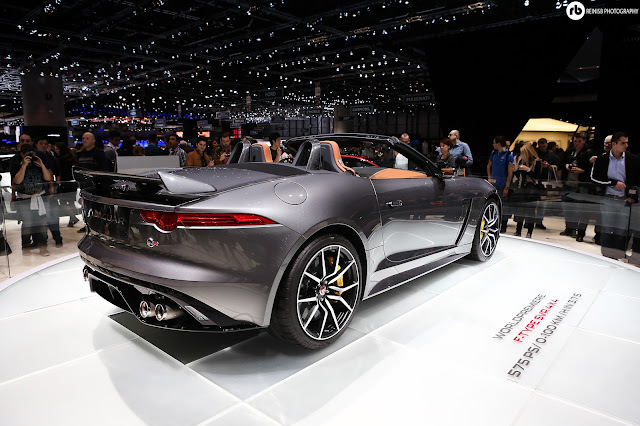 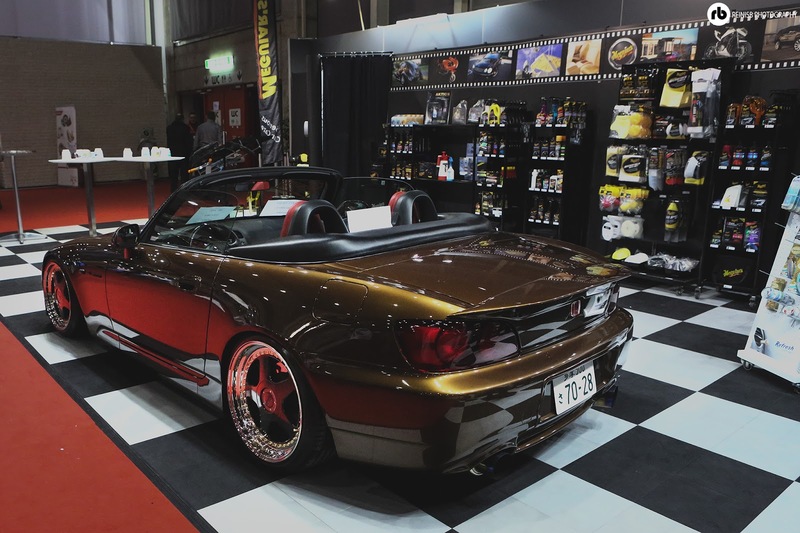 Jaguar has yet come up with another masterpiece, this time in a shape of a 4X4 567hp 5.0 litre supercharged V8 convertible. 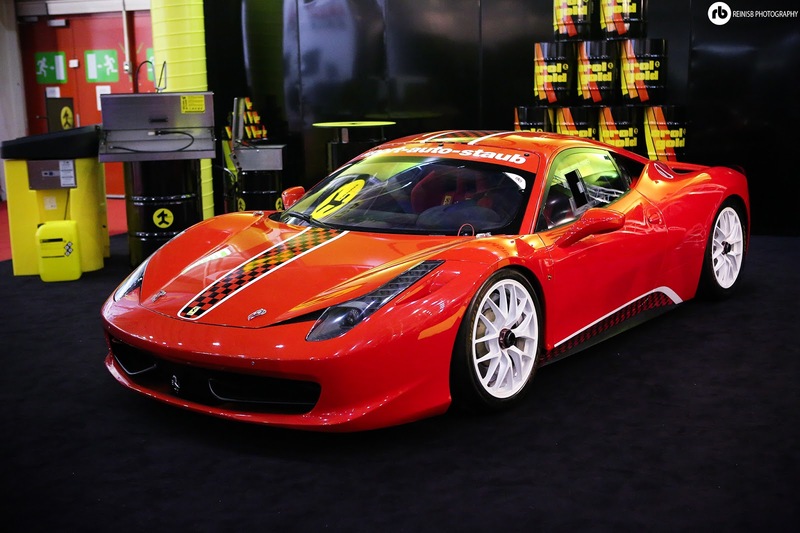 The car features uprated suspension, titanium exhaust, ceramic brakes and forged wheels. 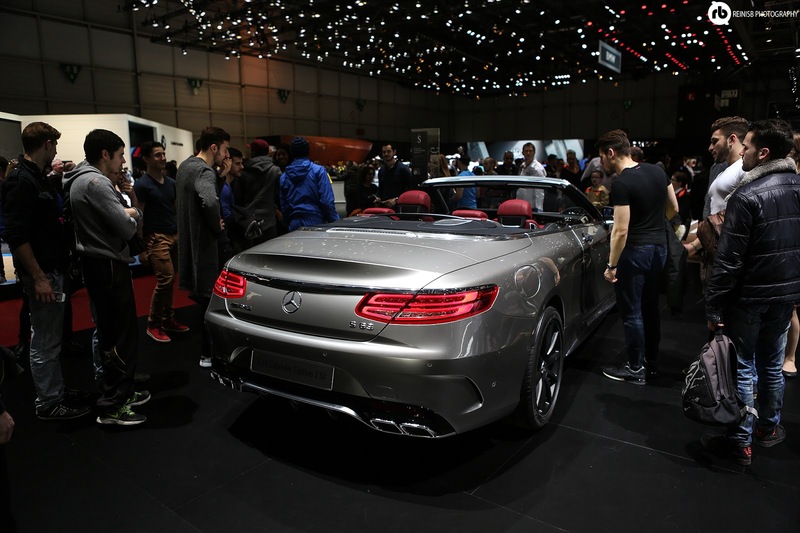 The drivers can experience an impressive 0-62 acceleration in 3.5 seconds with the roof down. One of the stars of the show was the new £154.000 Mclaren 570GT. 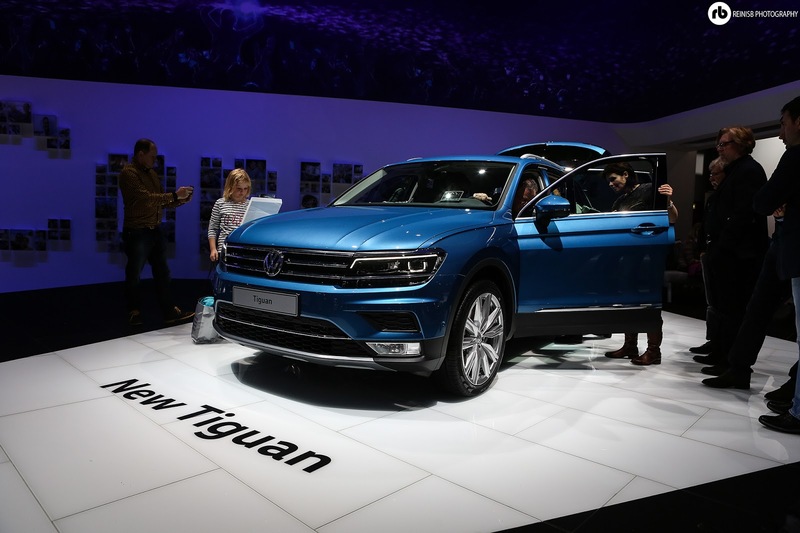 The new Grand Tourer will offer a larger huge leather trimmed boot space of 220l capacity , enough space for one's golf clubs, dog basket and a box of expensive wines. 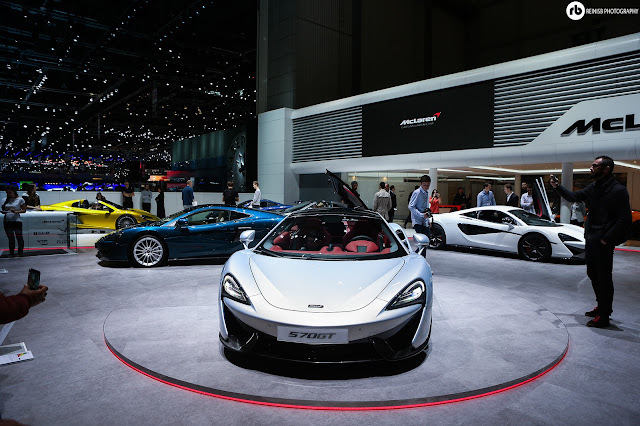 The 570GT’s engine and transmission are unchanged from the Coupe, with the 562bhp 3.8-litre twin-turbo V8 hooked up to a seven-speed dual-clutch transmission. 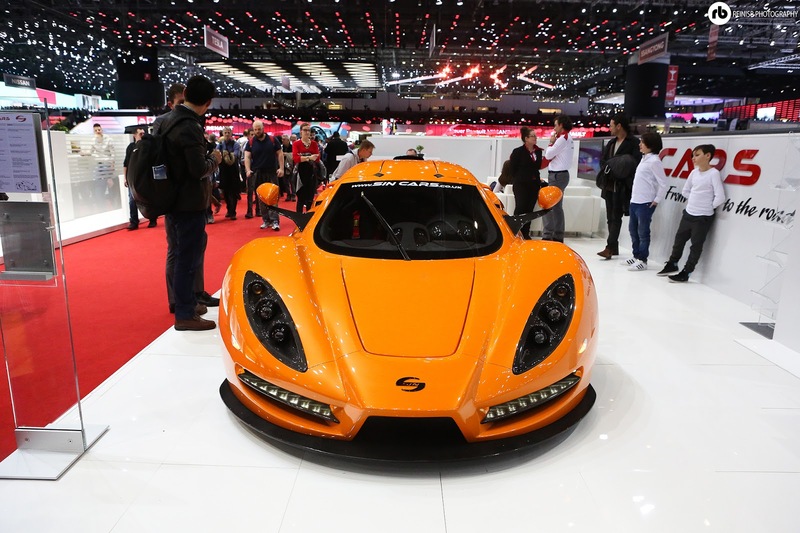 The dutch supercar maker is back with an Audi V8 powered beast capable of 0-62 in 3.7 seconds. The engine is producing 518hp and car features the Spyker typical striking design, both inside and out. 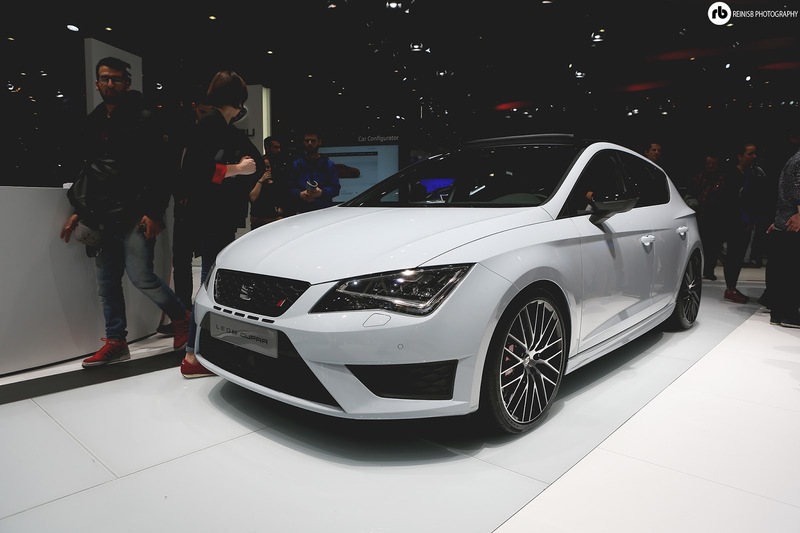 The prices will start of £303.00 for the 6 speed manual or £309.00 for an automatic version. 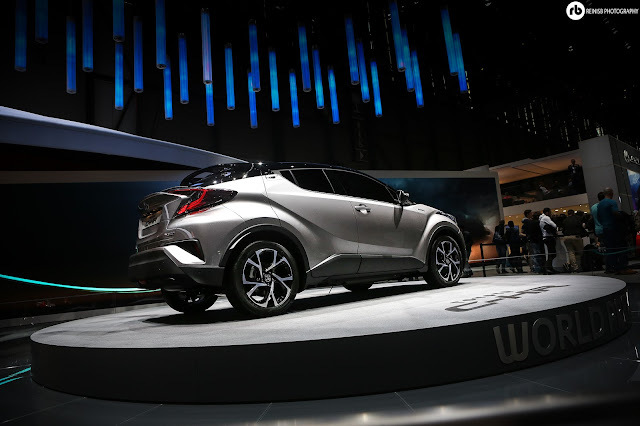 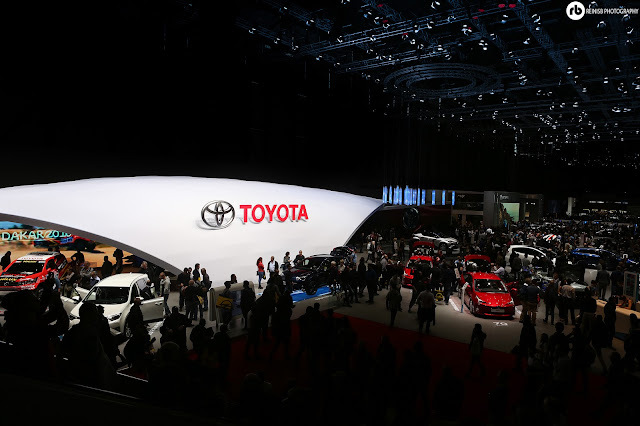 Toyota introduced it's Futuristic SUV at the Geneva Motorshow demonstrating the beautiful coupe like 5 door family car that will be powered by the 1.8 hybrid engine and promises engaging and dynamic driving experience. 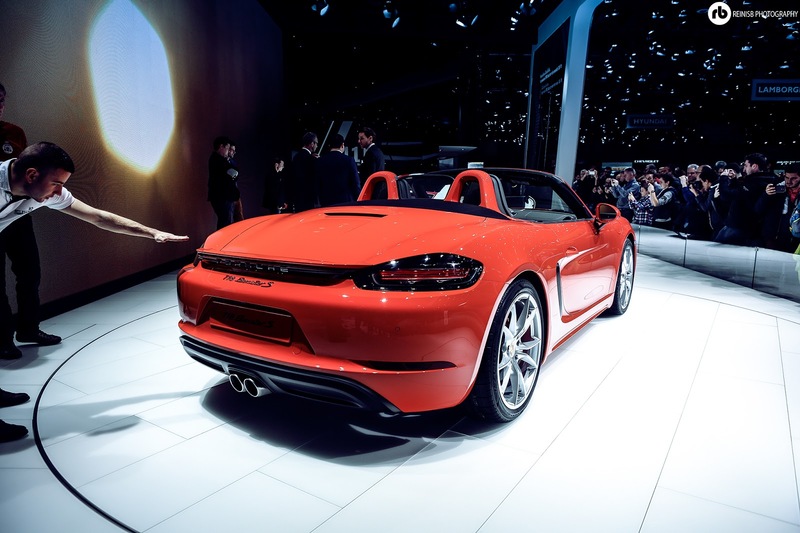 The hugely awaited 718 is here. 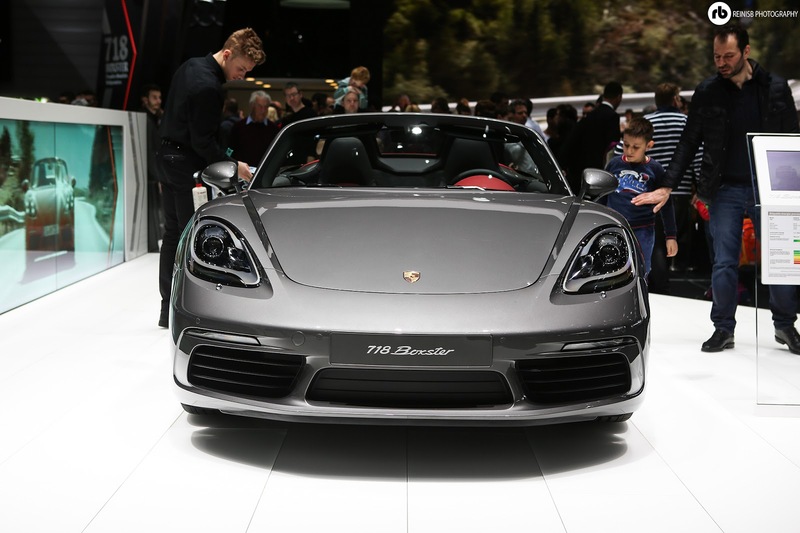 The Boxster, now called 718, has gained sharper and better looking headlights, larger air dams, bigger air inlets, thinner LED taillights, 19" wheels. 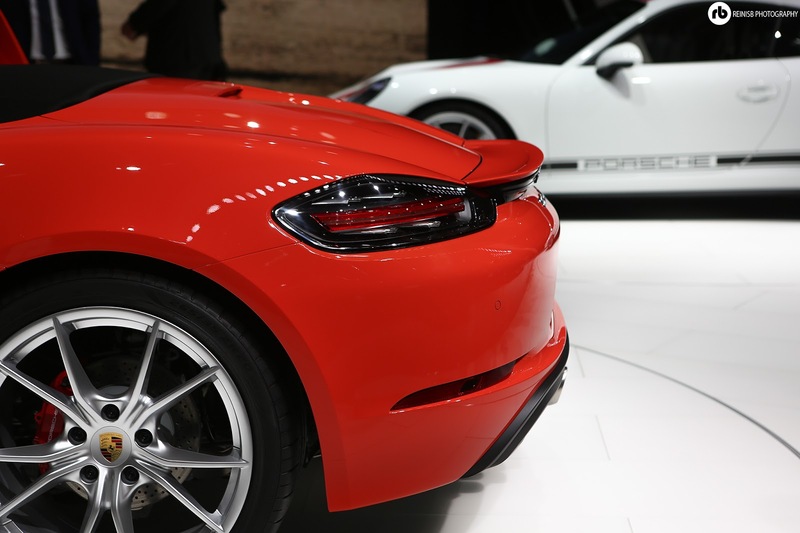 The N/A 2.7 engine has been changed to a 2.0 turbo (300hp) and 2.5 turbo (350hp) in the 718S model. 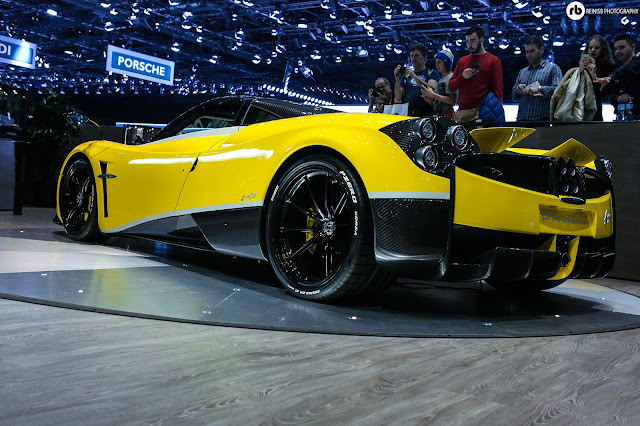 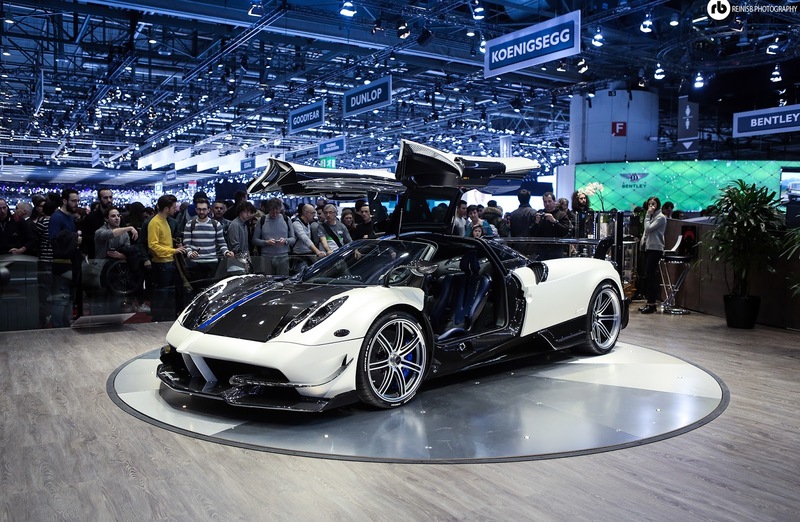 The new Huayra is a track-oriented version of the successful Huayra hypercar. 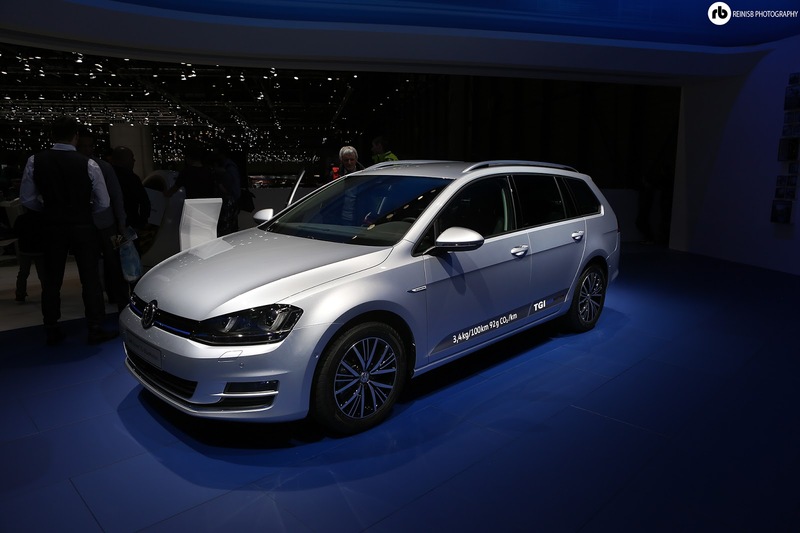 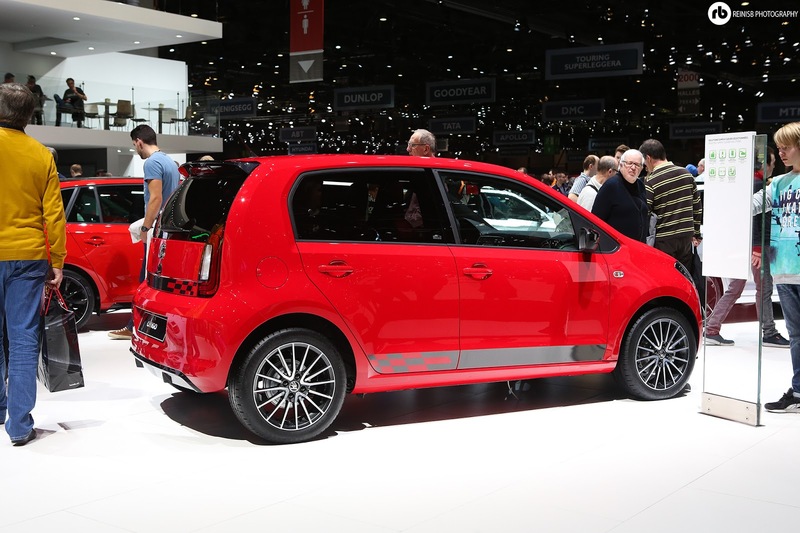 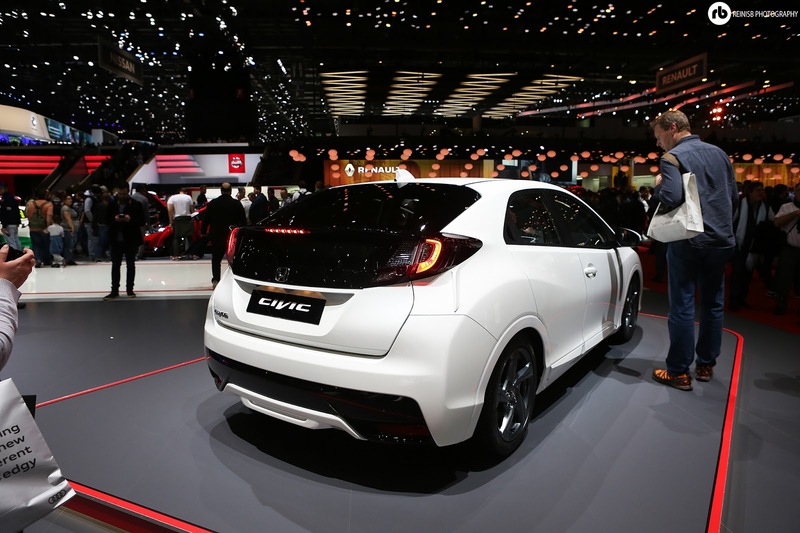 The car will be limited to just 20 units, priced at 2.35 euros (excluding tax). 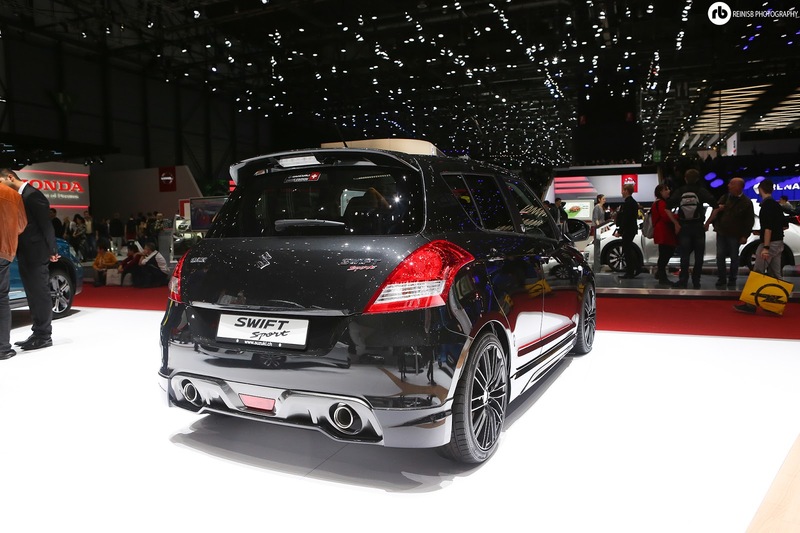 The car has received some dramatic aero upgrades, including a huge carbon rear diffuser and spoiler. 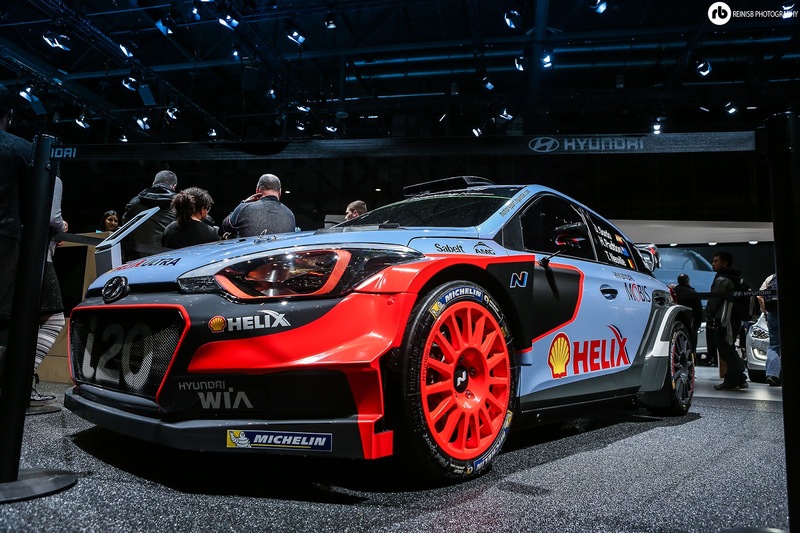 The car has got a new single clutch 7-speed gearbox, four-way dampers, latest gen Brembo ceramic brakes and an electronic differential. 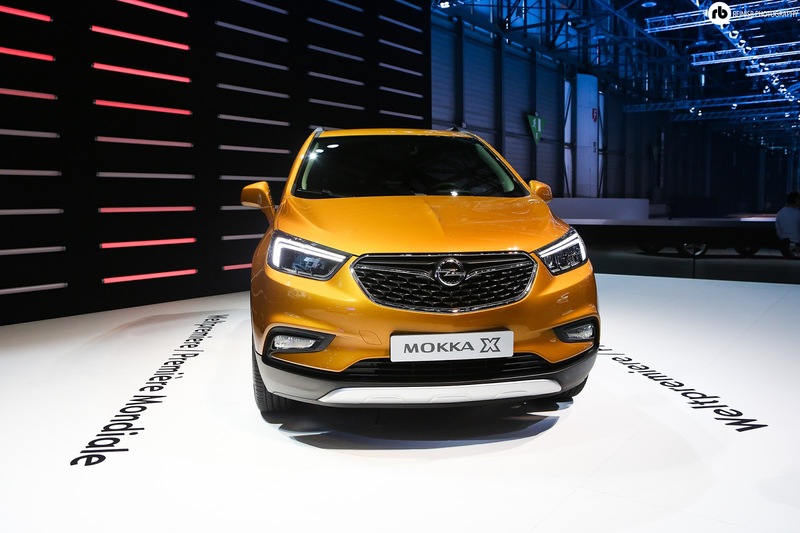 Opel/Vauxhal returns with a new Mokka X SUV with a facelift design and a choice of new engines. The Mokka X will be available in diesel and 1.4 turbo petrol model offering 150hp and 42mpg of combined driving. 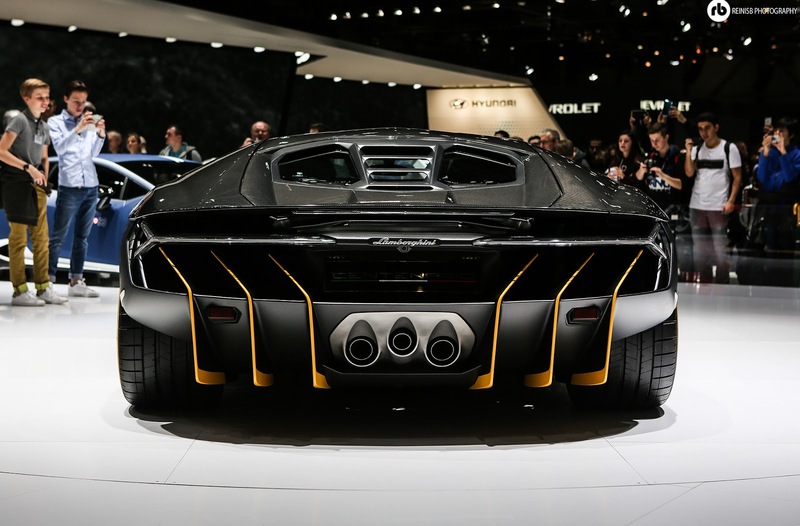 European debut for the world's most insane family car. This family seven seater is the most bonkers project known to a mankind, and unsurprisingly it was the busiest car of the show. 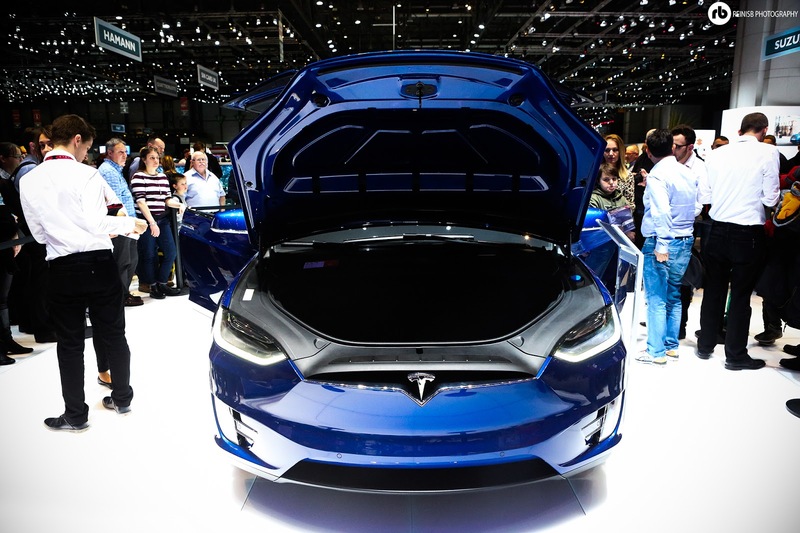 The electric SUV is powered by the same motor set up as the Model S P85D. 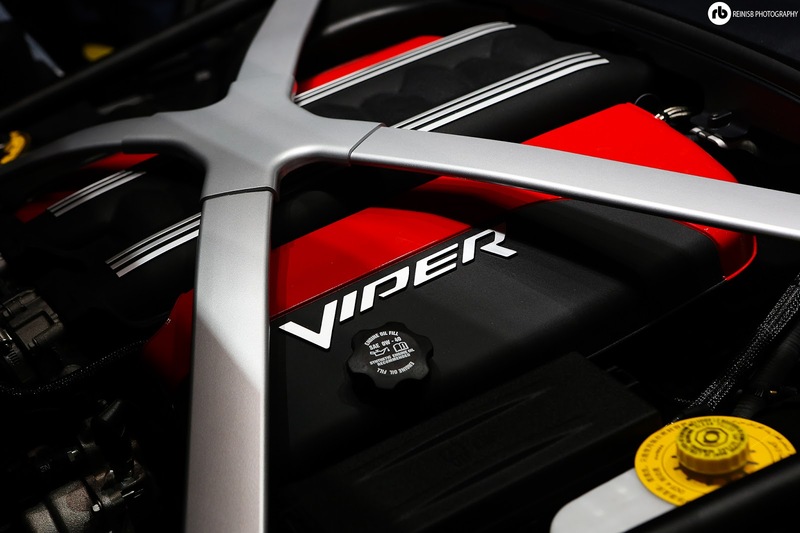 The front motor offers impressive 259hp, whereas the back adds just a bit more - 503hp to be exact. 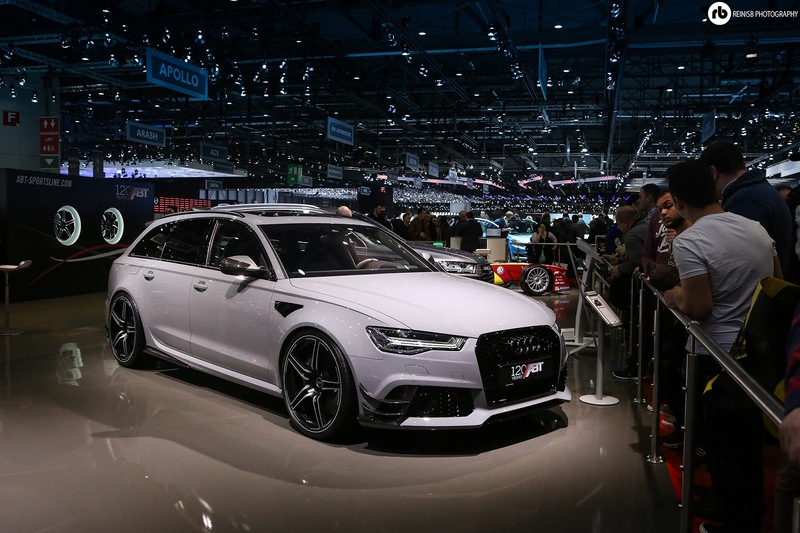 That is a total of combined 762hp and 713b ft of torque. 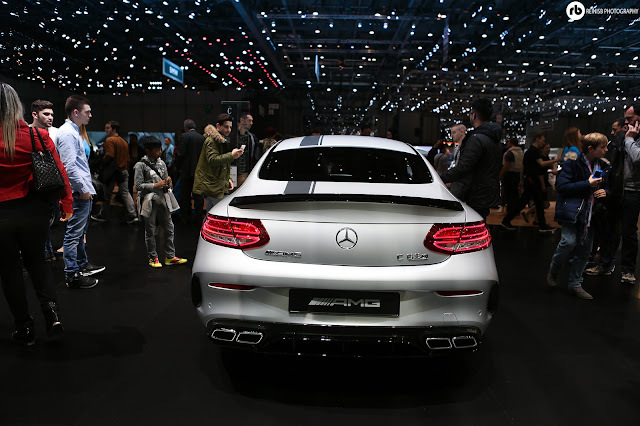 One can accelerate the whole family from 0-62 in 3.2 seconds!!! 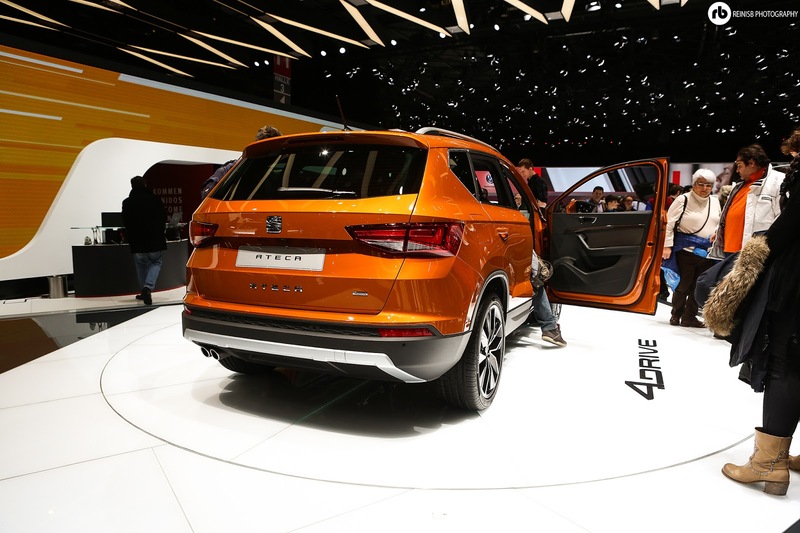 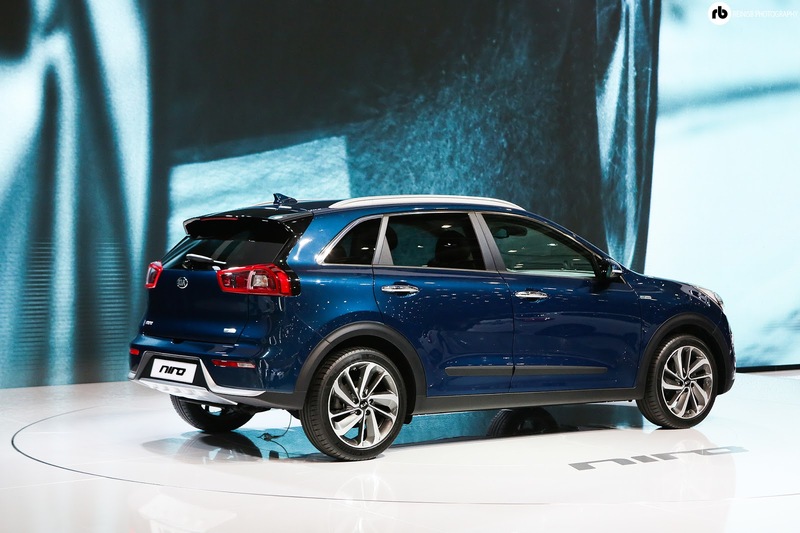 Ateca, a town in the north of the country off the eastern coast of Spain, serves also as the name for the latest Seat model; their first SUV gained a lot of attention at the Geneva 86th Motor Show. 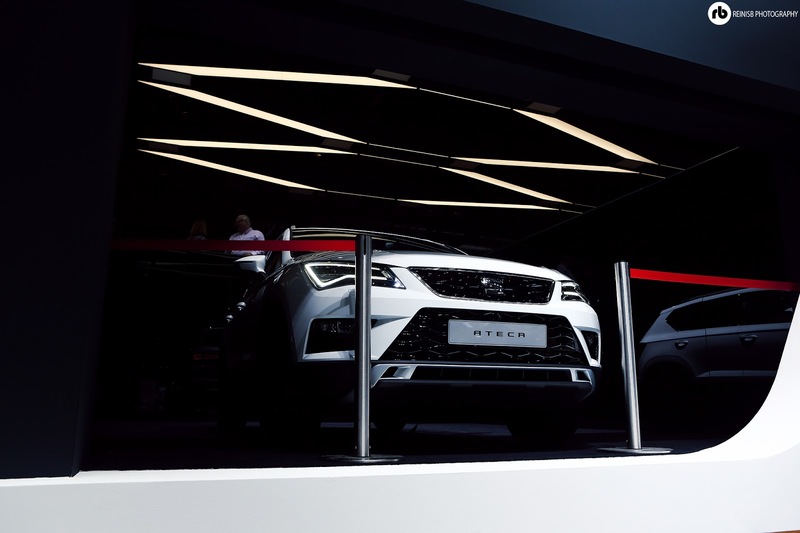 Seat Ateca is a direct rival to the Nissan Qashqai but with the stunning looks, dynamic driving experience and low price tag could possibly become the new urban warrior. 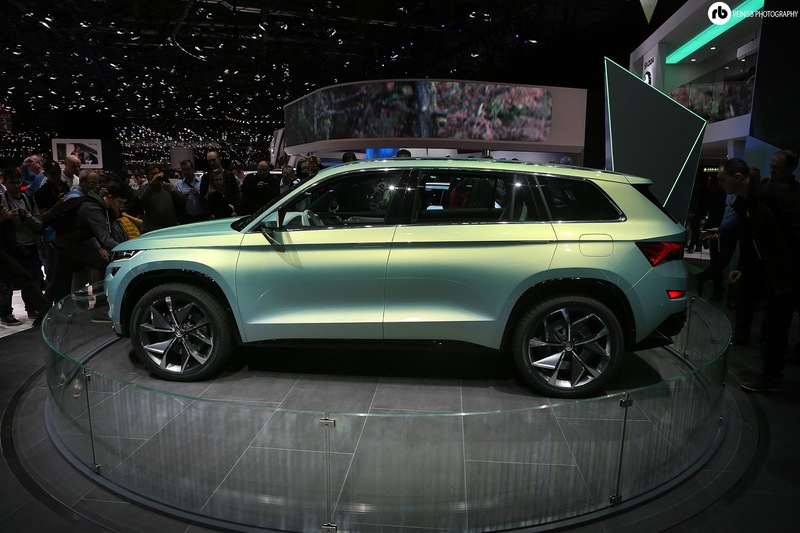 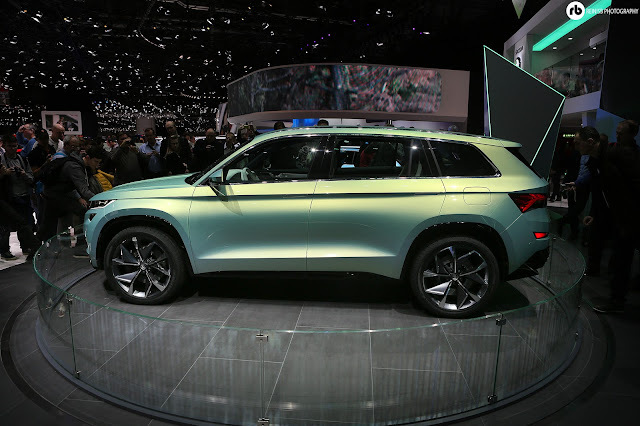 Škoda has a go at designing an SUV. 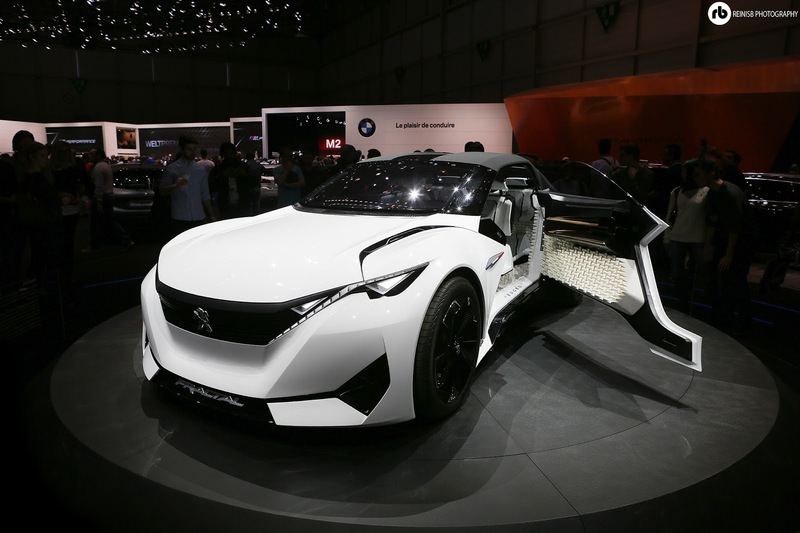 The car is powered by a plug in-hybrid consisting of a 1.4-litre turbocharged petrol engine paired with 2 electric motors. 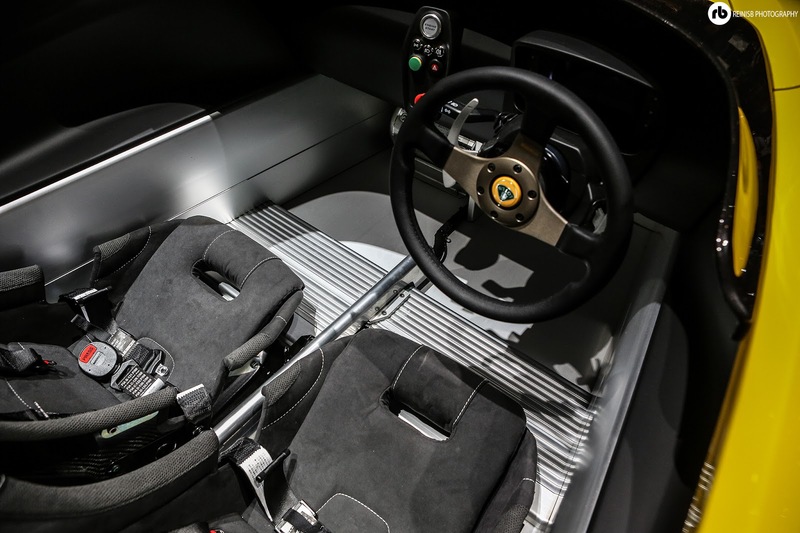 One electric motor is integrated into the car's six-speed dual-clutch gearbox, while another electric motor powers the rear axle. 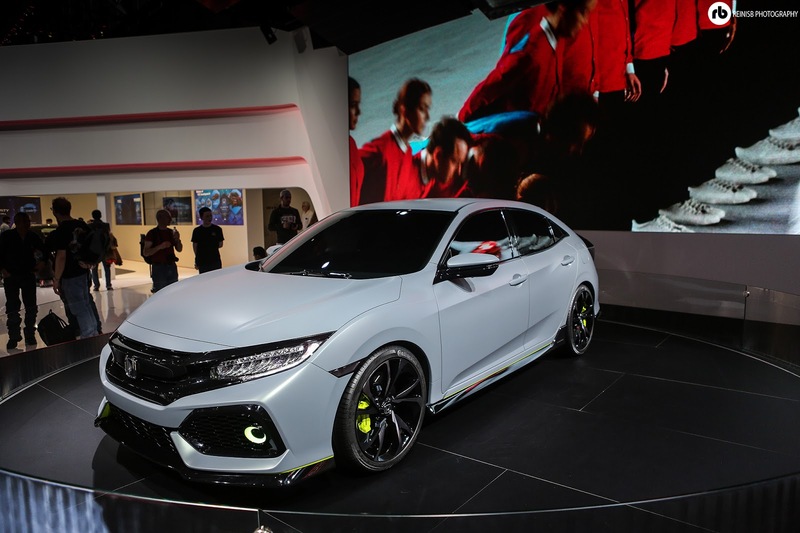 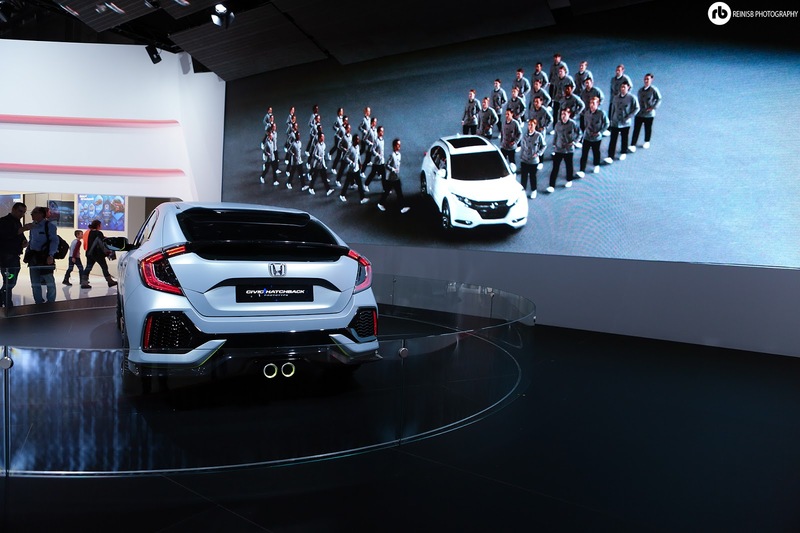 Honda promises this to be the sportiest civic to date. 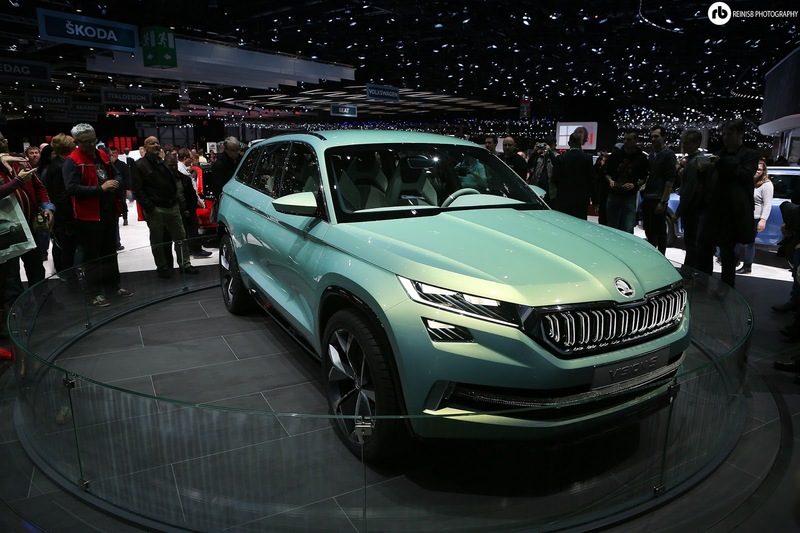 The model shown at the show was rumored to be 99% exact copy of what is to be coming off the production lines in UK next year. 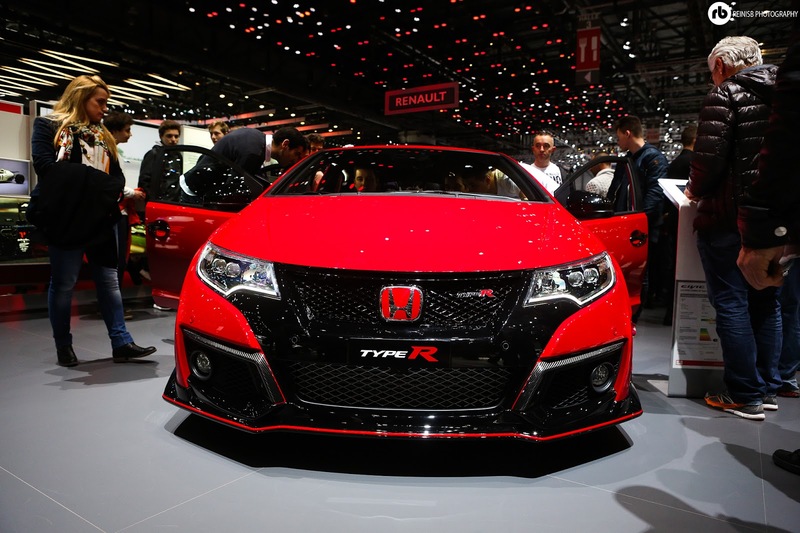 The experts rumoured a Type-R version to be released as soon as 2018. The car will come in 1.0 and 1.5l turbo VTEC engines, as well as a revised 1.6-litre i-DTEC diesel unit. Possibly the strangest car of the show, yet somehow appealing was designed by a former Lamborghini design chief Filippo Perini. 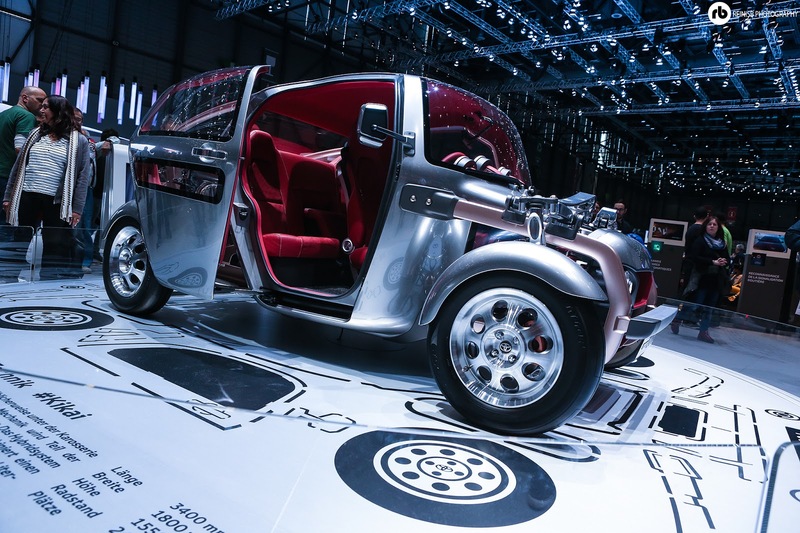 Sadly not a lot of info is yet available on this interesting concept vehicle. Pininfarina characterizes the H2 Speed as the world’s first “high-performance hydrogen car.”capable of 0-62 in 3.4 seconds, it is powered by electric motors producing 503 hp that are directly aimed at the rear wheels. 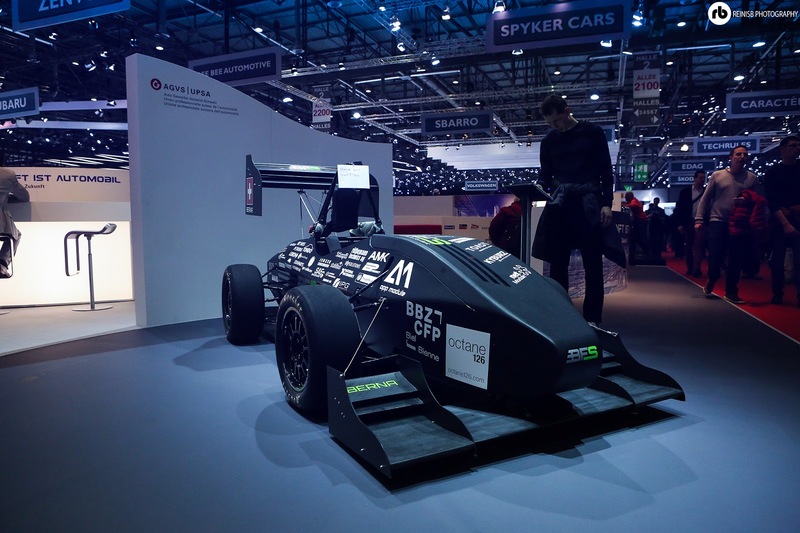 Could this be the motorsport future? 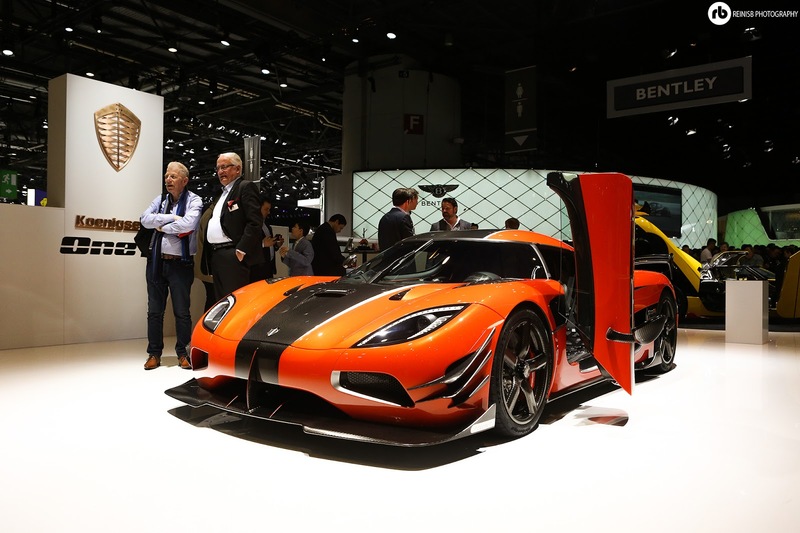 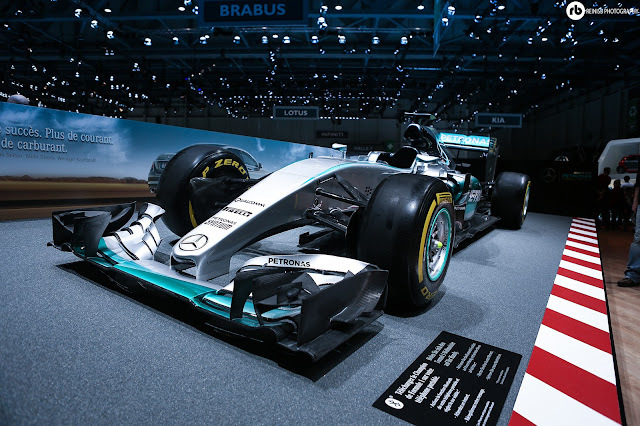 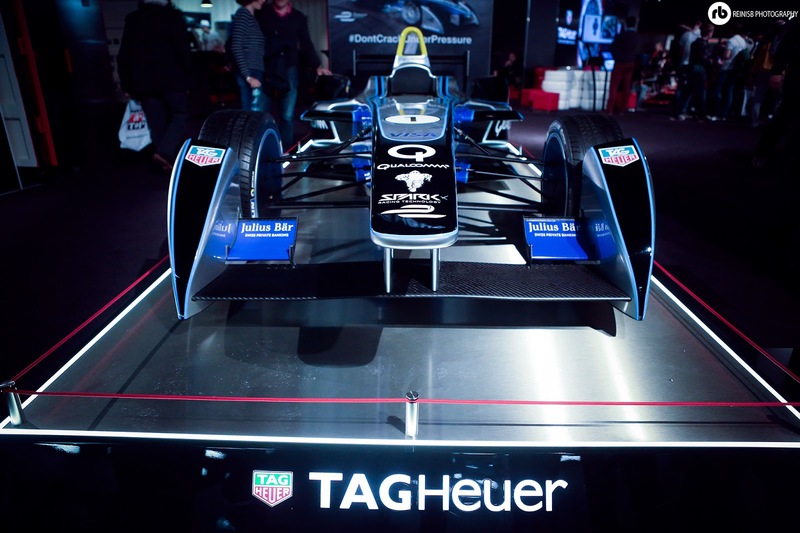 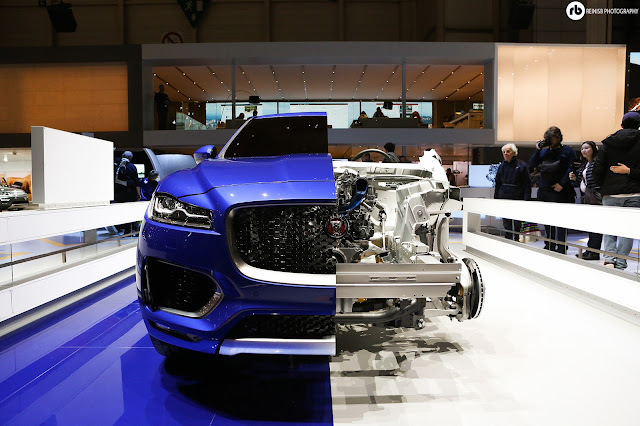 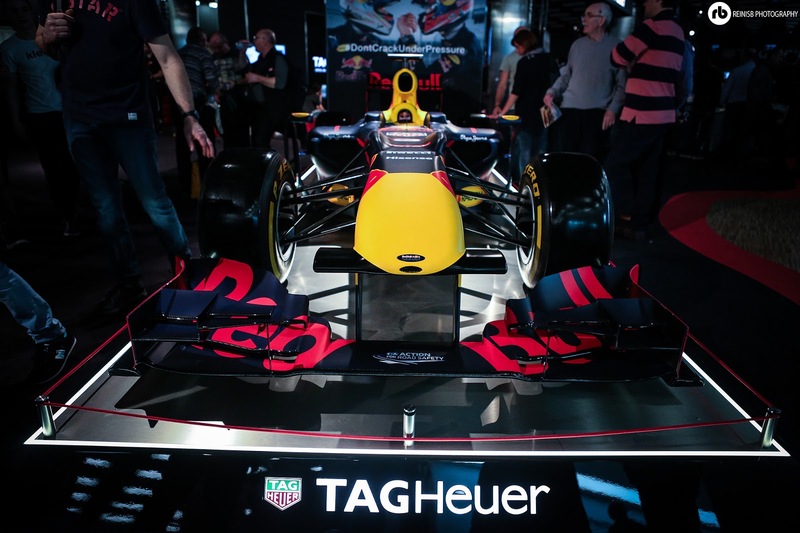 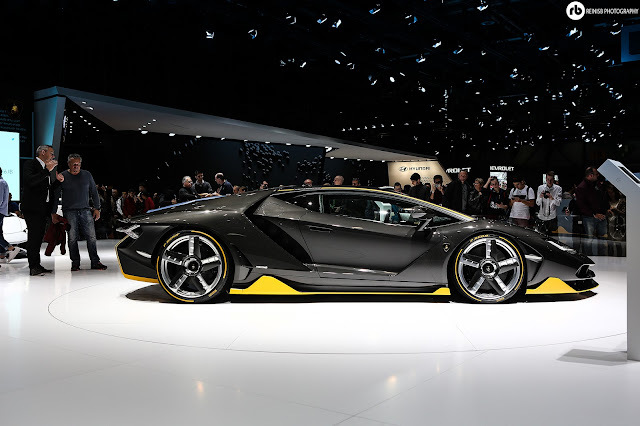 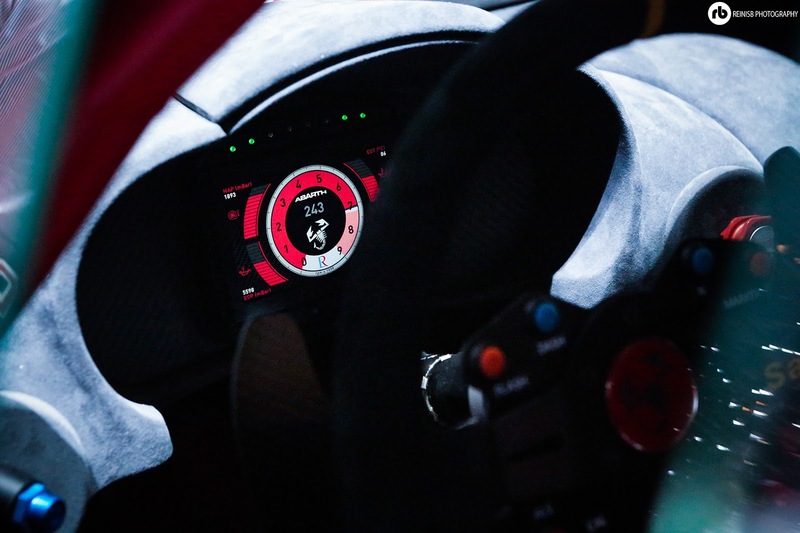 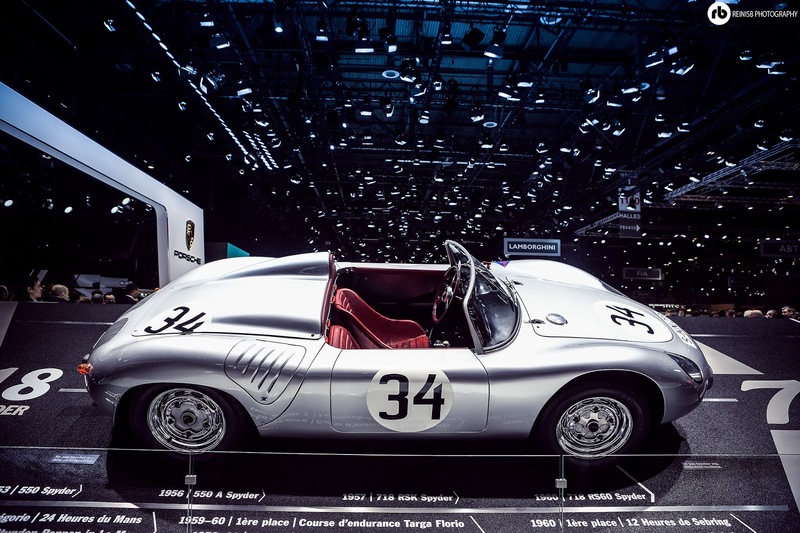 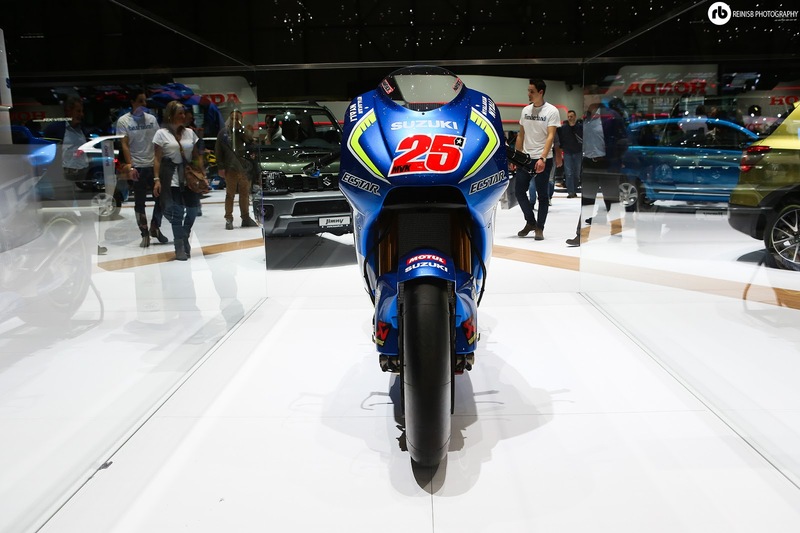 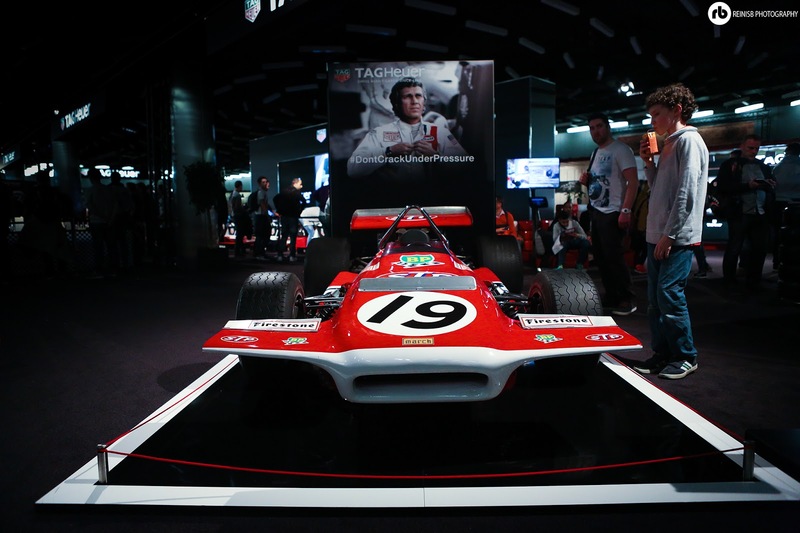 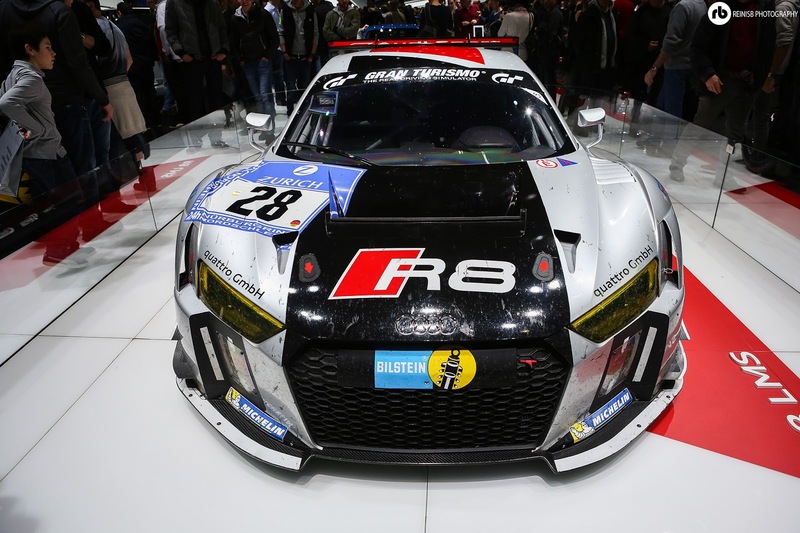 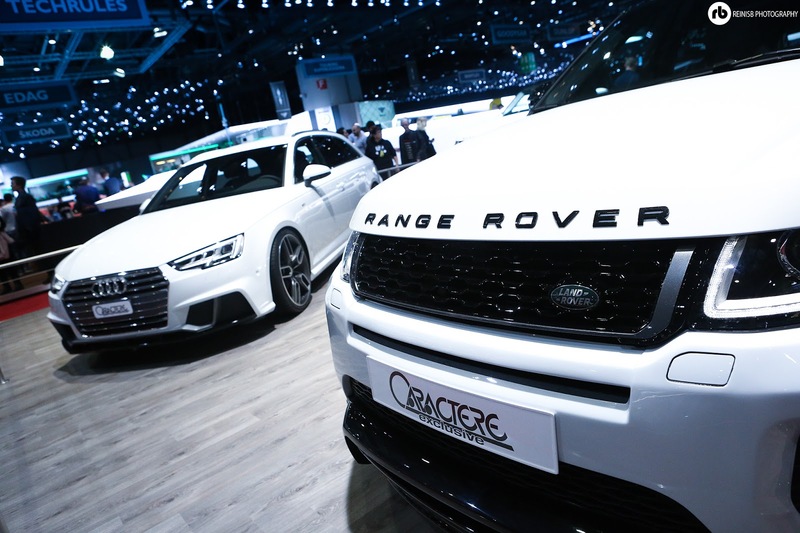 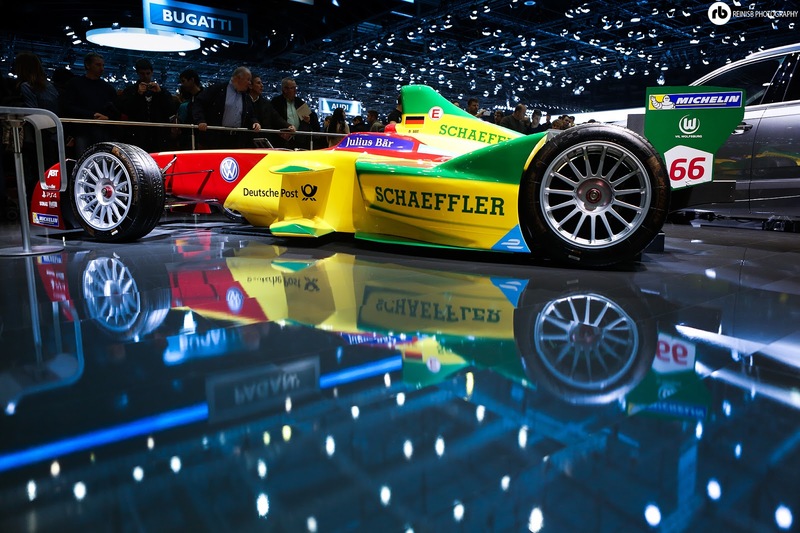 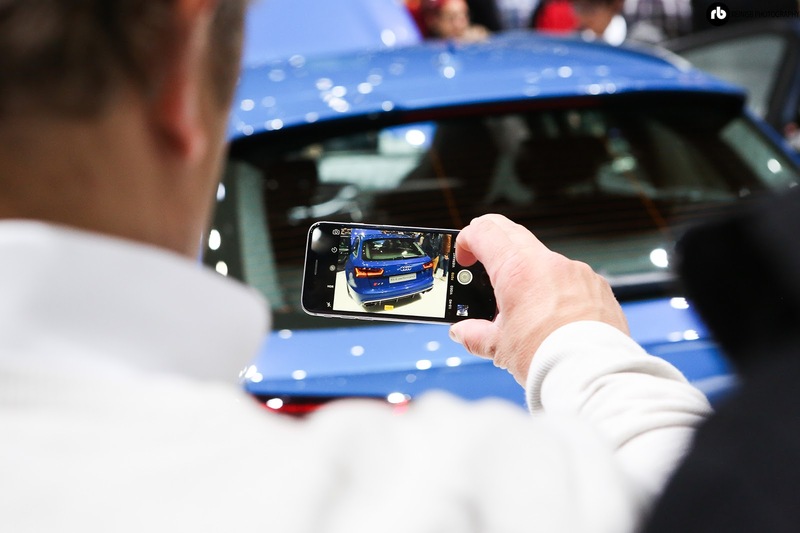 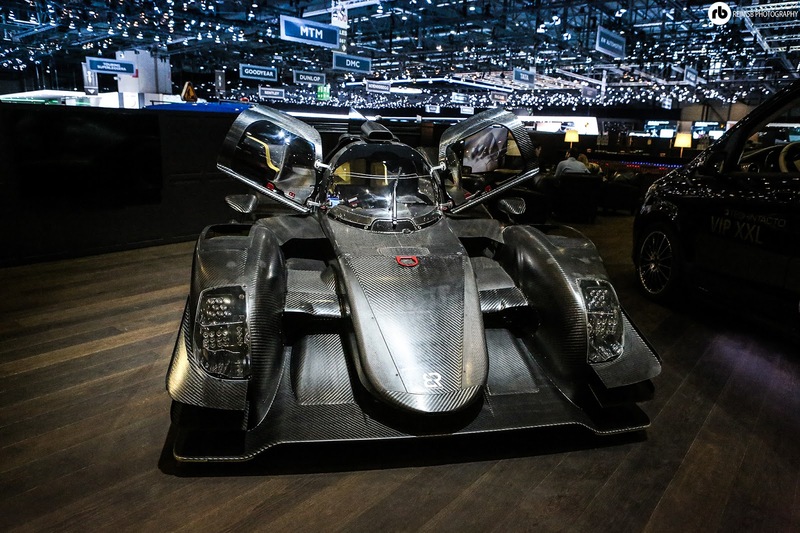 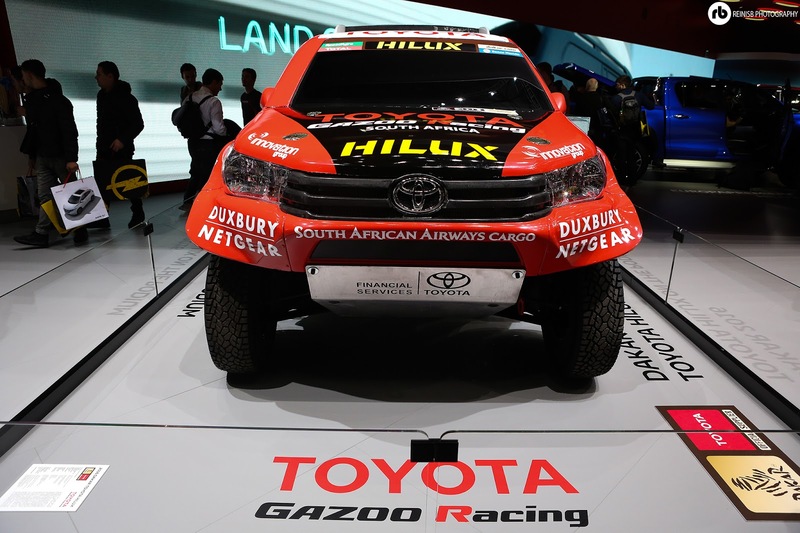 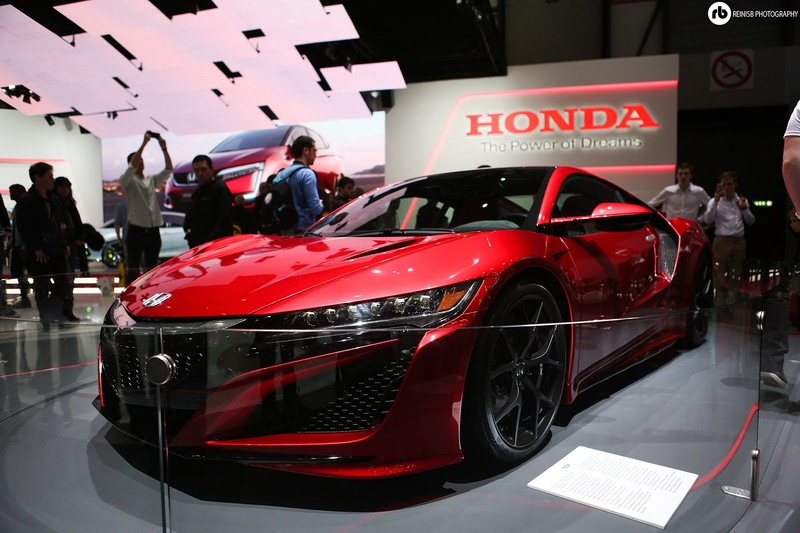 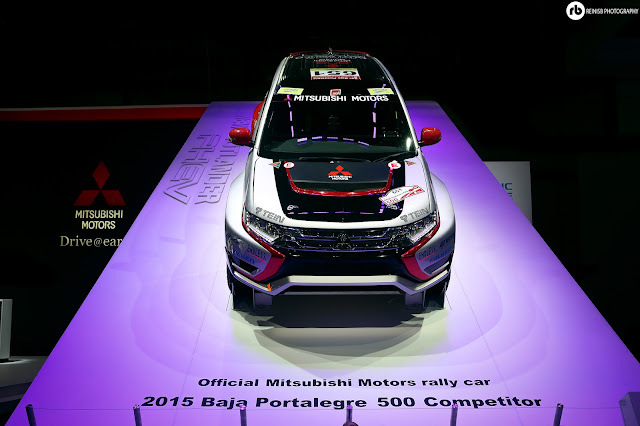 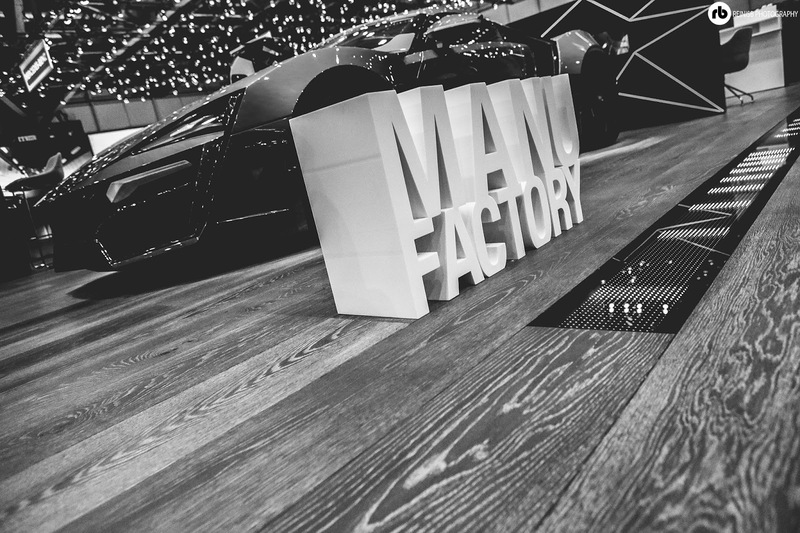 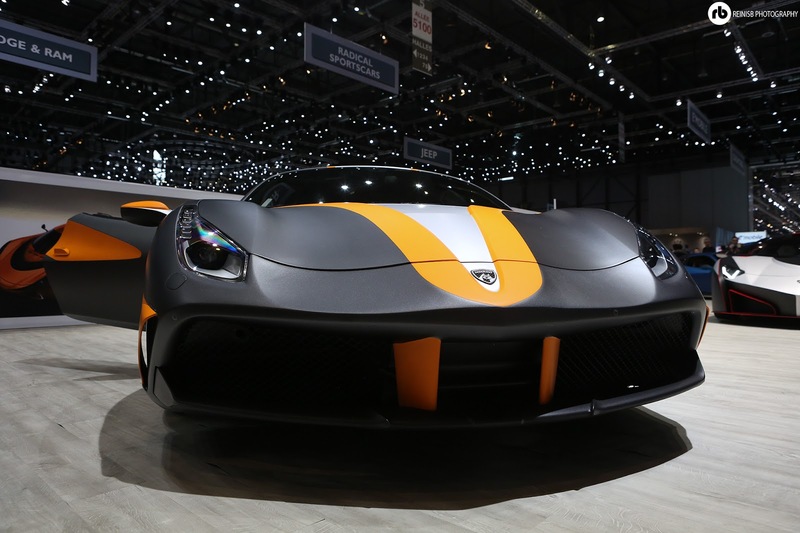 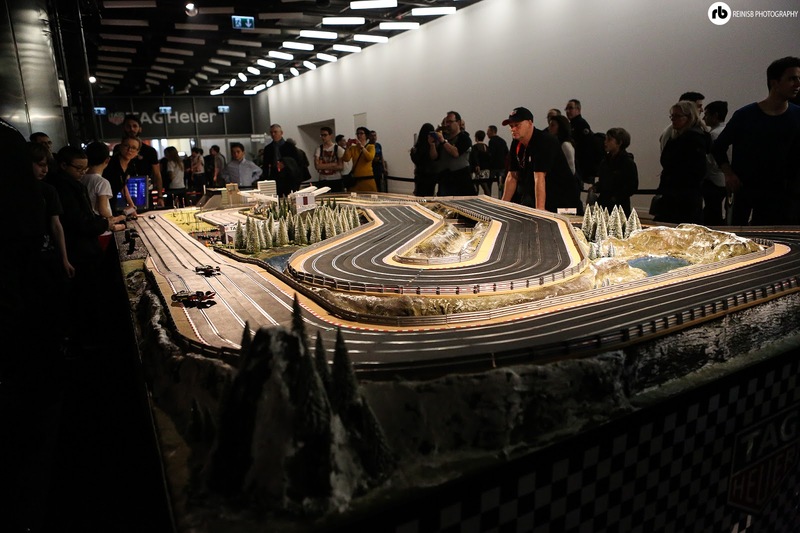 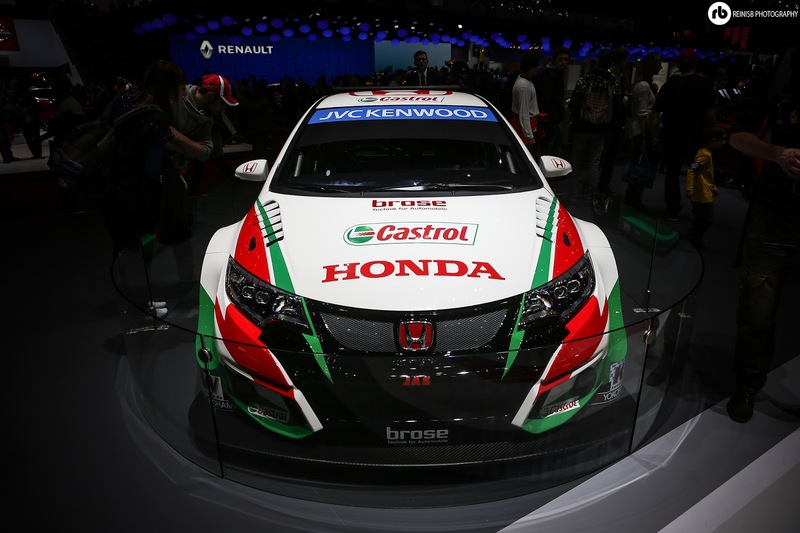 Many car manufacturers also bring along their motorsport vehicles to the Geneva Motor Show shocasing their racing pedigree and engineering skills. 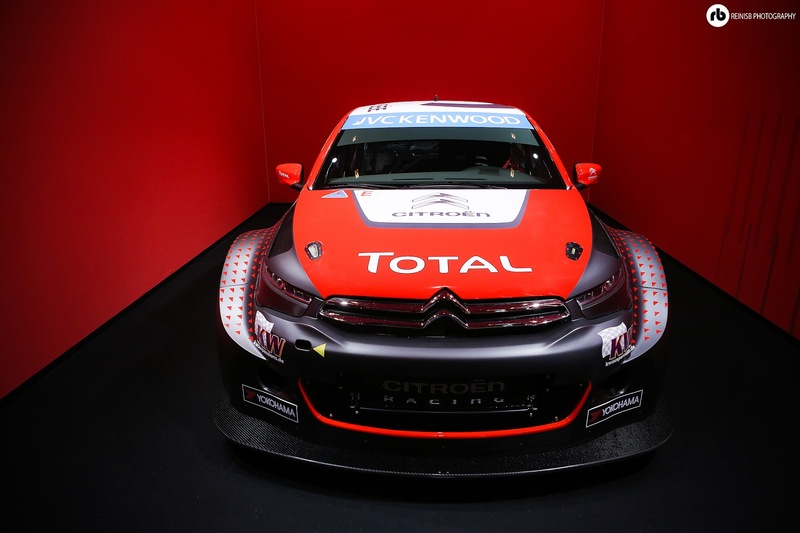 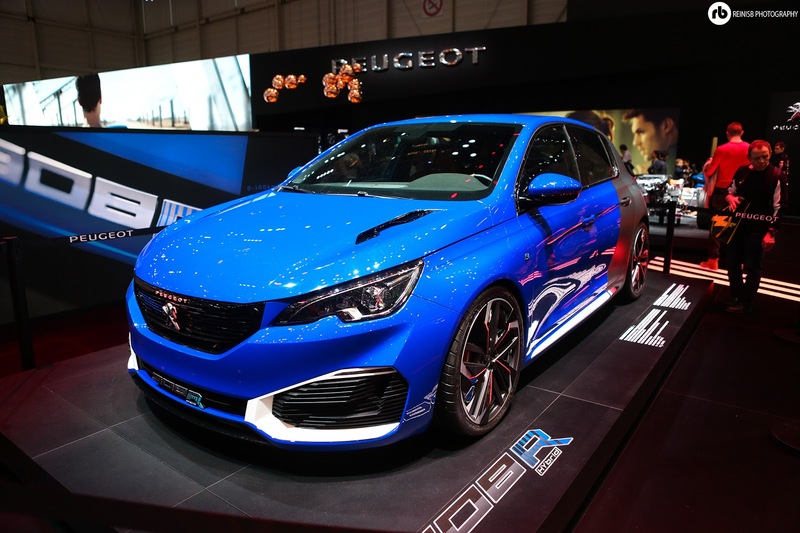 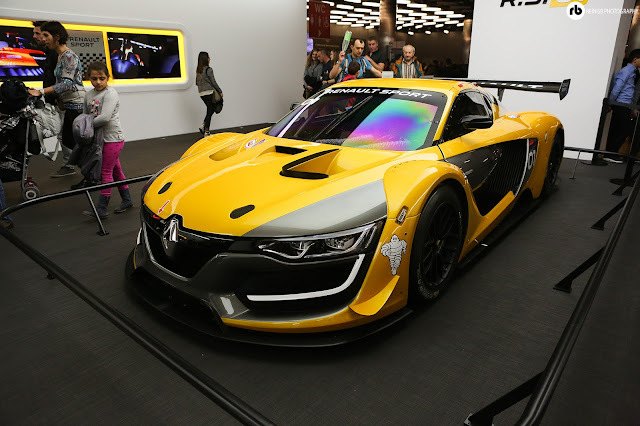 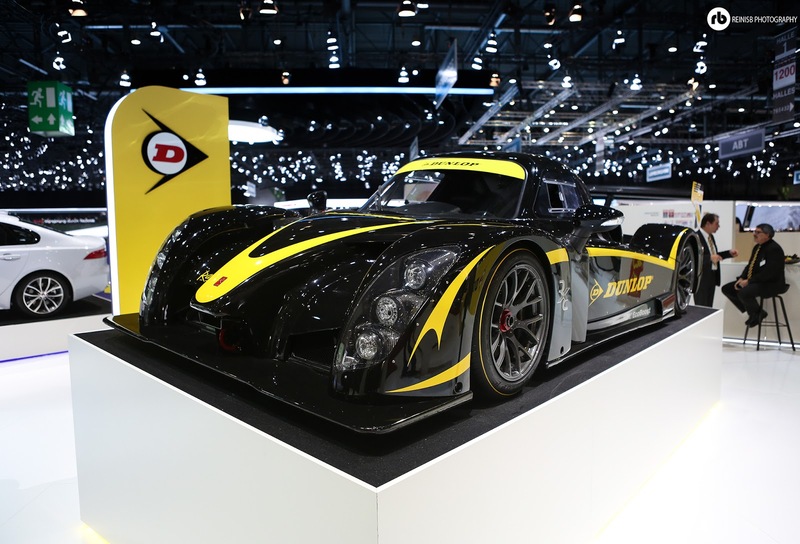 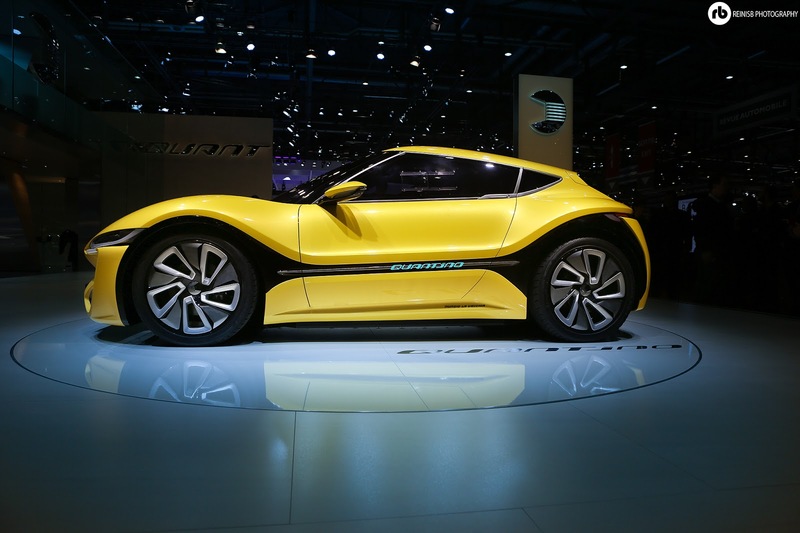 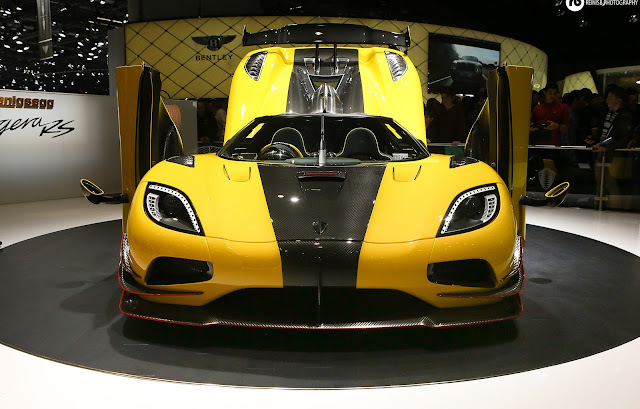 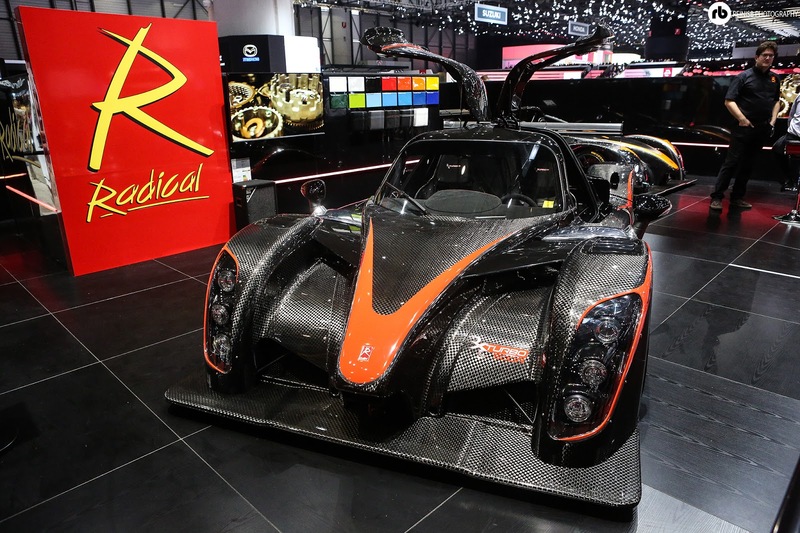 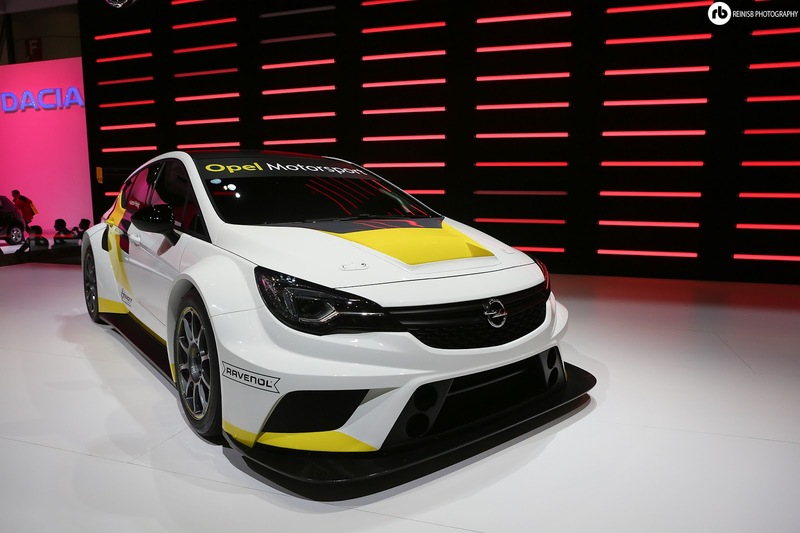 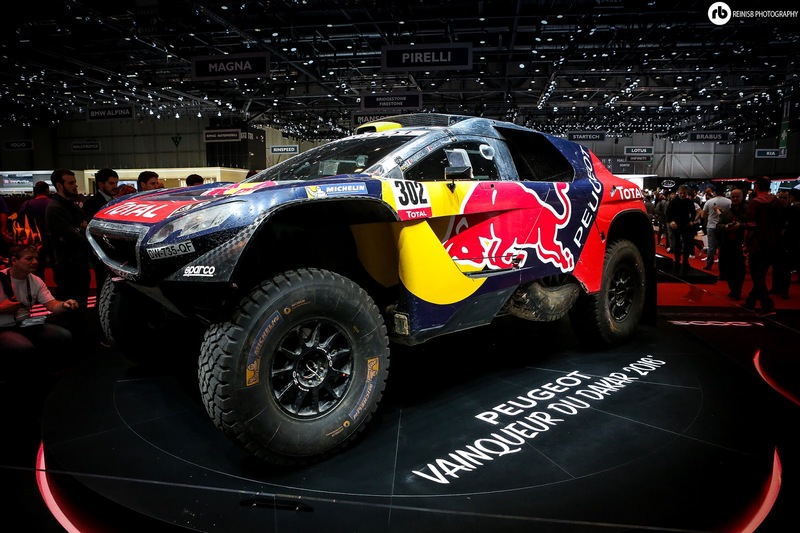 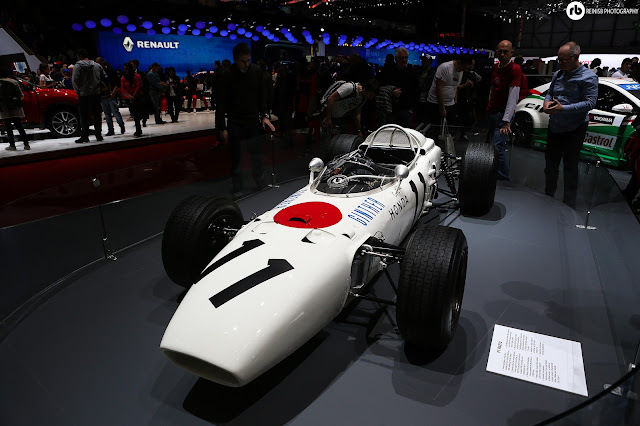 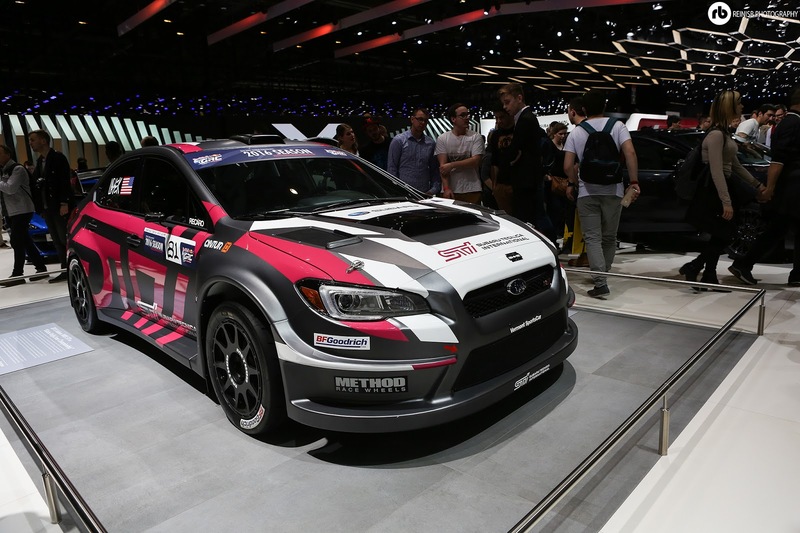 Some of the cars at the 2016 Geneva show included the Renault Sport R.S 01, WTCC Cars, Rally Baja, Rallycross, WRC (Replica), Dakar rally and classic and modern F1 and E.Dams cars. 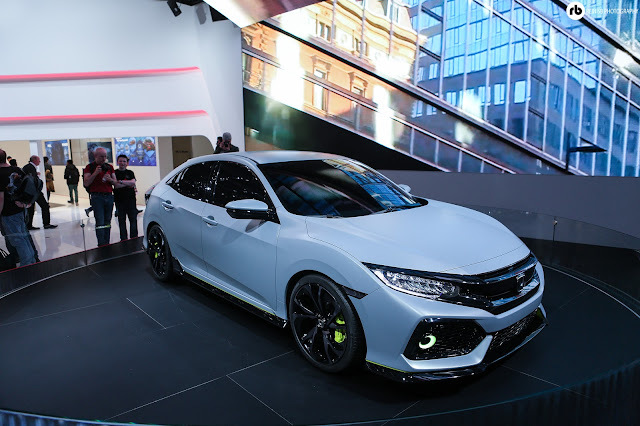 Hybrids everywhere where you look. It seems the electric and alternative powered vehicles seem to be the future. 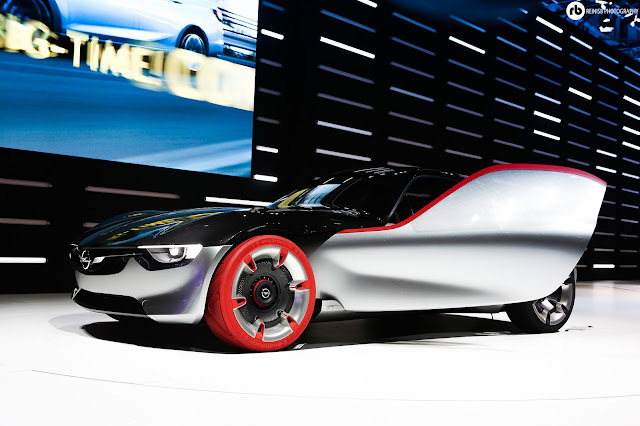 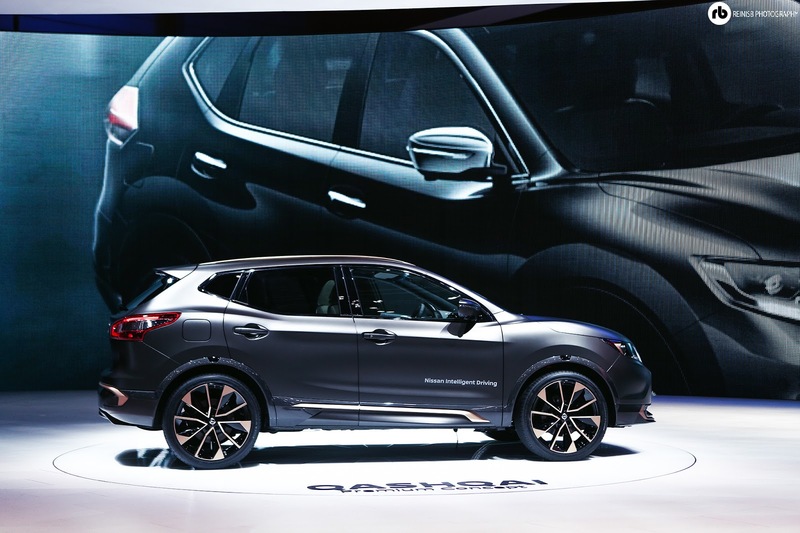 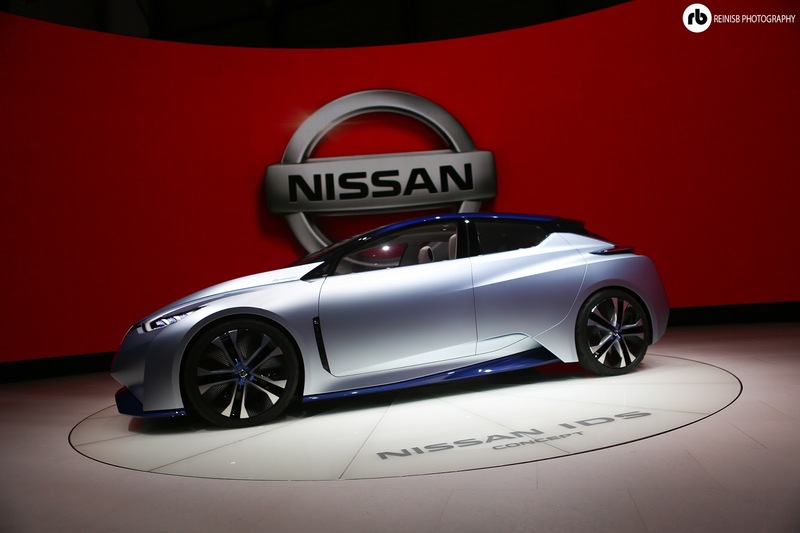 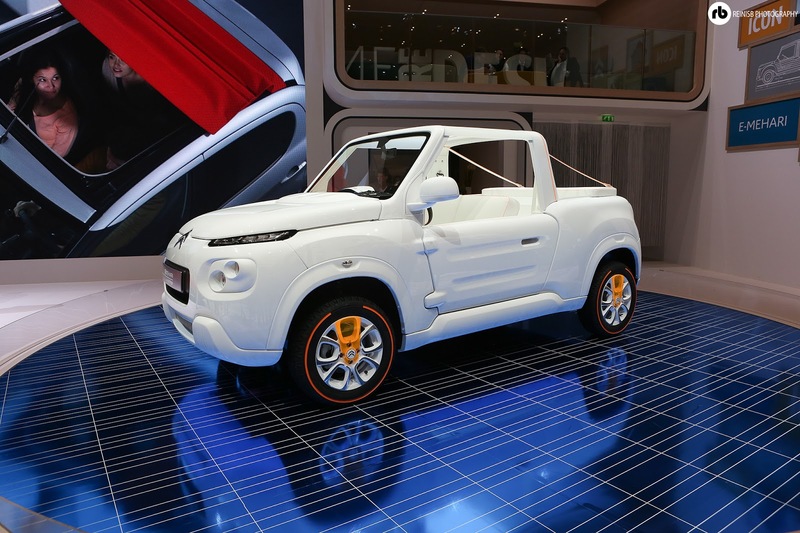 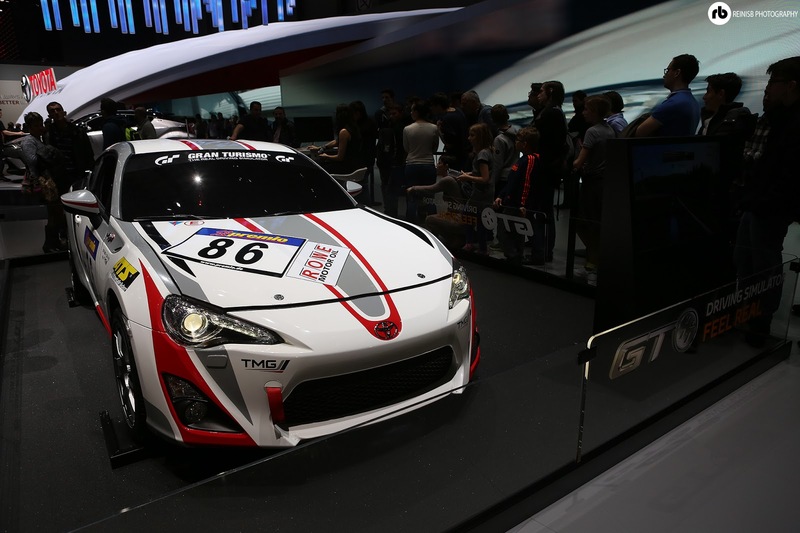 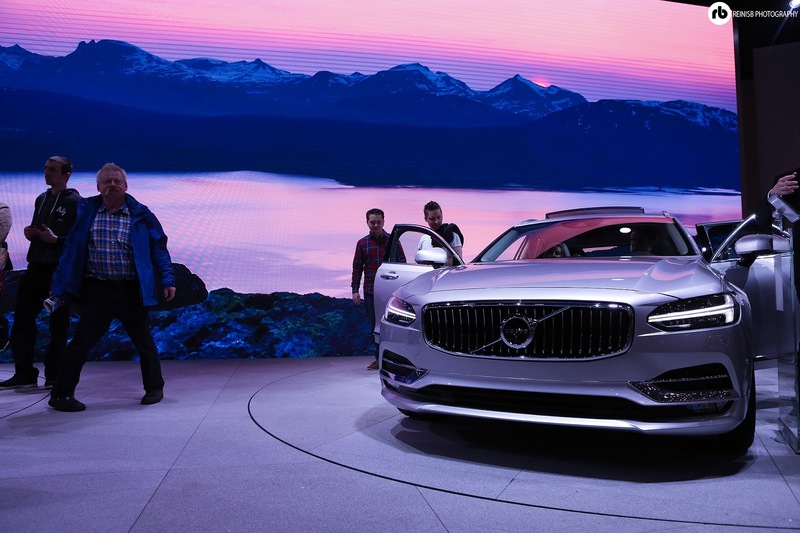 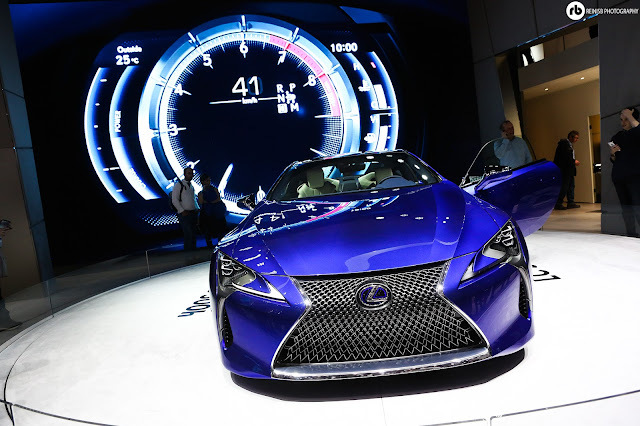 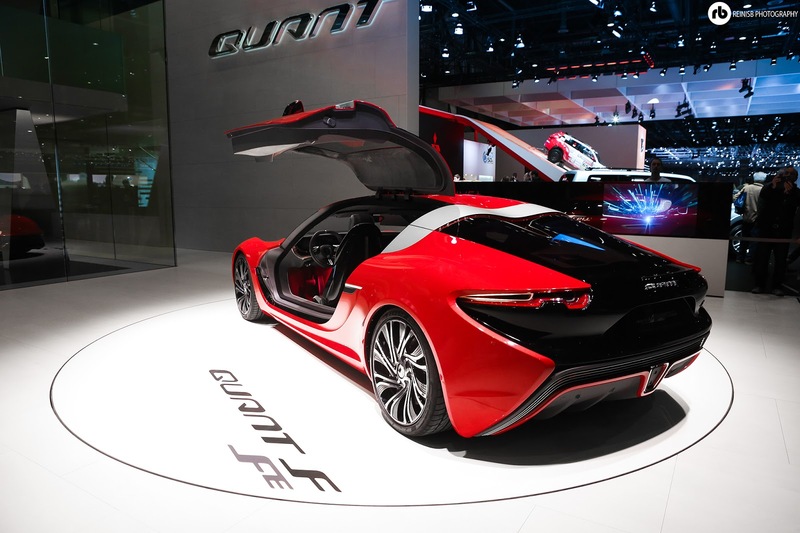 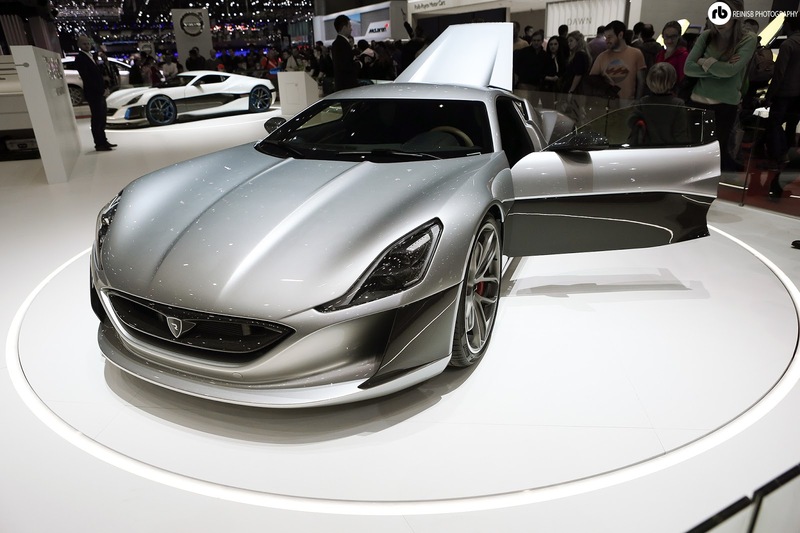 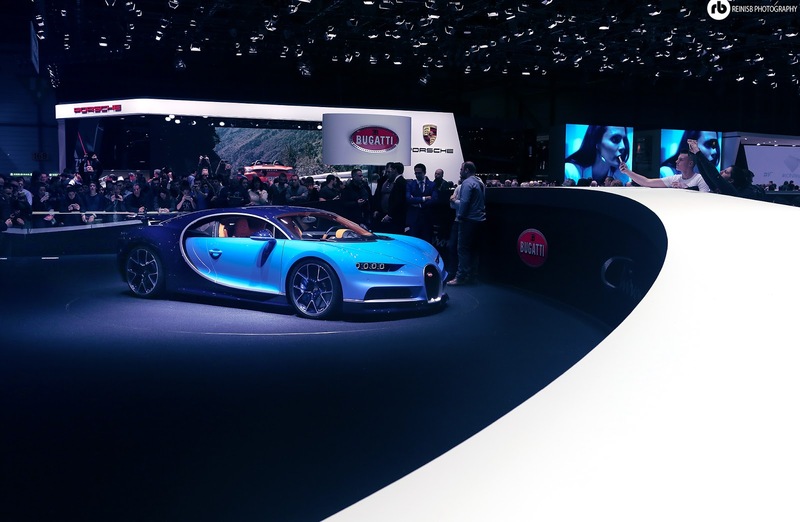 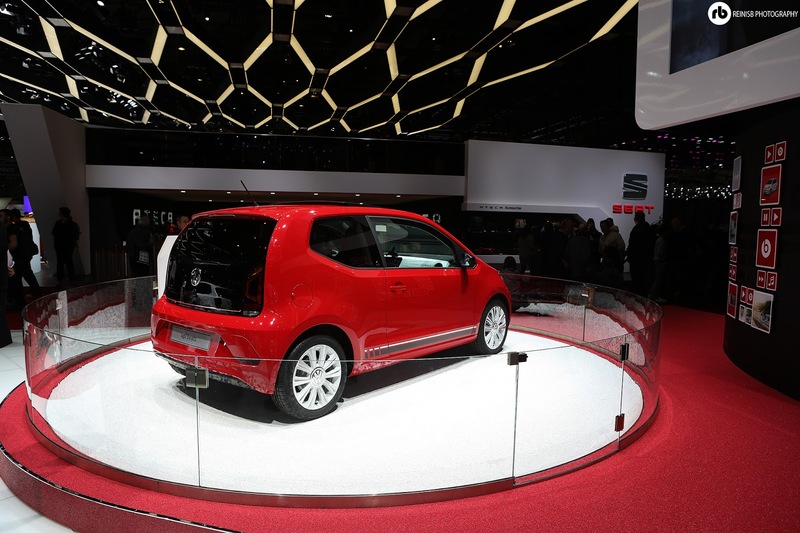 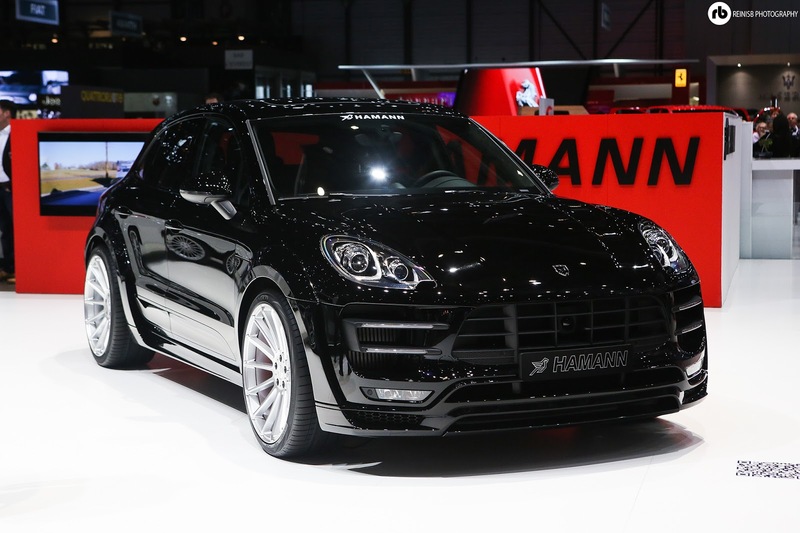 The theme of the 86th Geneva International Motor Show could have easily been HYBRIDS. It is undoubtedly a good move towards the preservation of the Planet Earth in the future and there is no denying - the electric power will take on any petrol engine, be it V12 or W16, on instant power delivery, so don't let the hybrids put you off from going to this show. 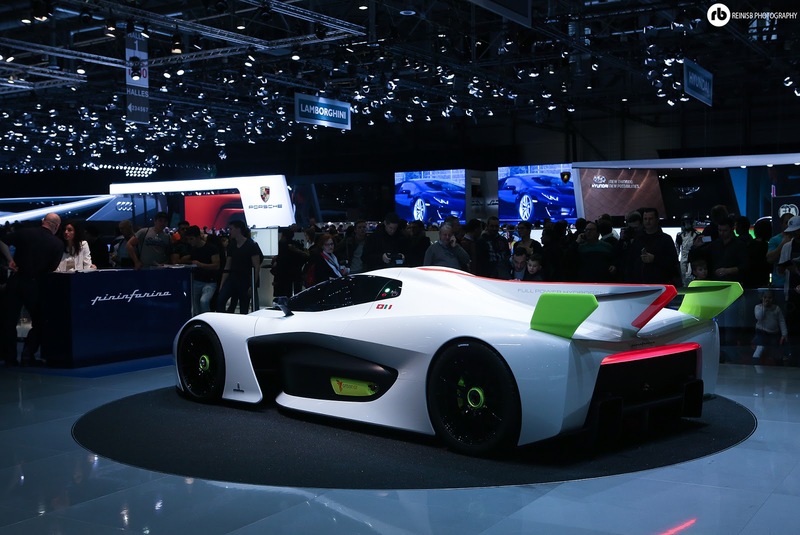 This beautiful engineering comes from the German company EDAG that have a long tradition of building odd show cars to showcase their work. 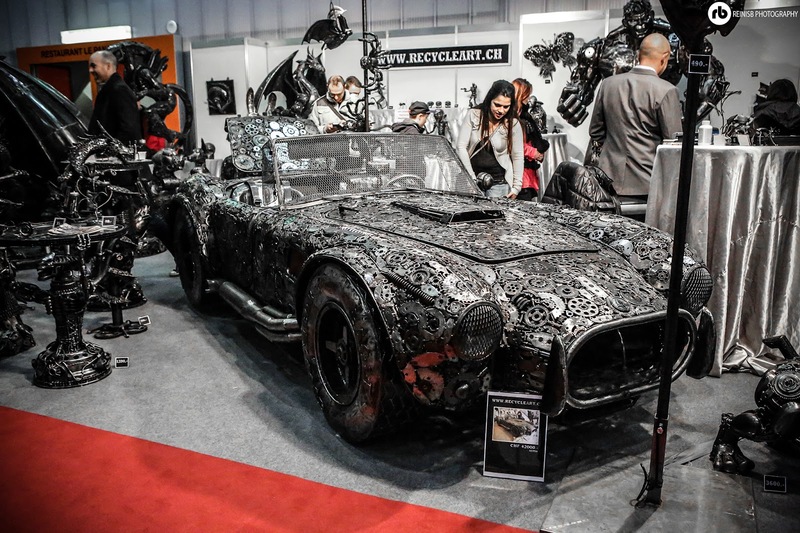 The stunning bodywork of thecar has been created by a 3D Printer creating a branch-like/spider web structure with changeable colour LEDs. 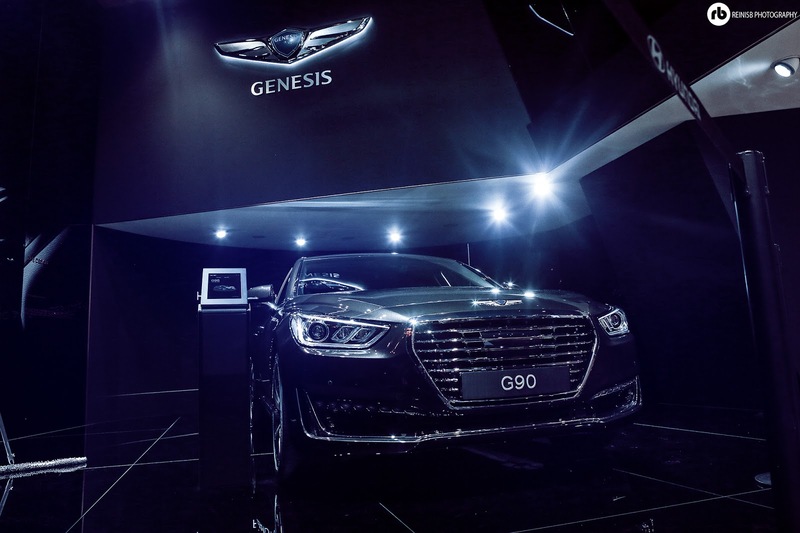 Hyundai's new brand Genesis will be aimed at a high class market competing directly with Mercedes Benz, Audi and BMW market. 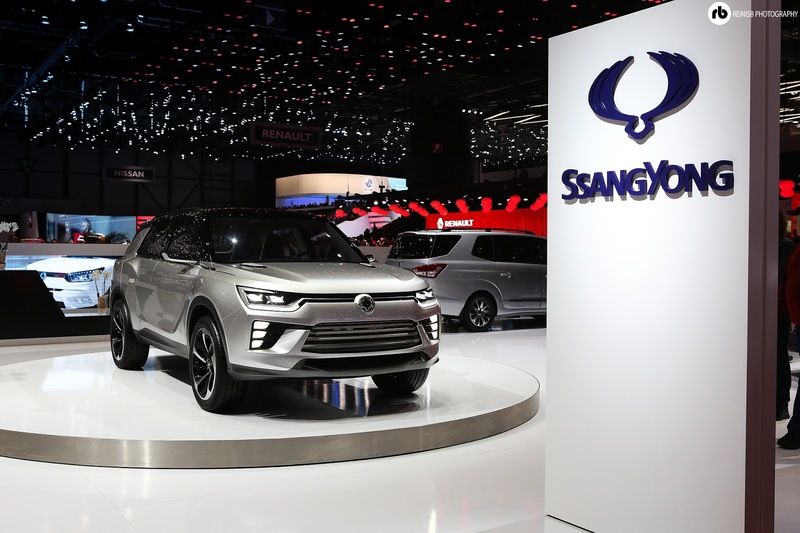 The Korean luxury sedan will be offered with a choice of three petrol engines - a 315PS 3.8-litre V6, a 3.3-litre twin-turbocharged V6 with 370PS, and a 5.0-litre V8 producing 425PS. 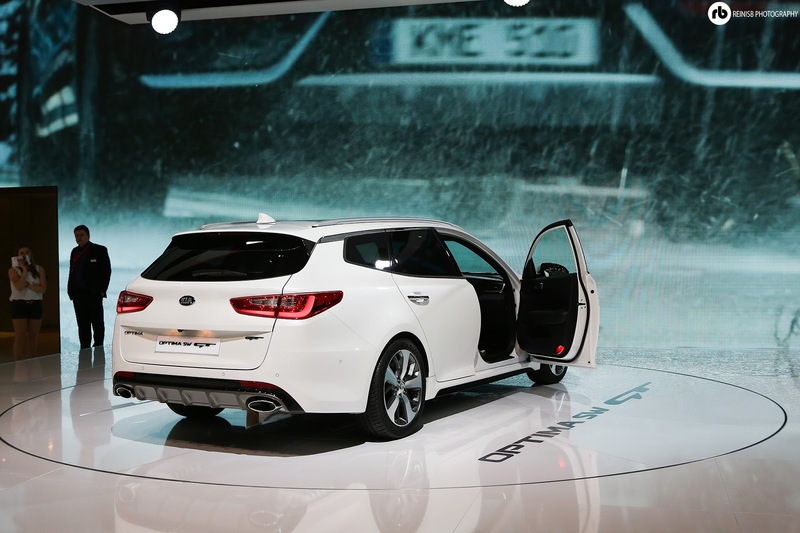 All models are rear-wheel drive as standard, but four-wheel drive is available as an option. 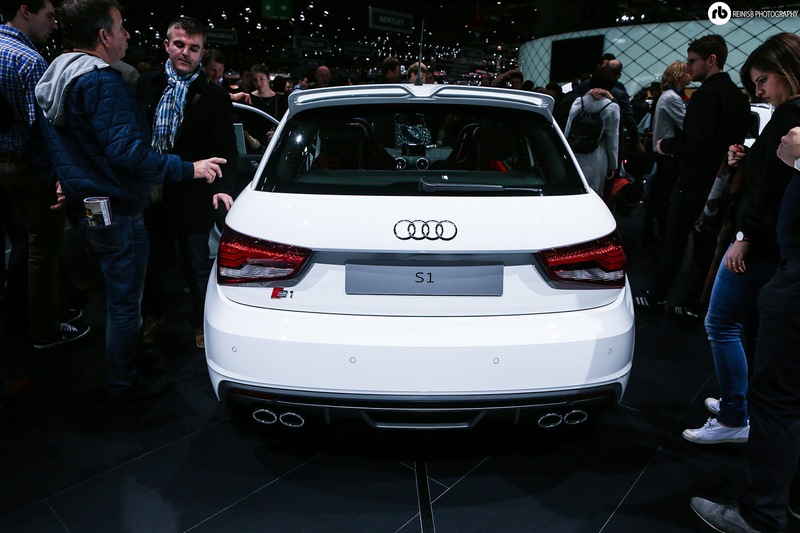 Such an amazing car and one of Audi's recent successful models. A sporty hatchback with magnificent design is always a recipe for victory amongst the petrolhead society. 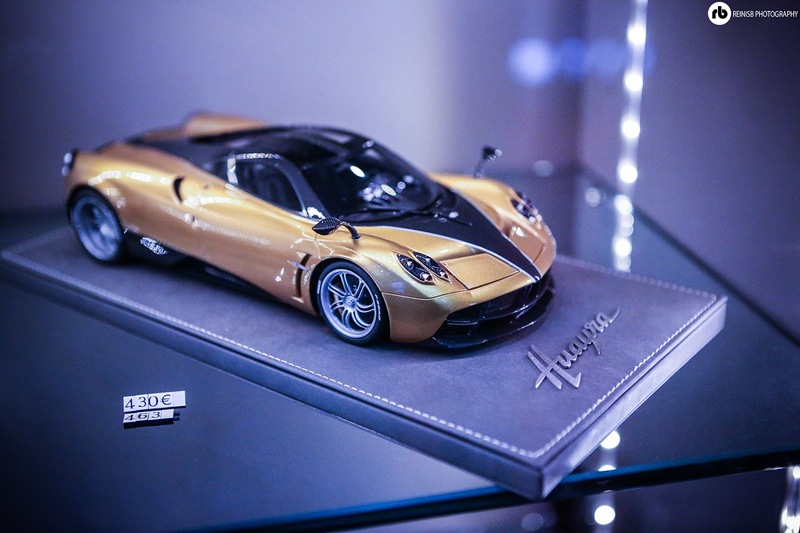 The Swedish supercar manufacturer brought along a few of it's models. 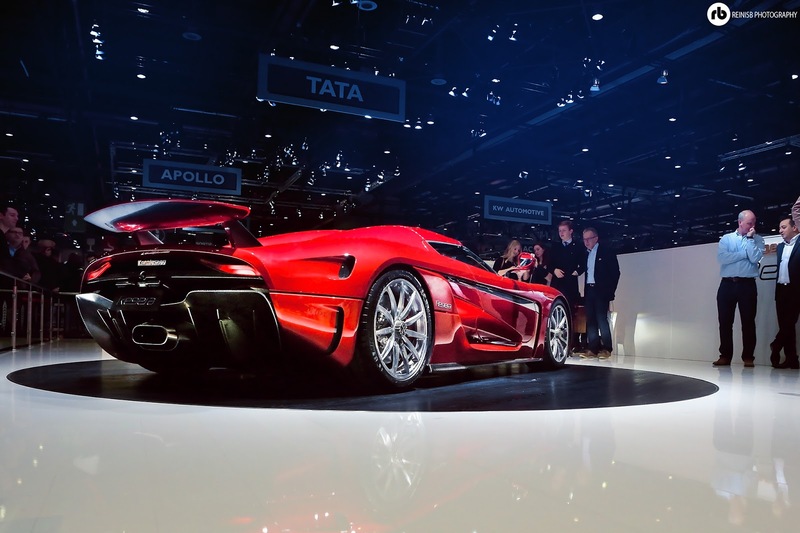 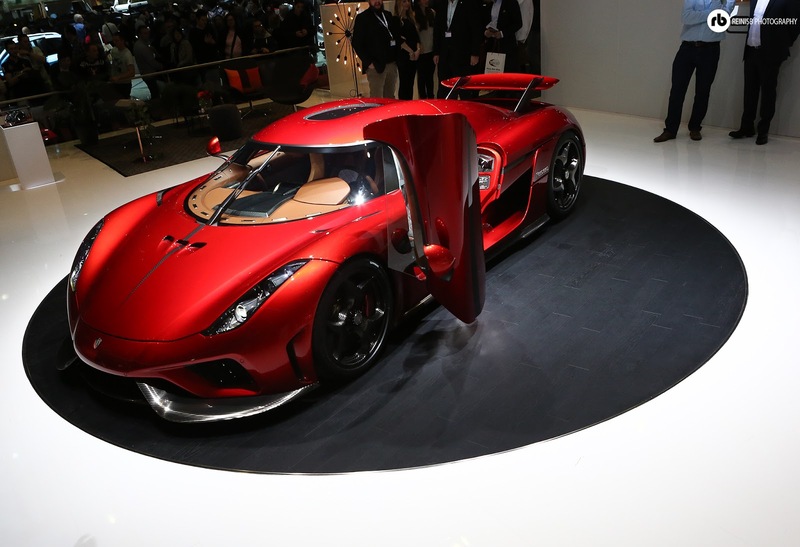 One of the most spectacular models of course is the Regera (Swedish for "to rule"). 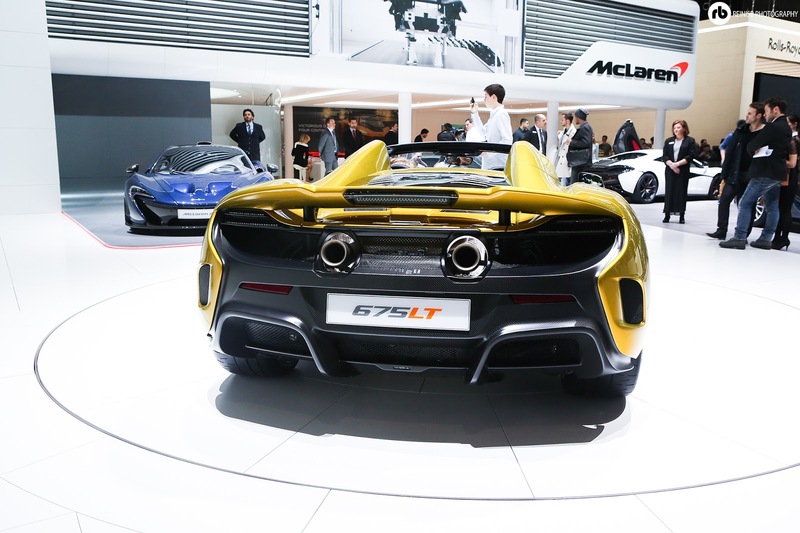 Out of the 80 units, priced at £1.6million 40 already have been sold. 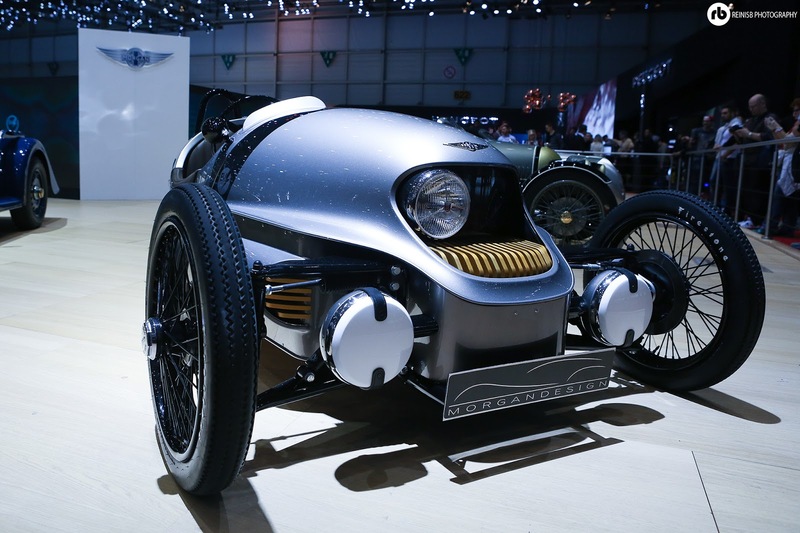 It is powered by a 5l V8 twin turbo engine, combined with 3 electric motors linked to a single speed transmission. 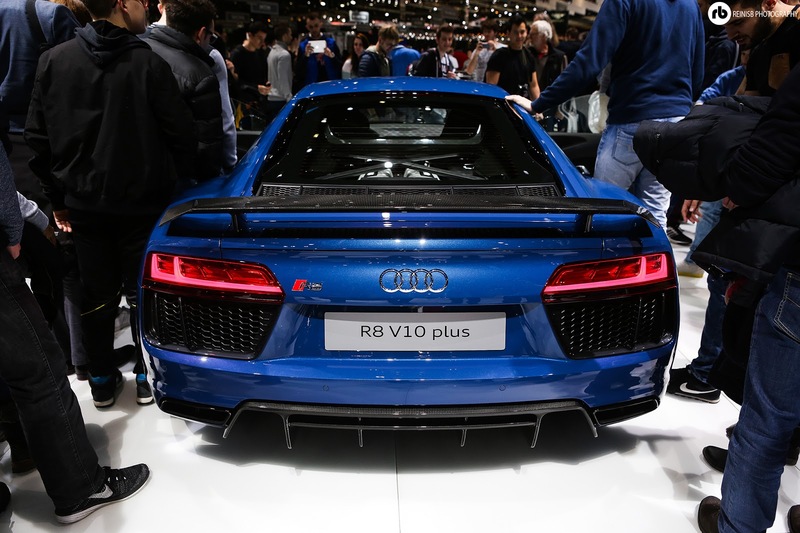 Even though it was exactly a year ago when the new generation R8 was unveiled here in Geneva, it was amazing to see the car return. 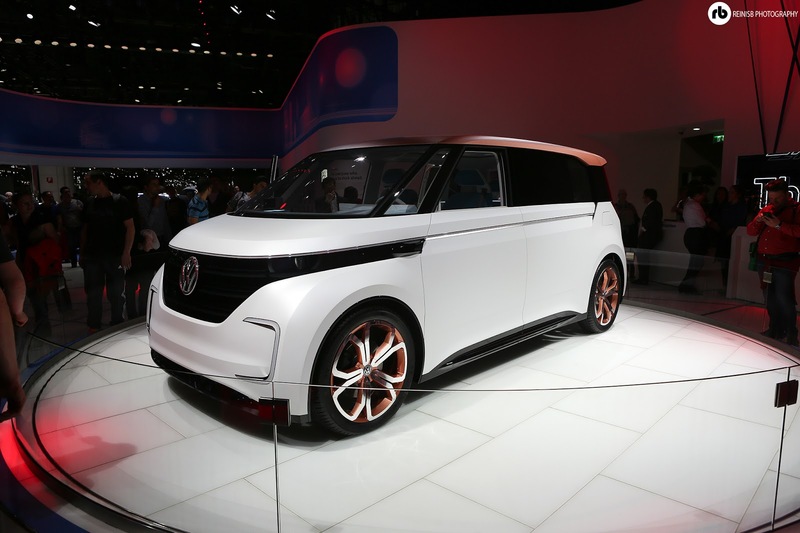 The Budd-e is look into the future by the VW designers. It is an all-electric multi-purpose vehicle powered by a pair of electric motors (134bhp and 168bhp), the result - a family holiday wagon capable of 0-62mph under 7 seconds. 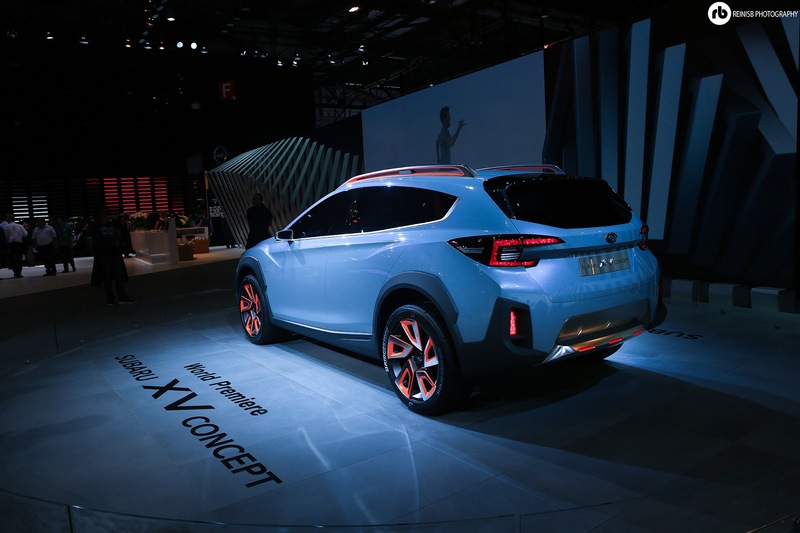 Subaru's take on designing the next gen SUV. 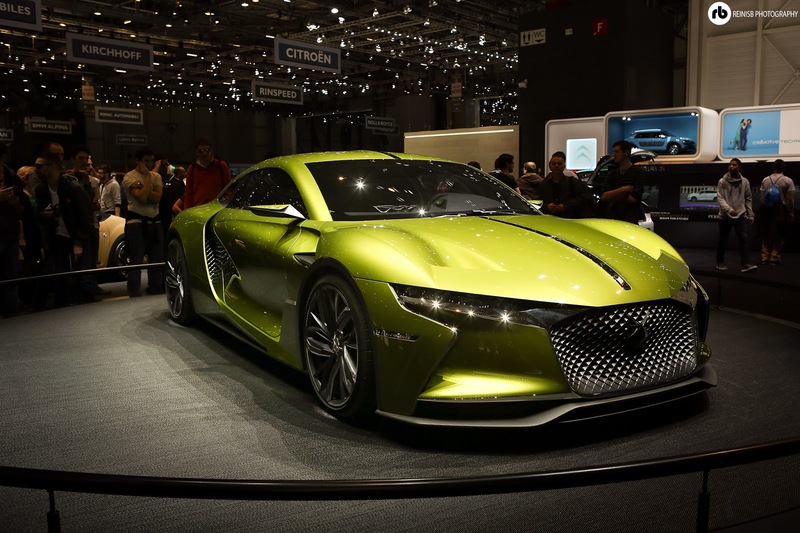 Whilst still in the early concept form, I truly hope the green light is given for this beautiful family car. 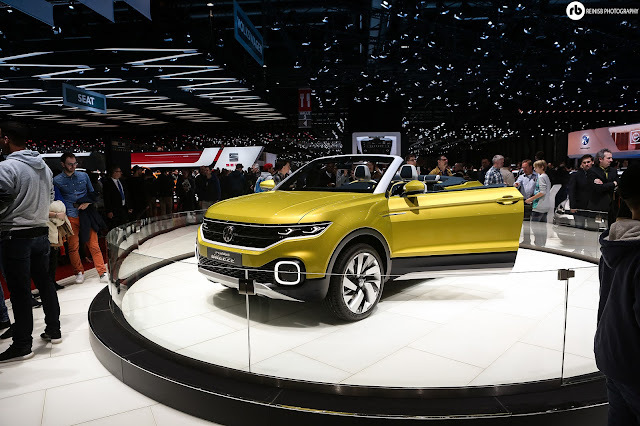 Range Rover Evoque version from VW. 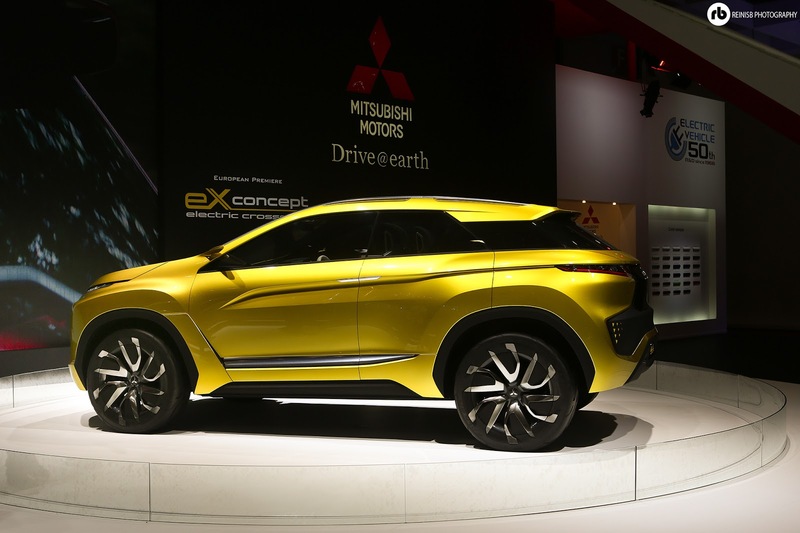 Whilst only a concept, it could be the next trend for family SUVs. It is powered by a 1.0 tree cylinder engine with an 109 bhp output powered by the front wheels. 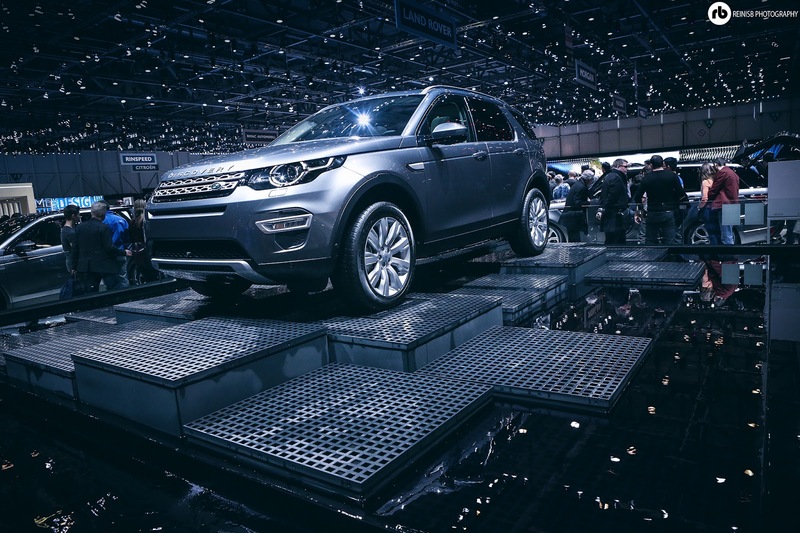 British favourite SUV will now be built in UK and equipped with a iloted Drive autonomous driving tech 'version 1.0' as of next year. 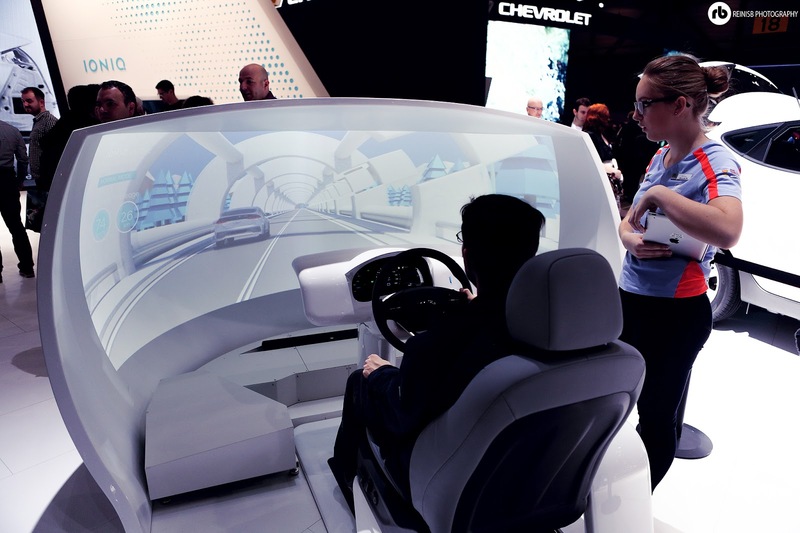 The system will allow autonomous driving in heavy traffic on motorways or A-roads. 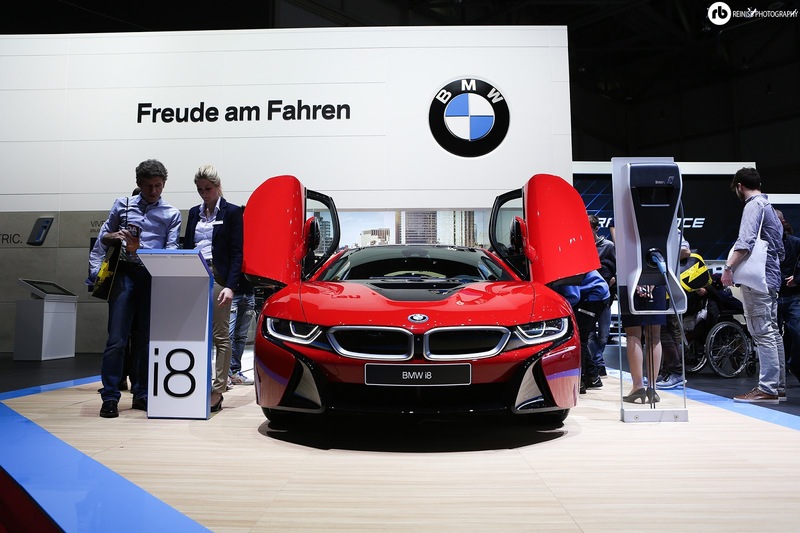 BMW i8 hybrid was unveiled in a new colour scheme at the Geneva. 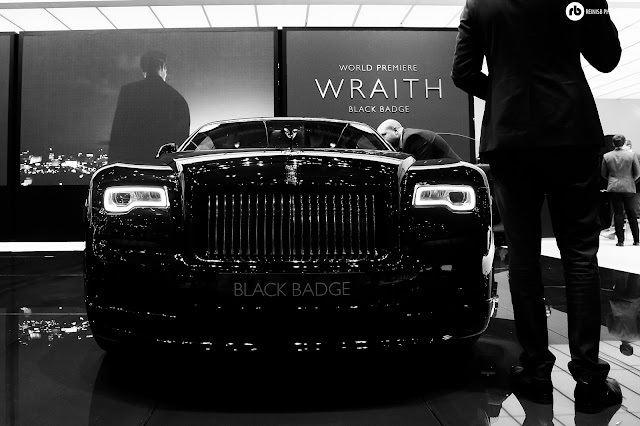 British luxury car manufacturer annouced the launch of the new "Black Badge" series at the Geneva 86th Motor SHow. 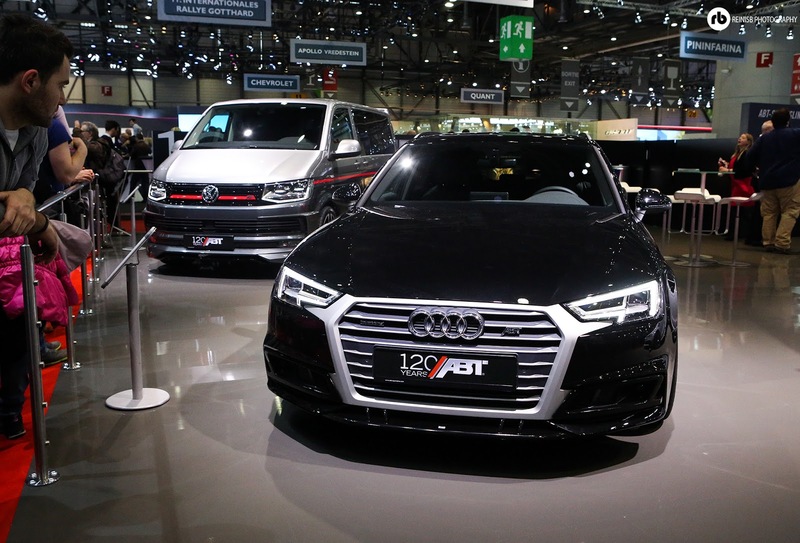 The models see a power increase, black detailing and styling both inside and outside as well as addition of exotic cabin materials. and some not so pretty ones. 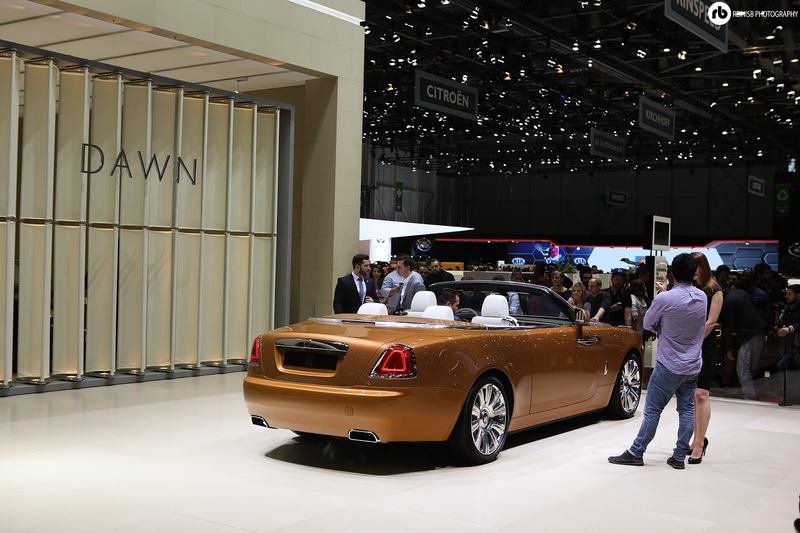 All major airlines fly to Geneva, including the low fair and budget airline companies. Bring your own – food is expensive there, like £20 for a sandwich expensive. 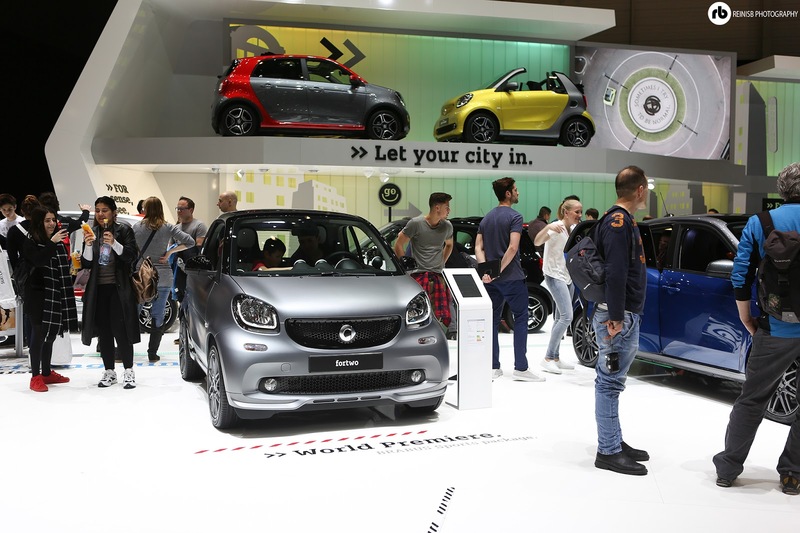 You don't need one, you can walk to the Palexpo from the Airport.